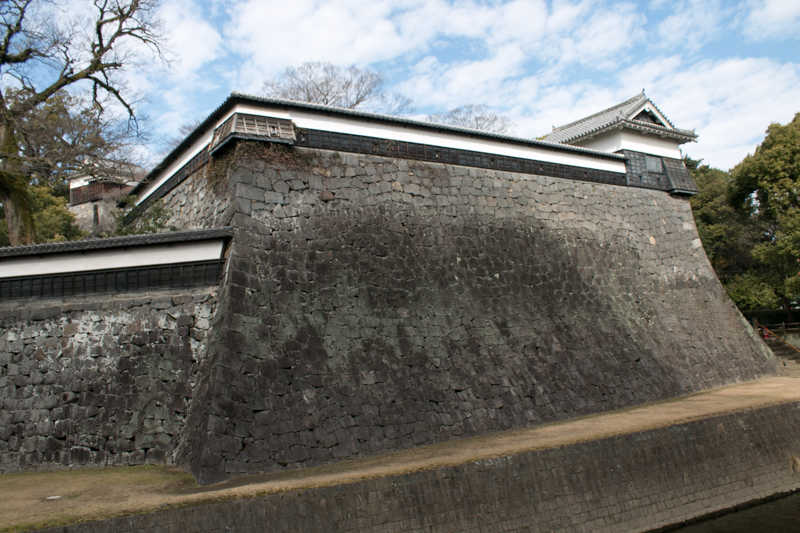 In 1867, as a result of Meiji revolution Meiji new government was established. Although battle between New government army and former Edo Shogunate supporting occurred in Tohoku area, but there was no conflict in Kyushu region. 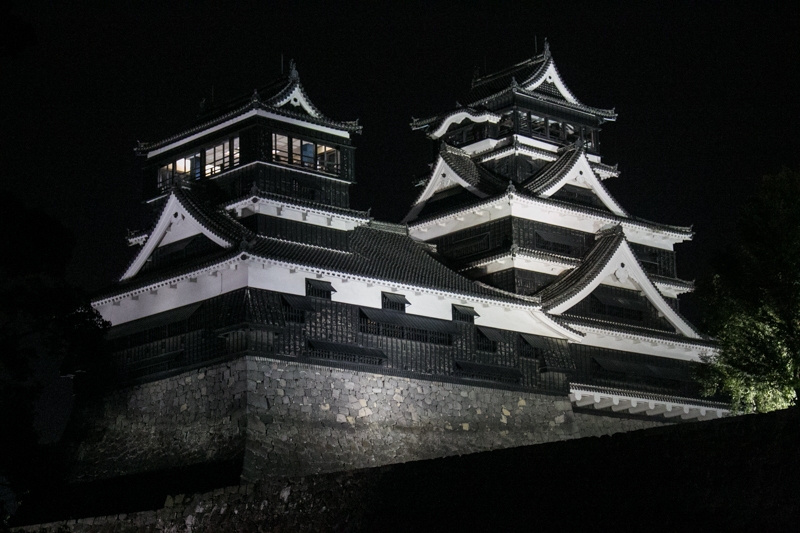 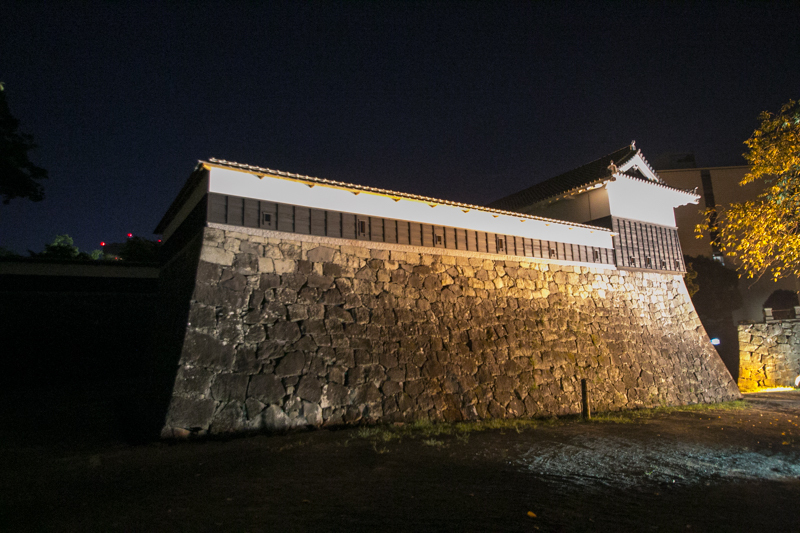 It seems Kumamoto castle would end its life without proving its merits, but this castle was involved into actual battle in unexpected reason. Meiji revolution was lead by the people of strong feudal domains of western Japan, such as Satsuma domain (Shimazu clan, Kagoshima prefecture), Choshu domain (Mouri clan, Yamaguchi prefecture), Tosa domain (Yamanouchi clan, Kochi prefecture) and Hizen domain (Nabeshima clan, Saga prefecturea). There were many revolutionalist activated in this process, but it is said that there were three prominent leaders. 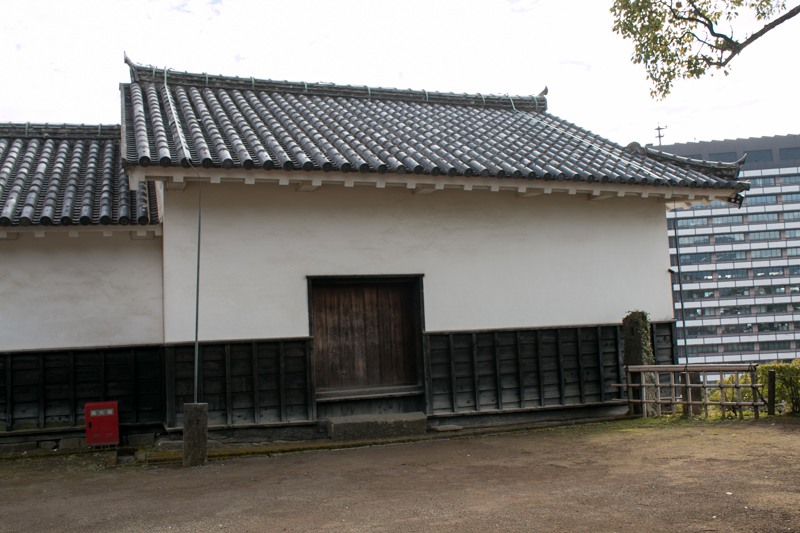 They were Takamori Saigo (1828-1877) and Toshimichi Okubo (1830-1878) from Satsuma domain and Takayoshi Kido (1833-1877) from Choshu domain. 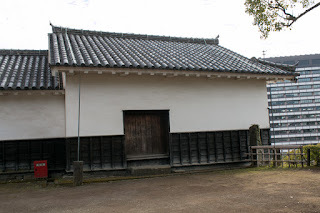 They were originally born at the house of lower clsss retainers of each domain, and all young and spirited age at the time of Meiji revolution. But they communicate each other and lead large domains, and finally beat the dominant army of Edo Shogunate and established new government. Takamori mainly took charge of military affairs, and uniting gathered new government army and beat Shogunate army at the battle of Toba Fushimi and decided the situation. Further Takamori marched from Kyoto to Tokyo chasing Yoshibobu Tokugawa (1837-1913), the last Shogun of Edo Shogunate retreated from Kyoto to Edo castle, then negotiated with Kaishu Katsu (1823-1899), a general commander of Edo Shogunate and let them open the castle bloodlessly. 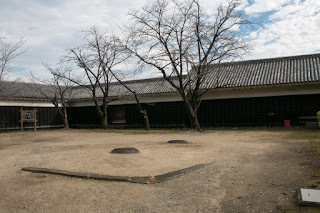 At the new government, these three were appointed as a leaders, then Takamori governed military affair, Toshimichi held organization and Takayoshi saw politics. 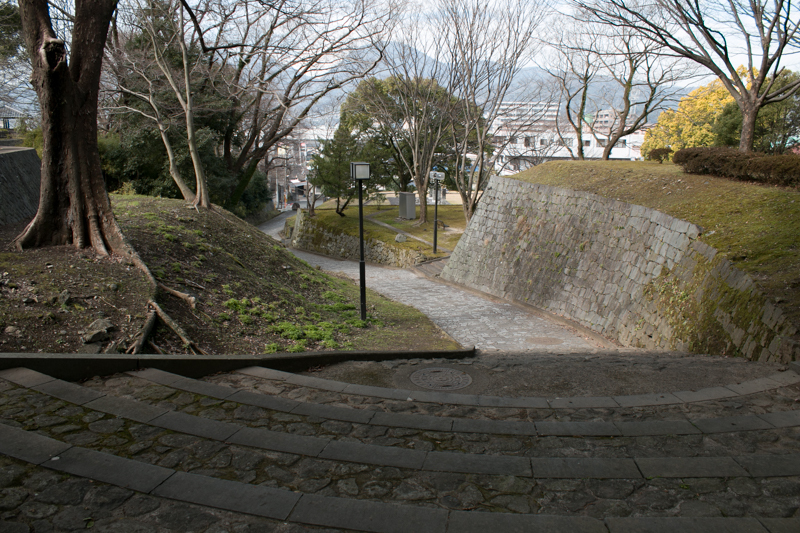 But gradually the conflict of these people, especially Toshimichi and Takamori emerged. Toshimichi aimed at modern organized nation and army, then Toshimichi introduced national army drafted from every people and deprived the privilege of former Samurais. 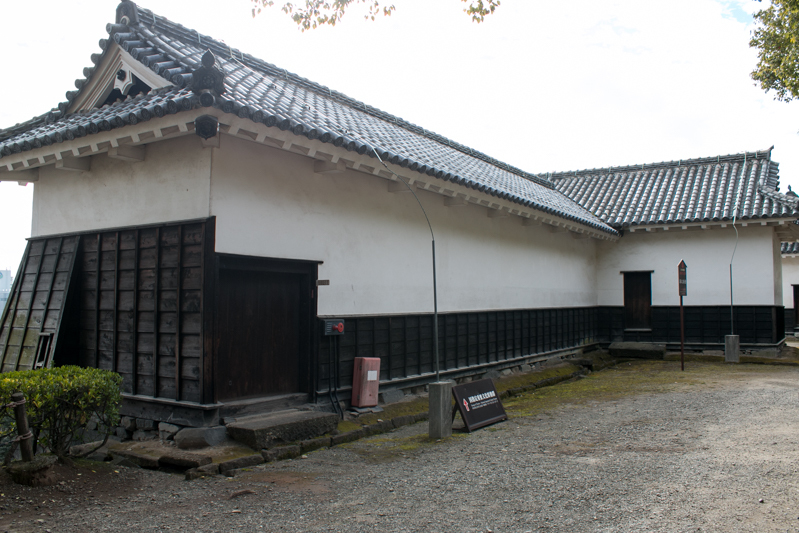 On the other hand, Takamori trusted strength of Samurais and was deeply adored by them, tried to keep Samurais as the core of the army. Further, to save the fallen Samurais, Takamori insisted foreign excursion. But Toshimichi and Takanorhi opposed to this policy, to precede internal administration and solve of foreign affairs with Western nations to military action. 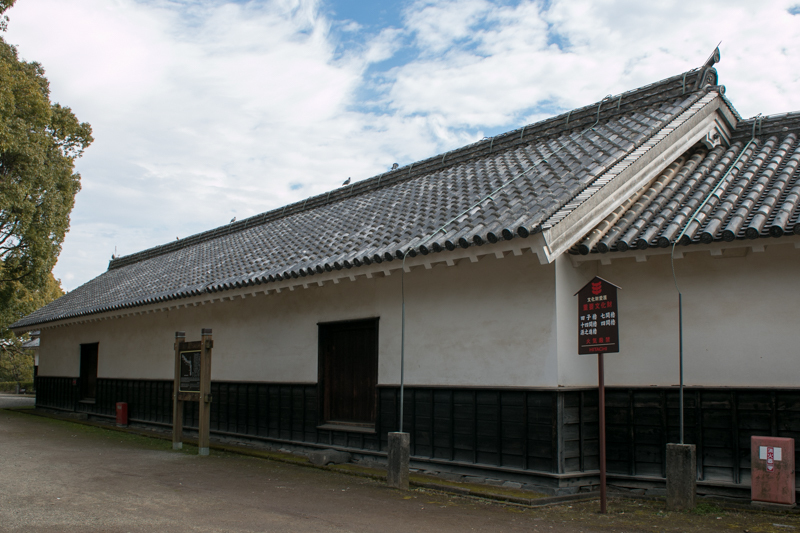 As a result, in 1873, Saigo and his party left the government. 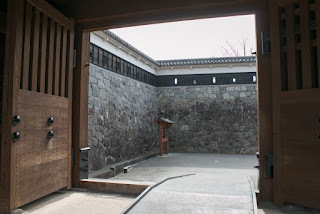 Takamori was preparing the war against the government. Furthermore, at the same time. 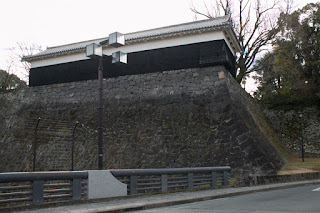 rebellion of former Samurais who were deprived the privilidge and opposed to the oligarchy of Meiji government continuously ocurred such as the rebellion of Saga in 1874, and this increased suspicion of Meiji government toward the movement of Takamori. In 1877 January, Meiji government secretly moved production line of gun cartridge of new model guns placed at Kagoshima city to Osaka city. In response to this, people of Saigo party assaulted the armory of the government and deprived weapons. 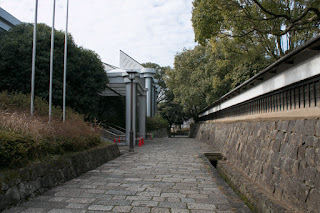 Additionally there was a rumor of assassination of Takamori, and Saigo party became nearly riot. 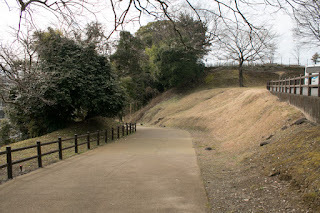 Now that things have come to this pass, Takamori decided to raise a army against Meiji government, and started to march toward northward from the beginning of February. 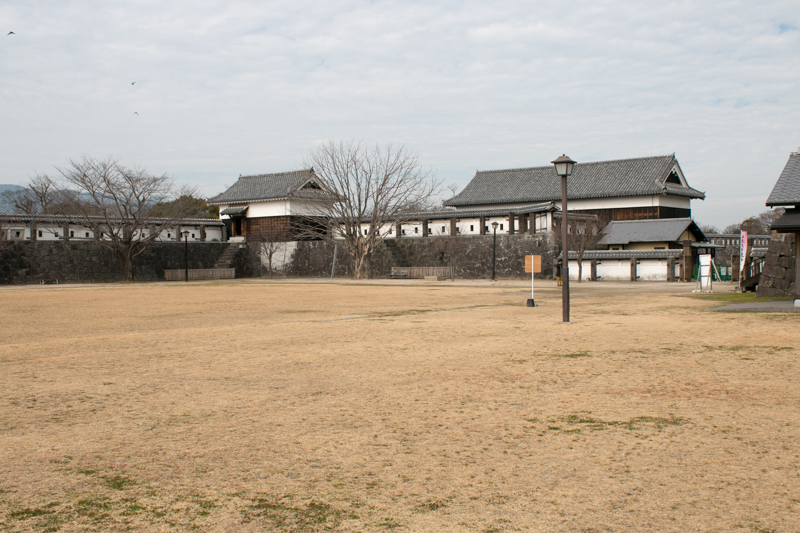 Saigo army consist of seven battalion of 15,000 soldiers, and they were well trained and had high moral. But they did not have sufficient new generation guns and cannons, and this was a fatal weak point to Saigo army. 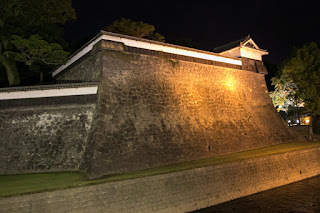 At first Saigo army planned to assault Nagasaki city or Osaka city quickly, and if this realized the base of Meiji goverment might be significantly shaken. 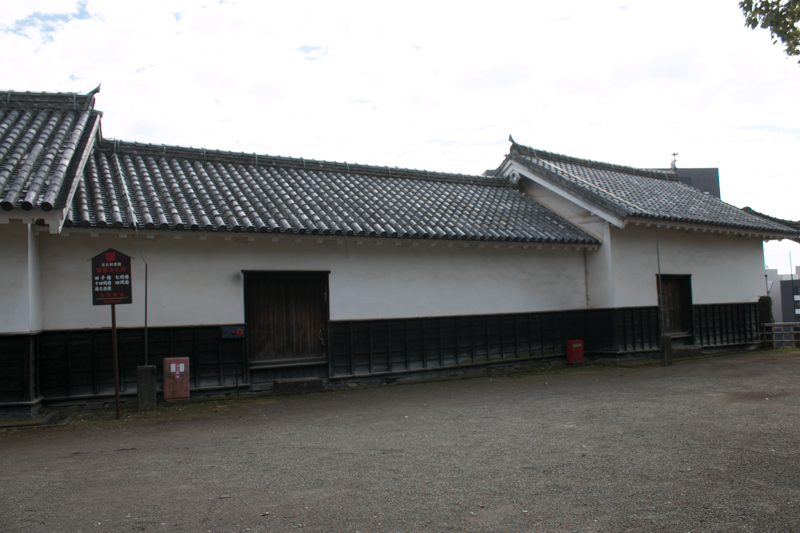 But Saigo army also did not have navy, thus they had to march the land slowly and this gave Meiji government time for preparation. At the middle of their march other former samurais who was dissafisfied with new government joined saigo army, then total soldier of Saigo army reached 30,000. Seeing this situation, Meiji government sent Sumiyoshi Kawamura (1836-1904), an admiral of Navy and relative of Takamori to persuade Takamori. 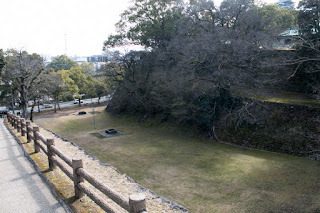 But Sumiyoshi could not meet Takamori, then Meiji government movilized the army located at different places of Japan and sent them to Kyushu island by ship. 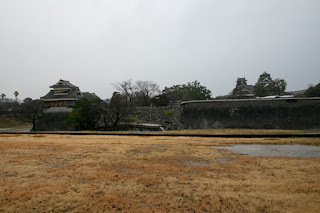 To protect the authority of the government, they mobilized maximum number of soldiers, and number of them exceed 70,000. 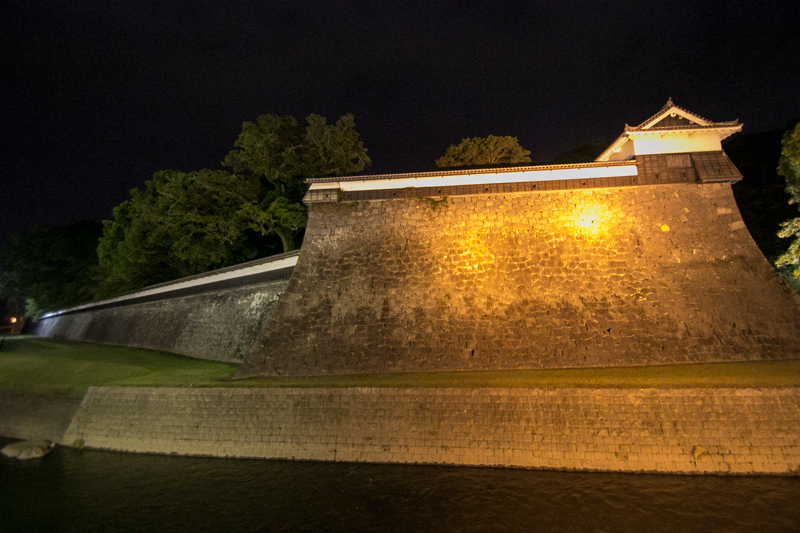 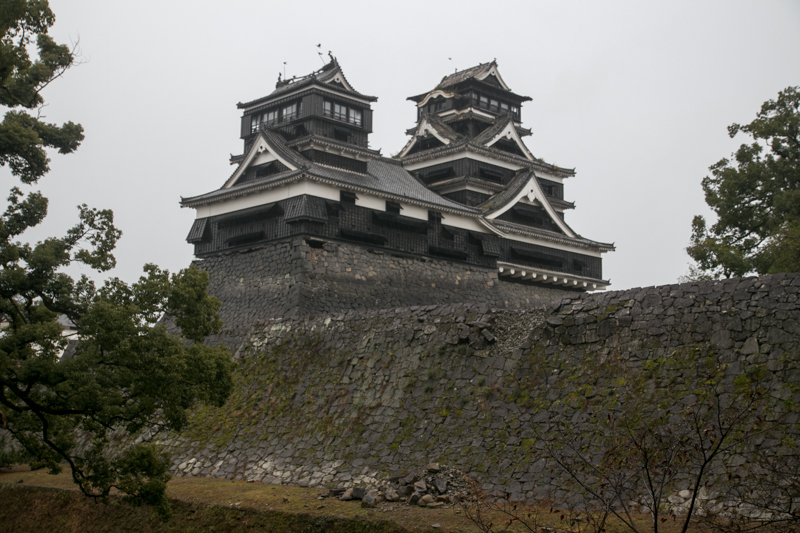 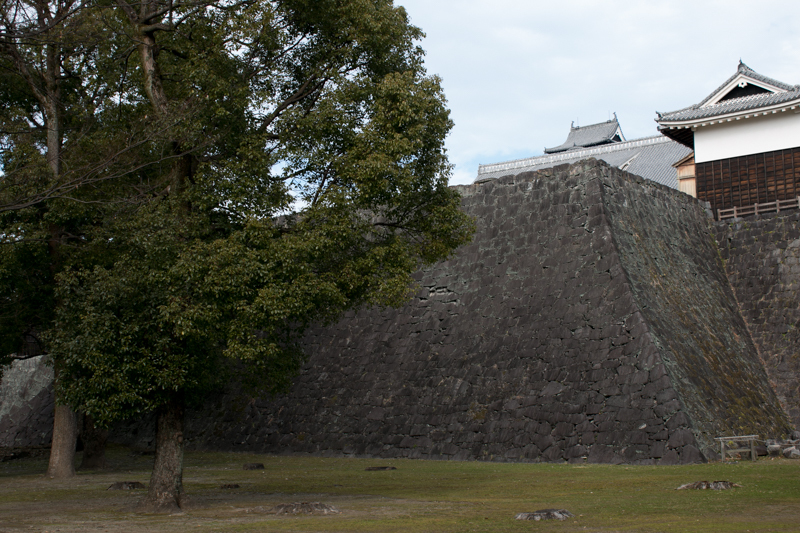 Subsequent to Meiji revolution, Kumamoto castle became the eighth base of Japanese army. 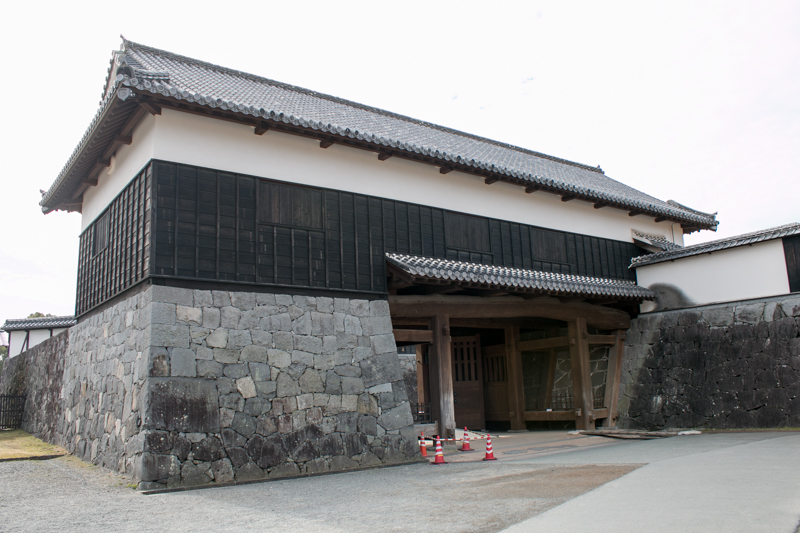 Commander of the castle was Tateki Tani (1837-1911, also called as Kanjyo Tani) who was born at Tosa province (Kochi prefecture). 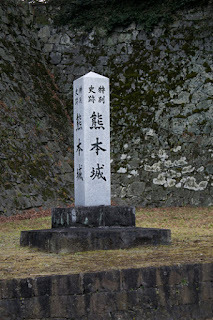 This time was a pioneer time of Japanese army and navy, and many officers later promoted to generals and performed key roles at the war against China or Russia, such as Sukenori Kabayama (1837-1922, later commander in chief of Japanese Navy), Gentaro Kogama (1852-1906, later General chief of staff of Japanese Army) or Yasukata Oku (1847-1930, Field Marshal) stayed at the castle. 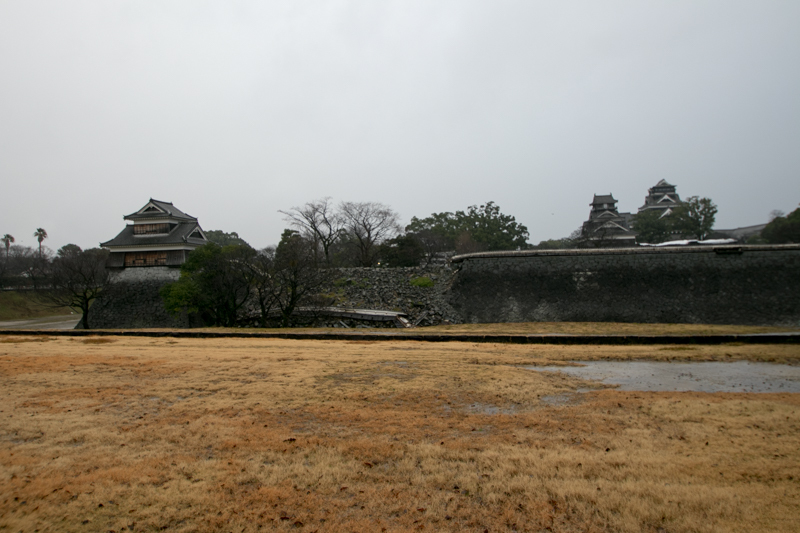 Number of soldiers besieged at the castle was about 4,000. Just before the arrival of Saigo army, there was a severe fire in Kumamoto castle and most buildings including main tower, attached tower and central area palace burnt down. 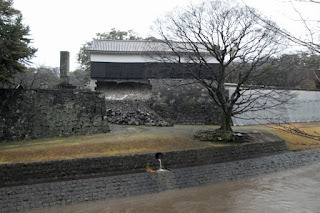 The cause of this fire is unknown but it might be thought as intentional destruction of buildings by defending side, rather than accidental fire. Tall buildings might be the target of cannons, and if they broke during the combat the moral of defense side might be significantly ruined. 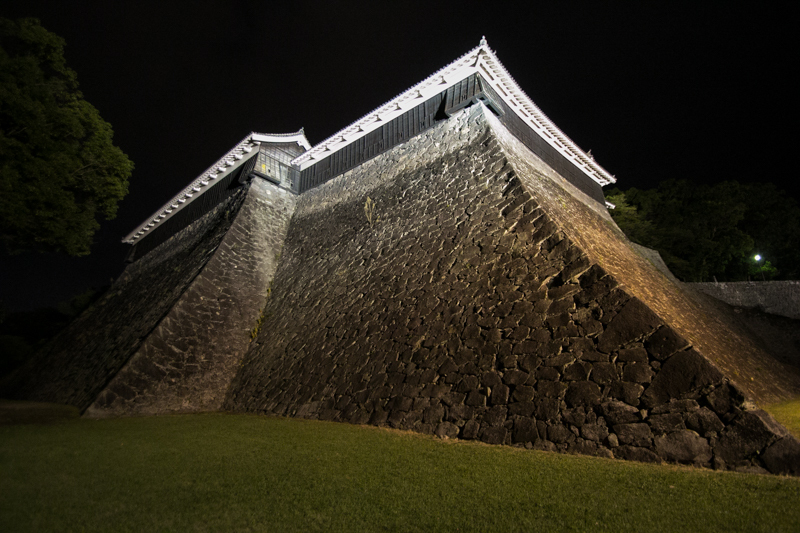 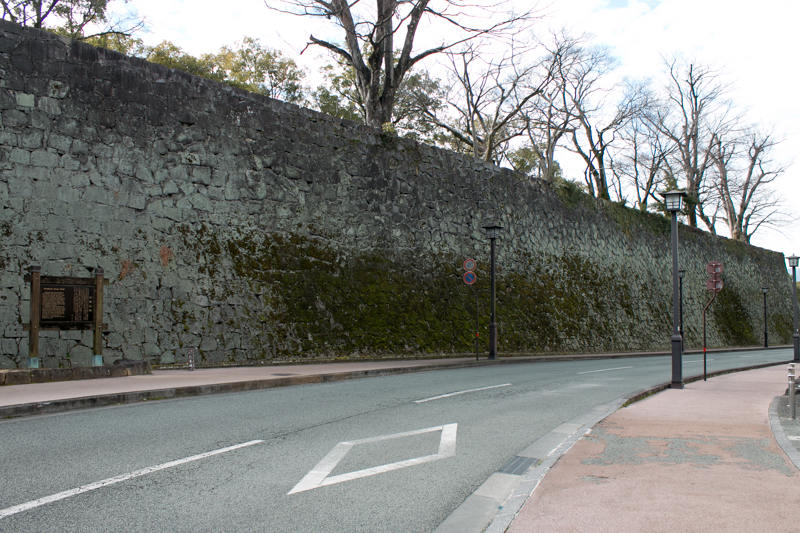 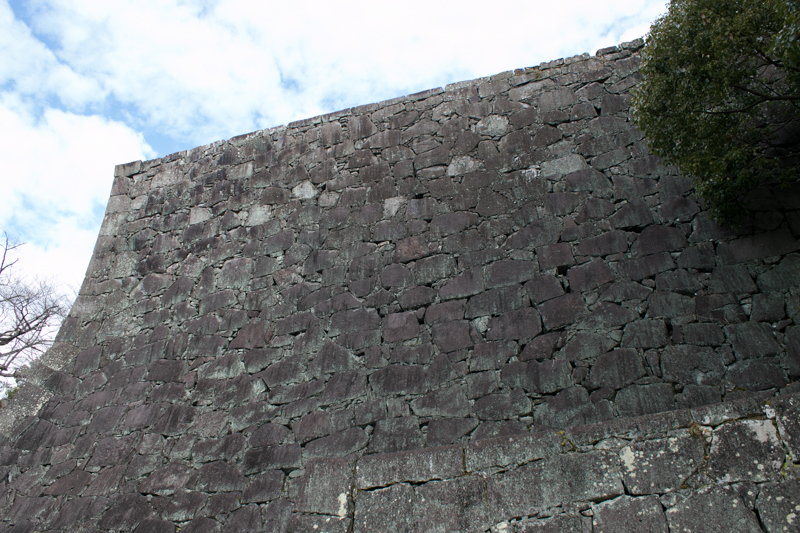 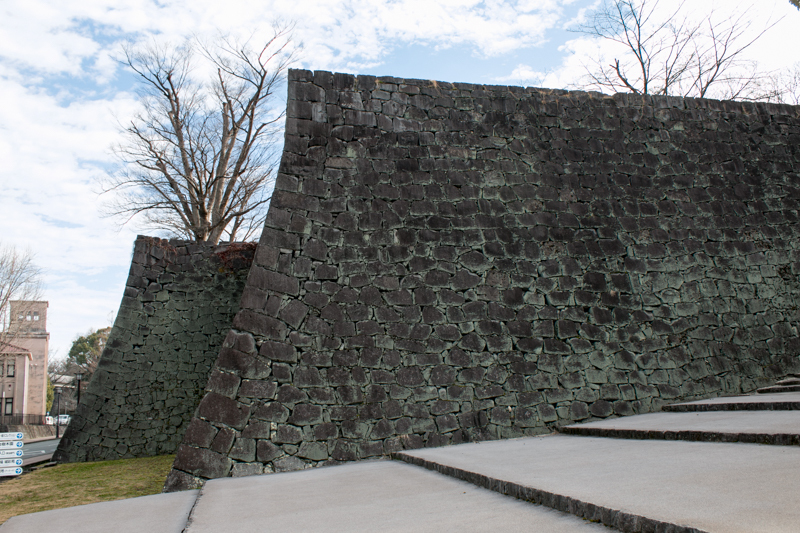 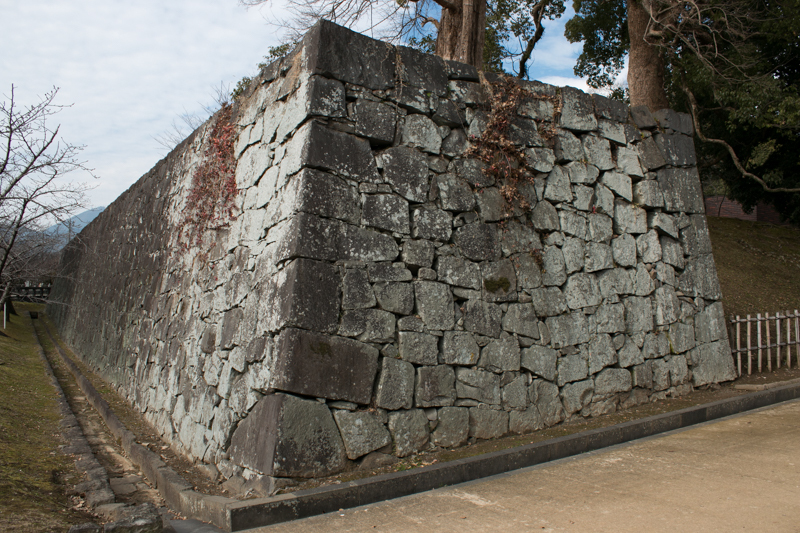 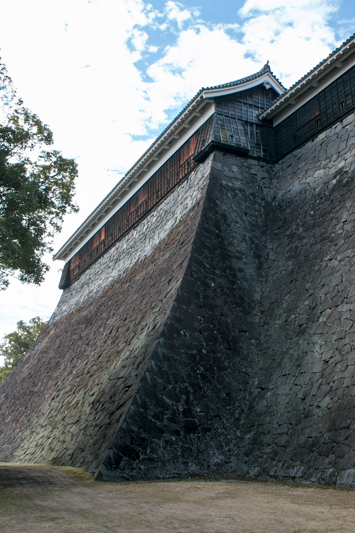 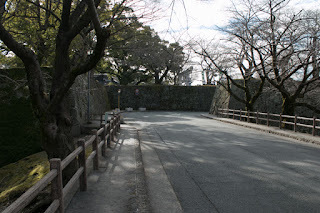 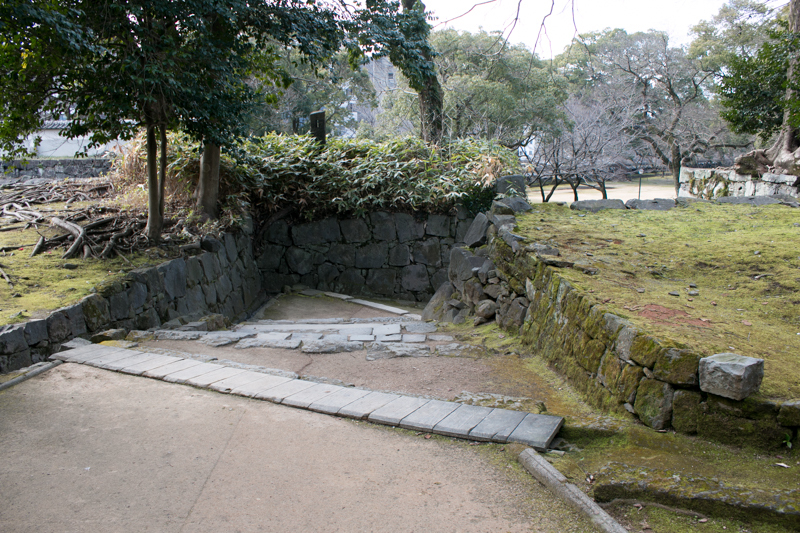 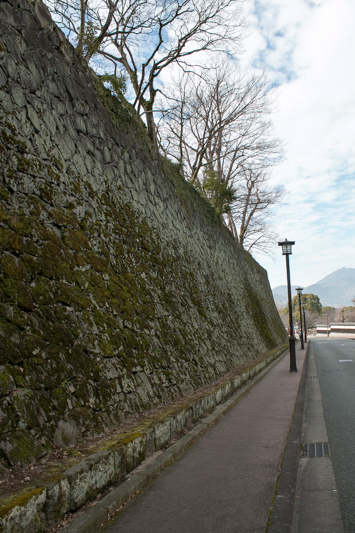 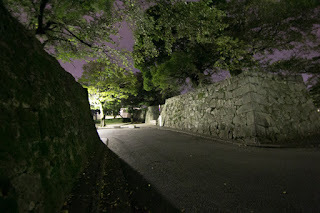 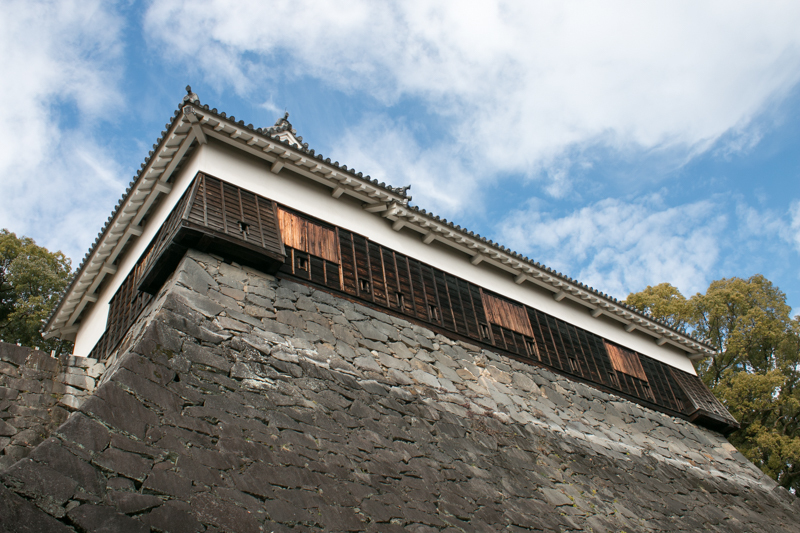 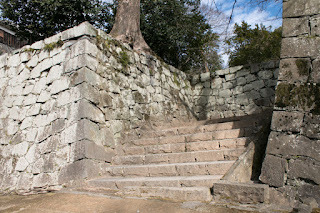 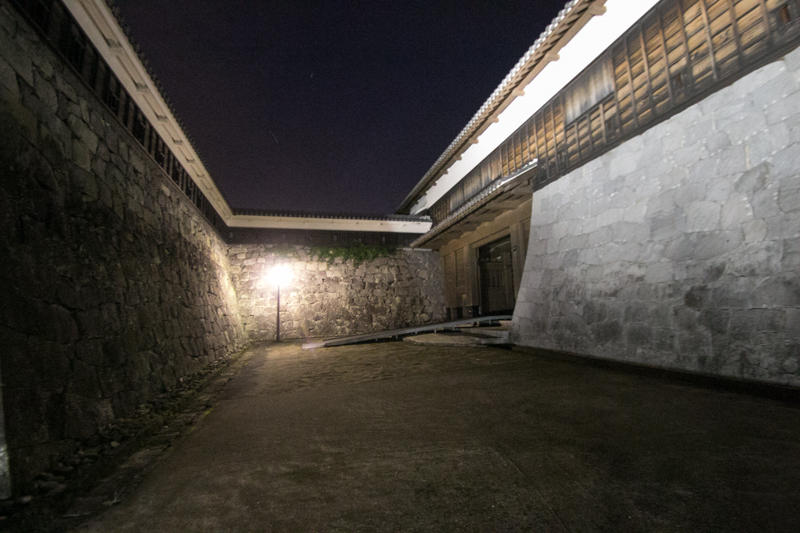 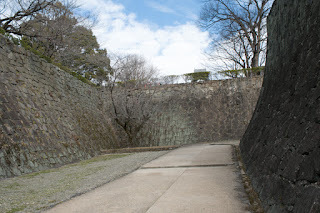 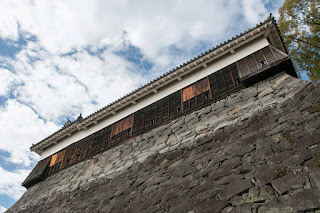 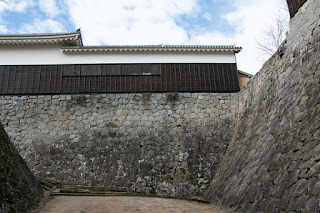 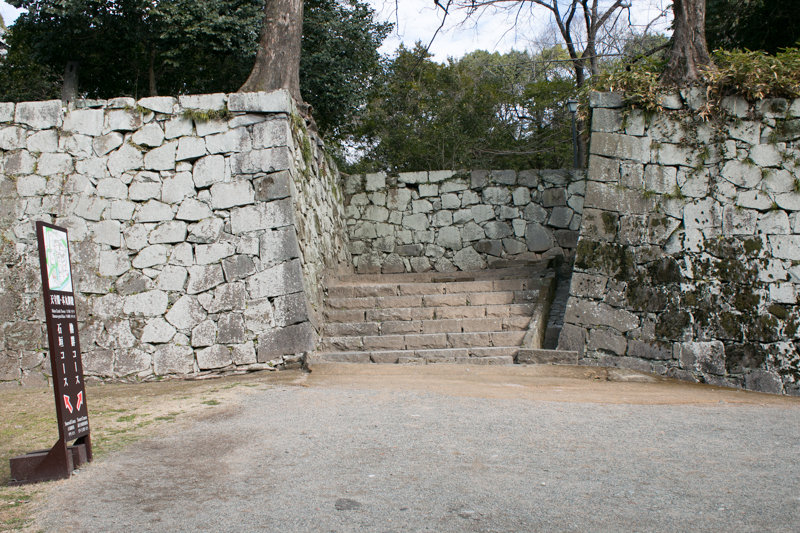 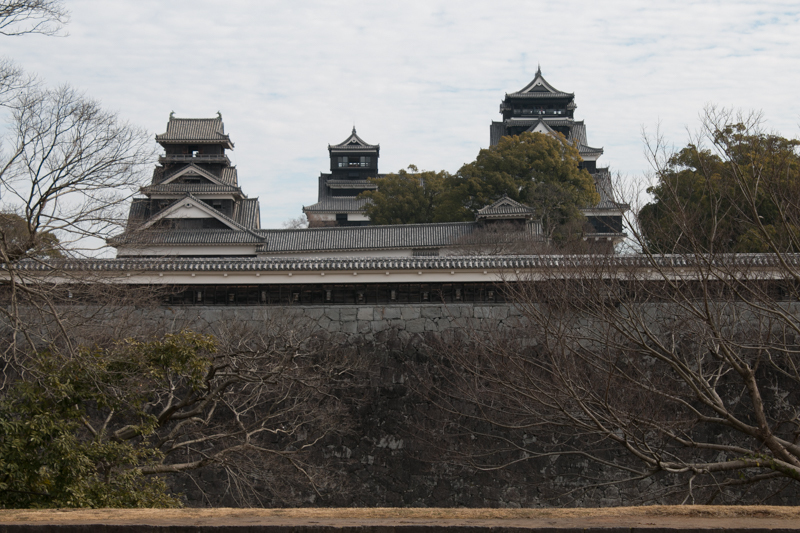 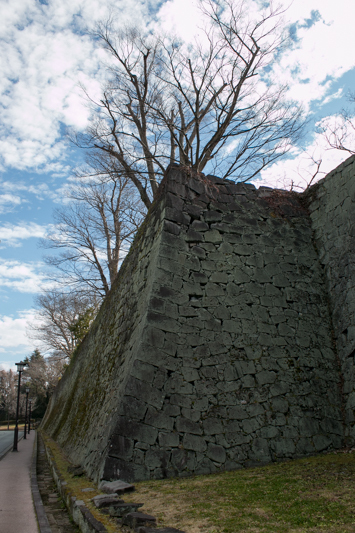 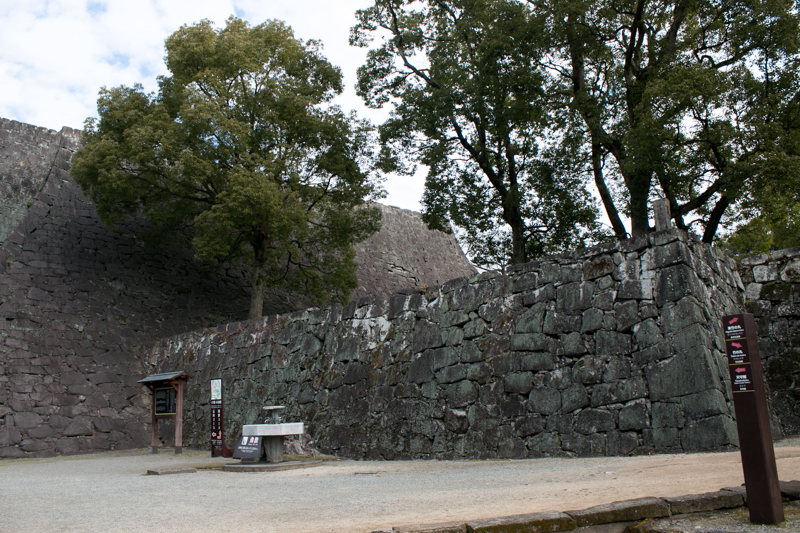 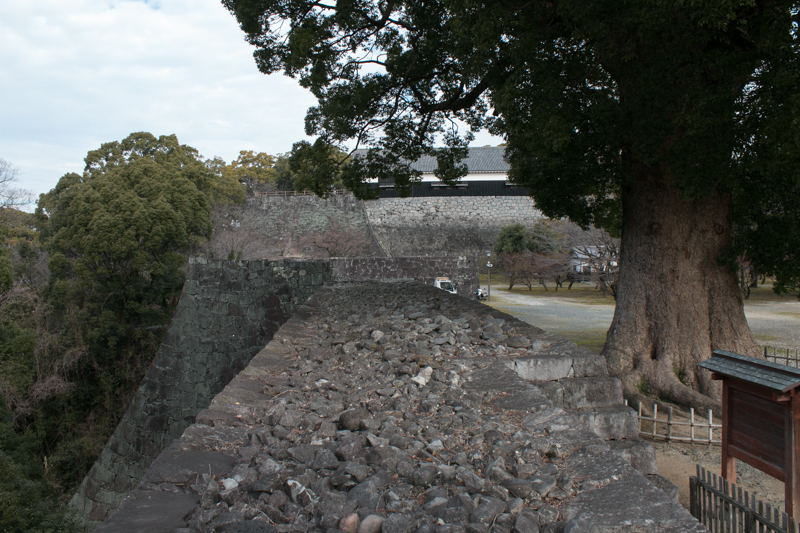 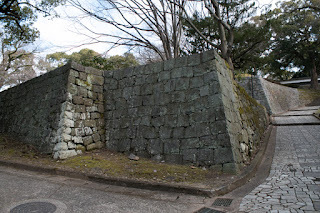 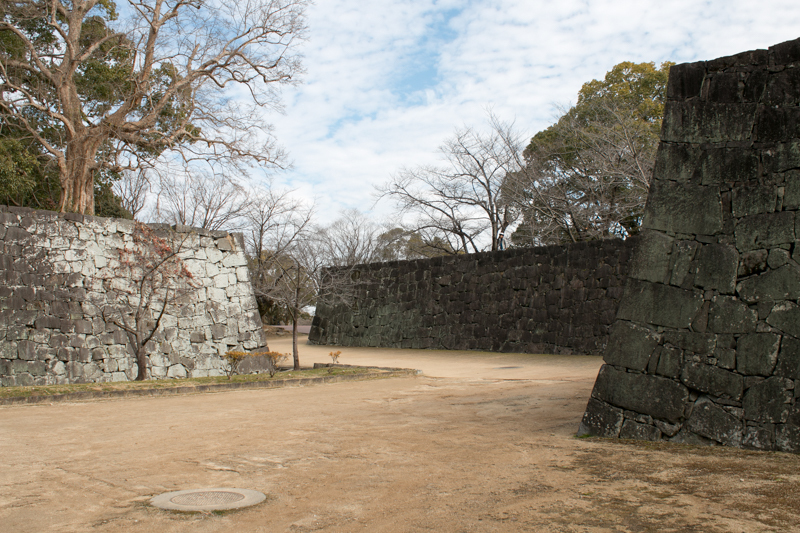 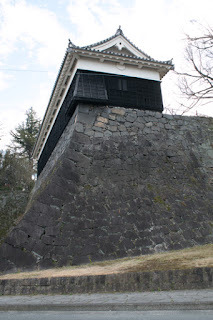 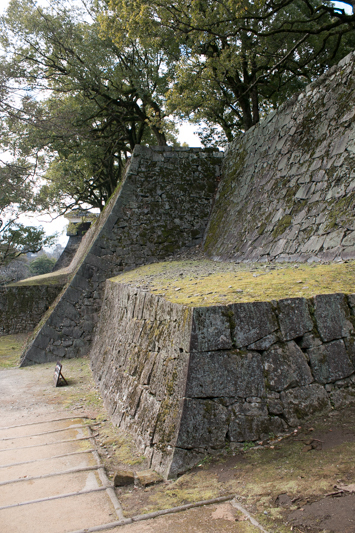 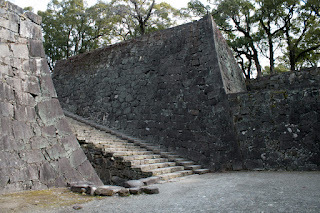 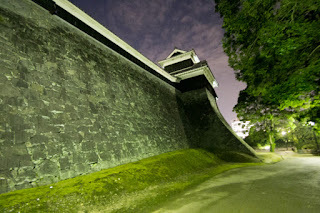 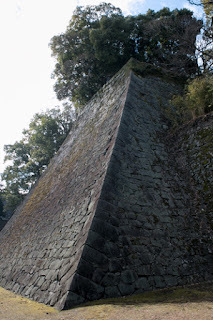 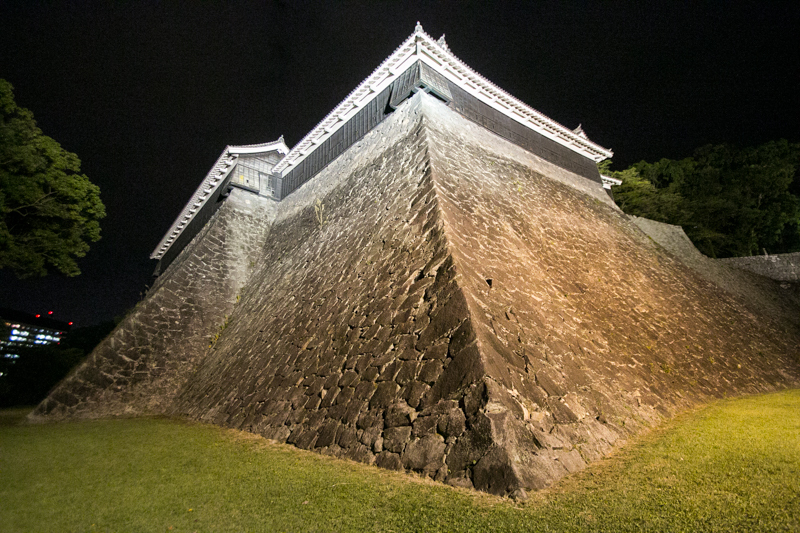 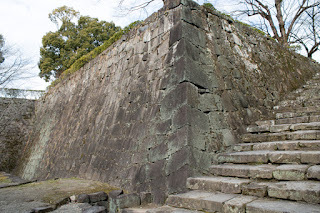 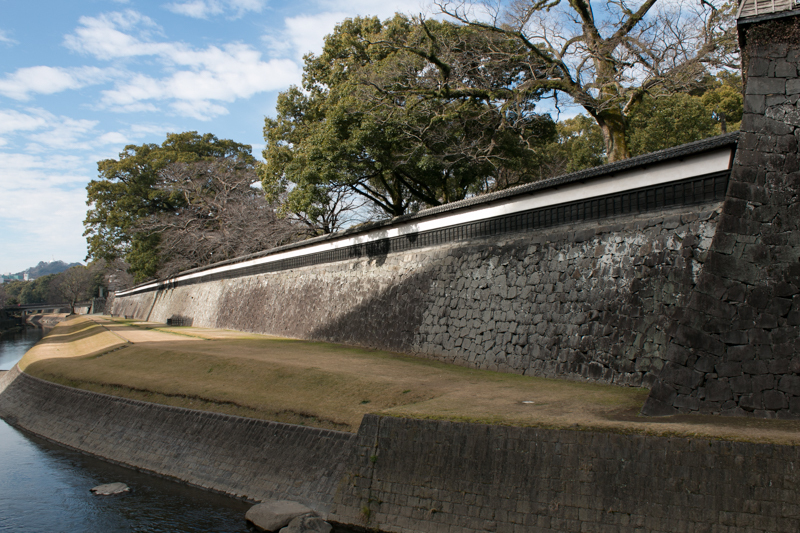 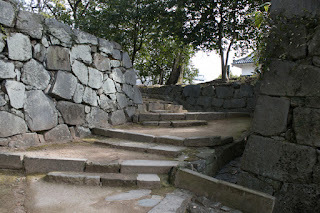 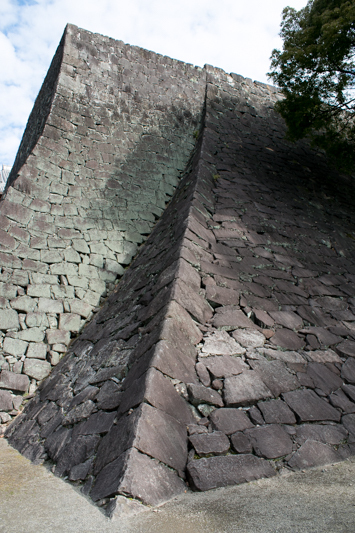 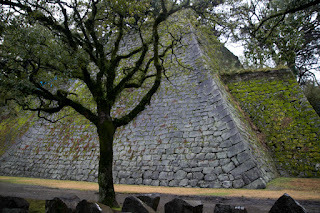 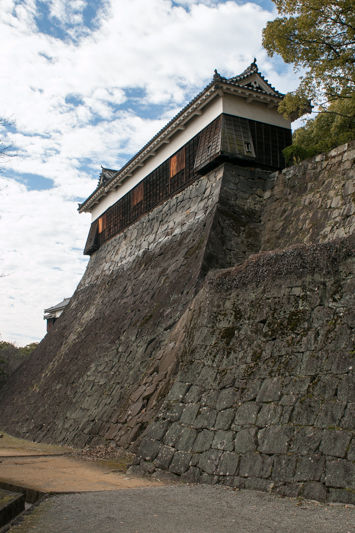 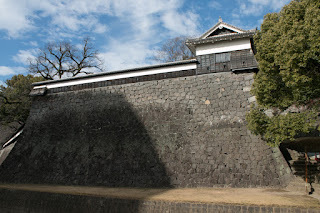 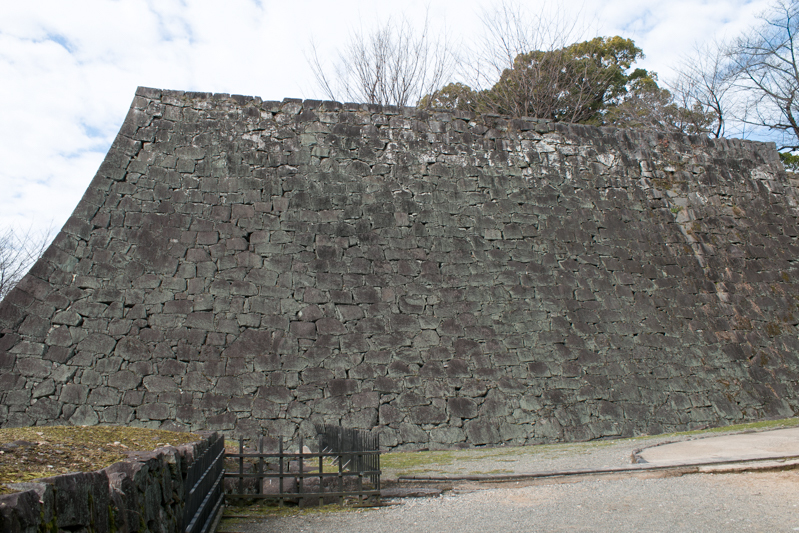 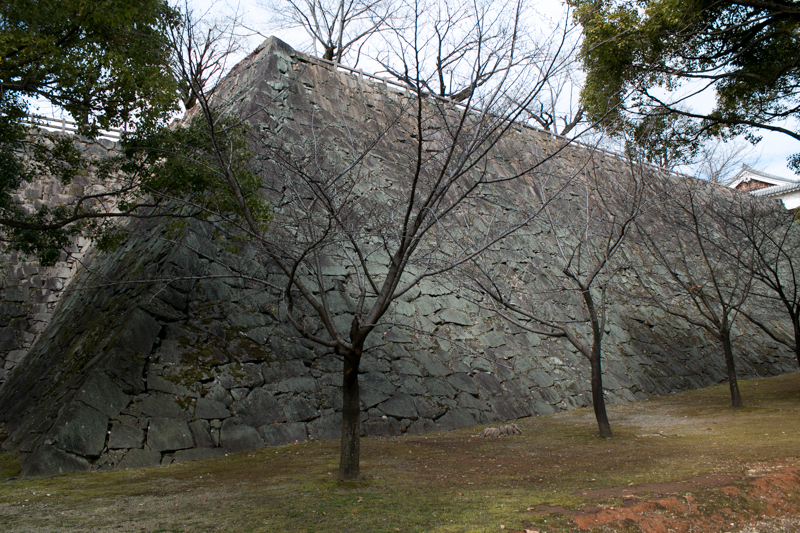 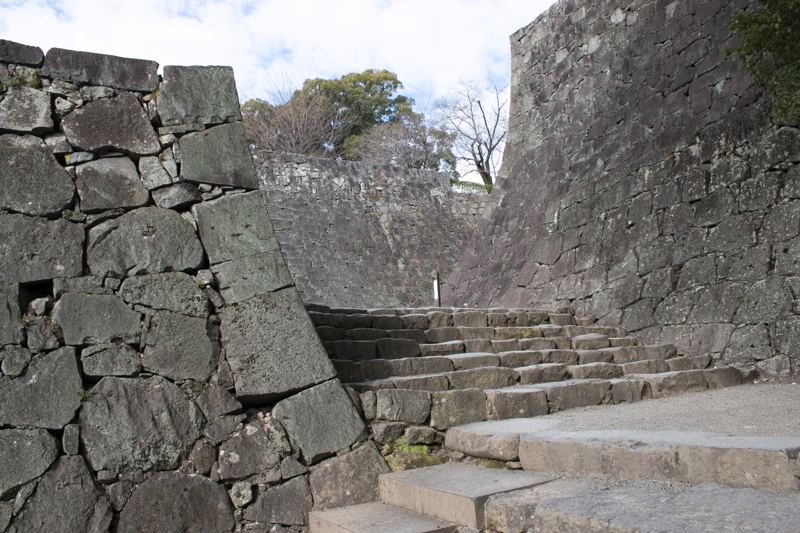 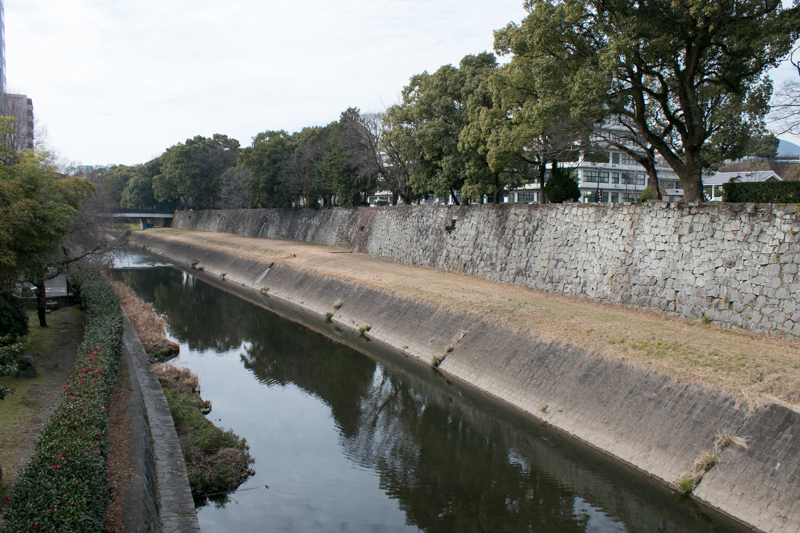 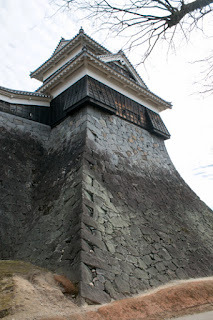 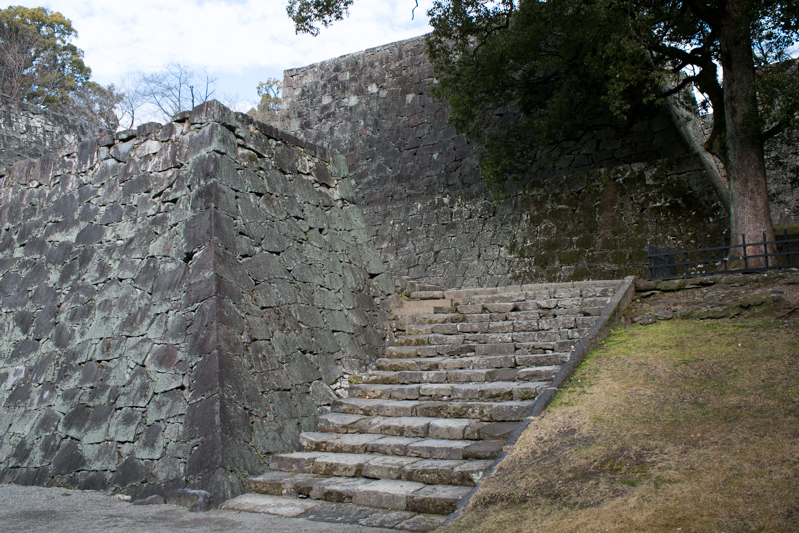 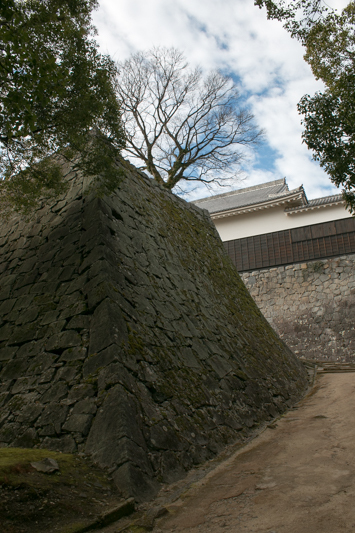 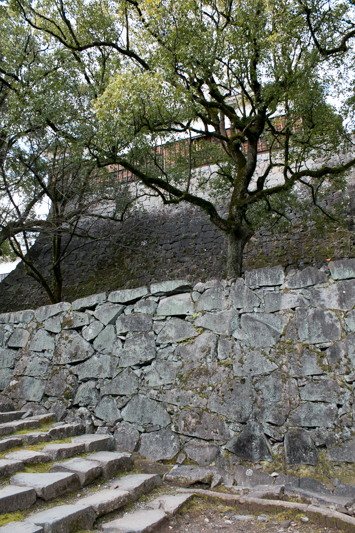 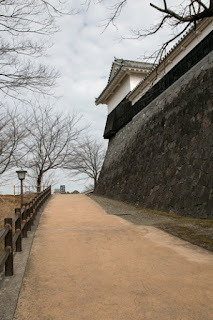 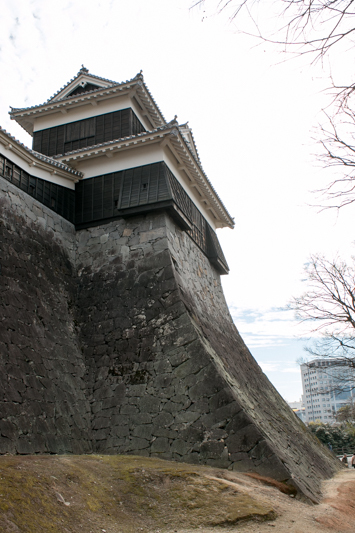 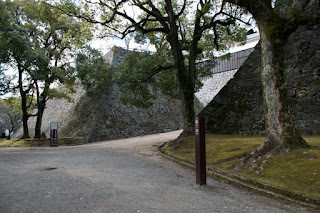 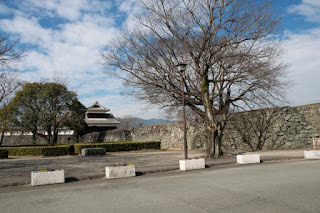 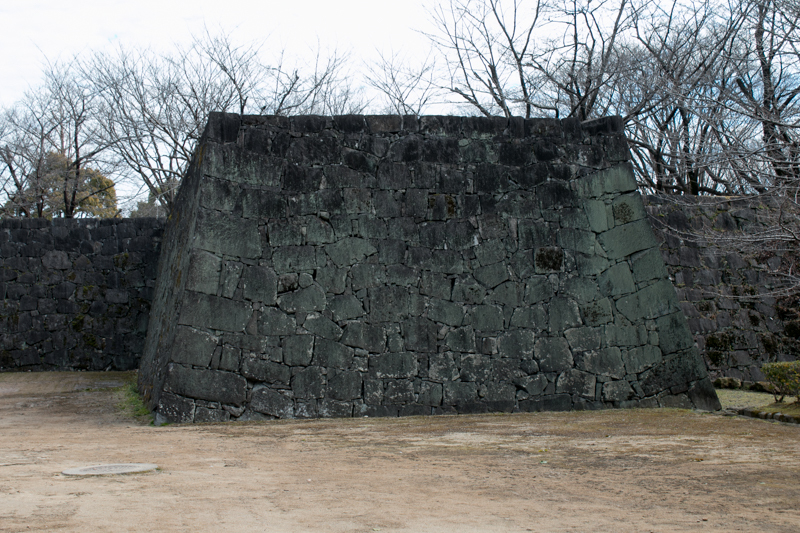 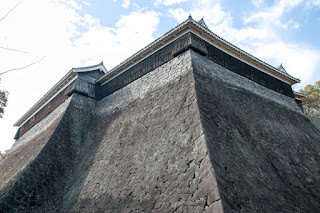 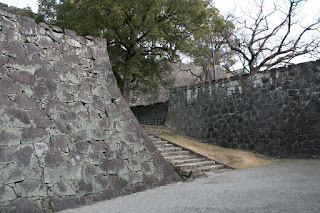 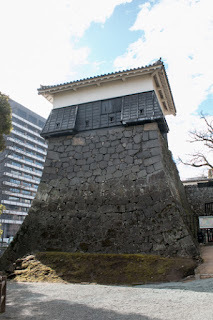 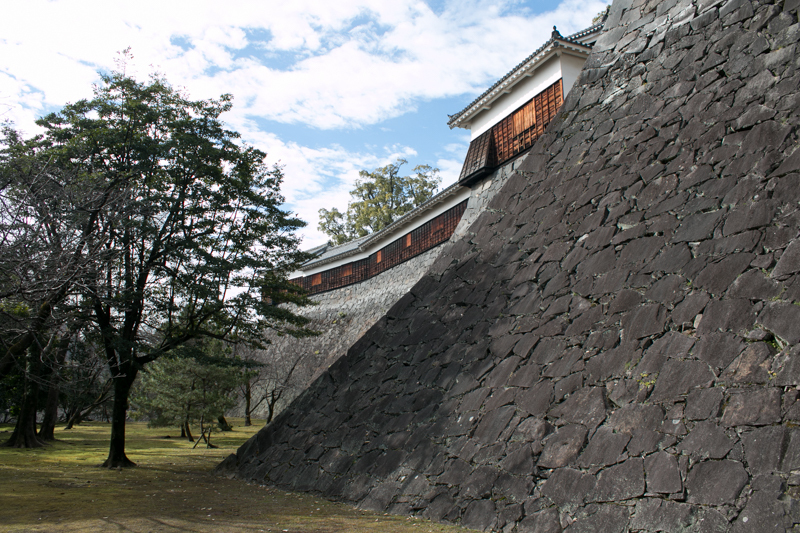 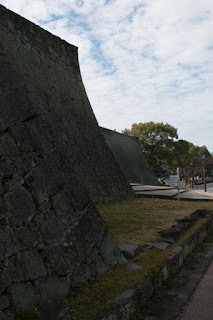 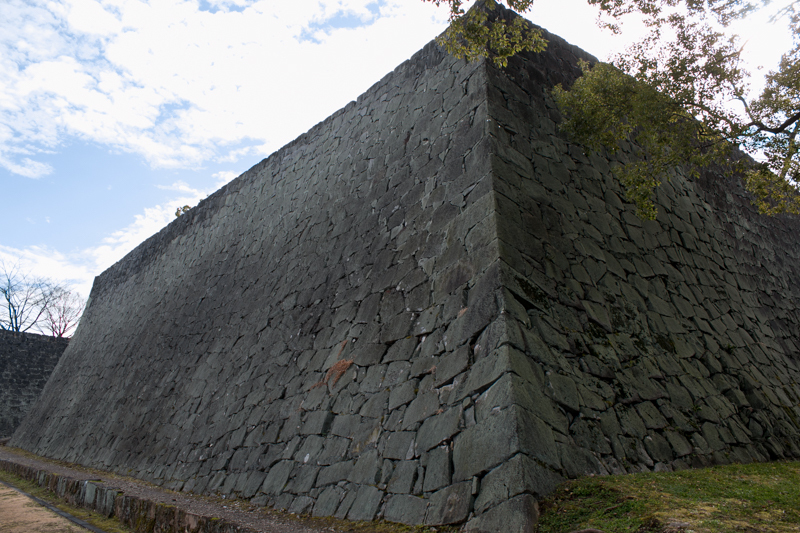 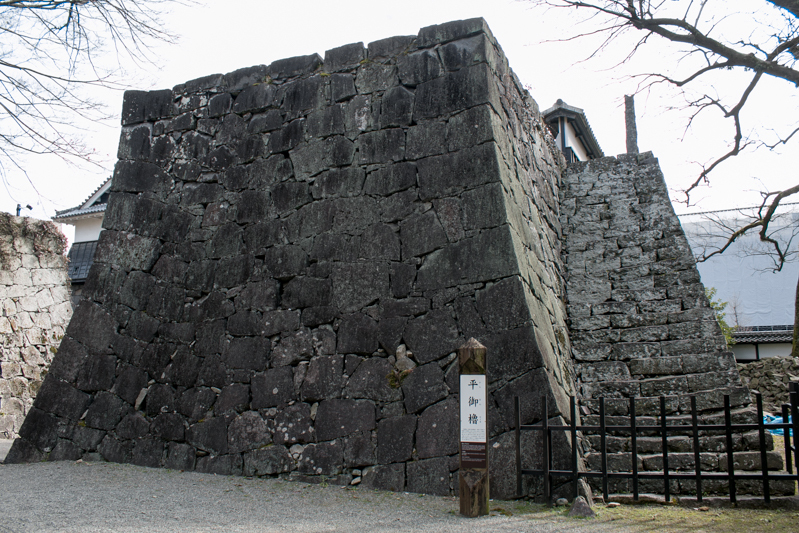 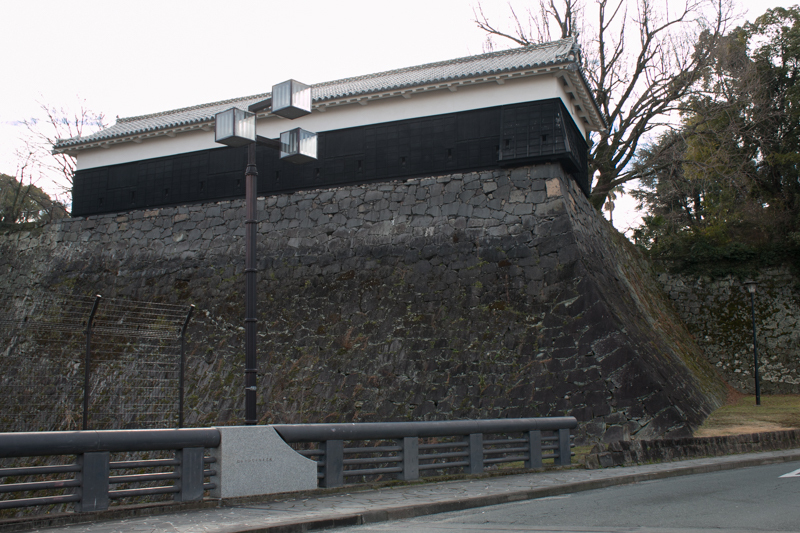 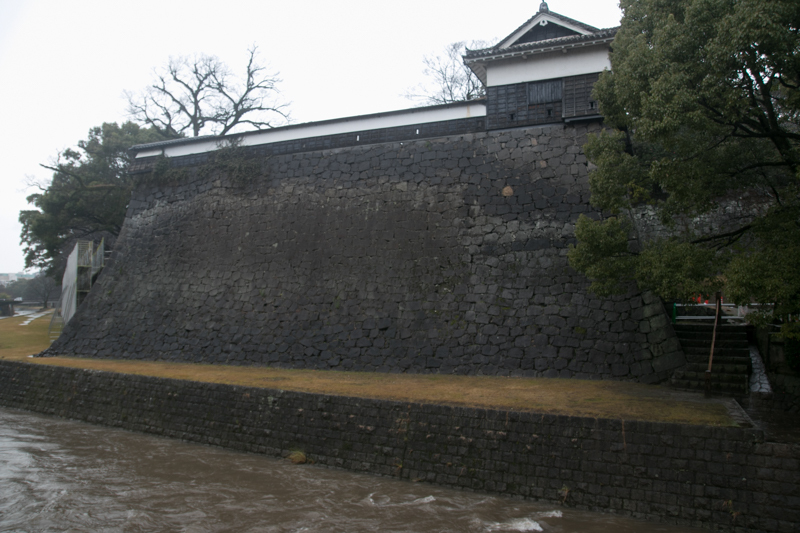 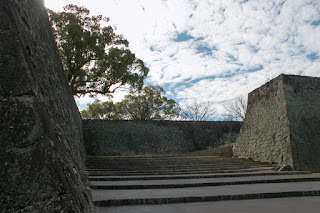 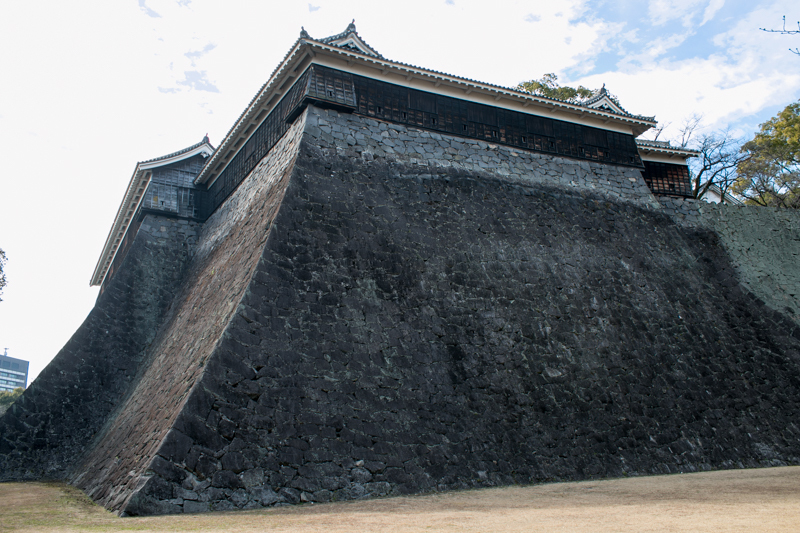 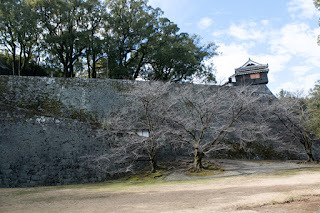 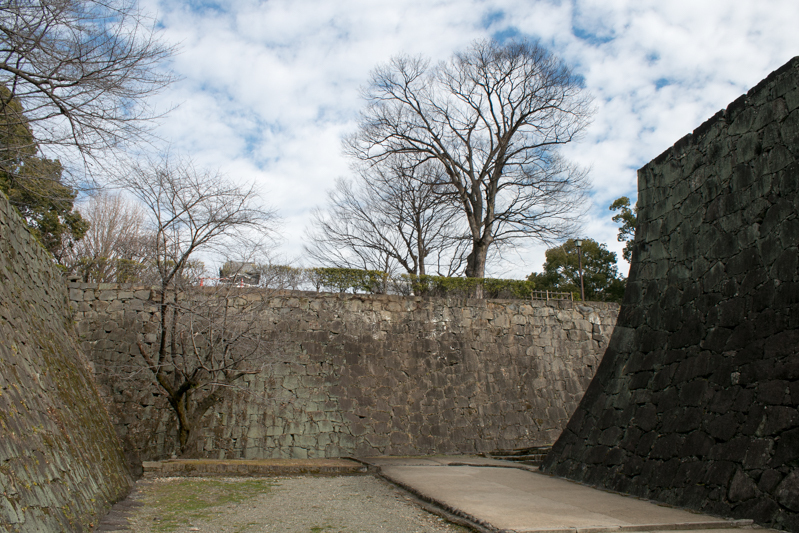 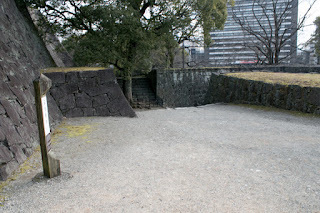 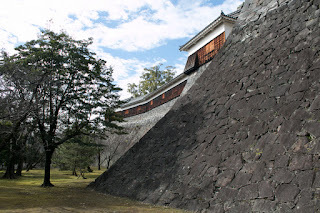 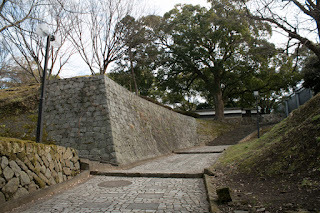 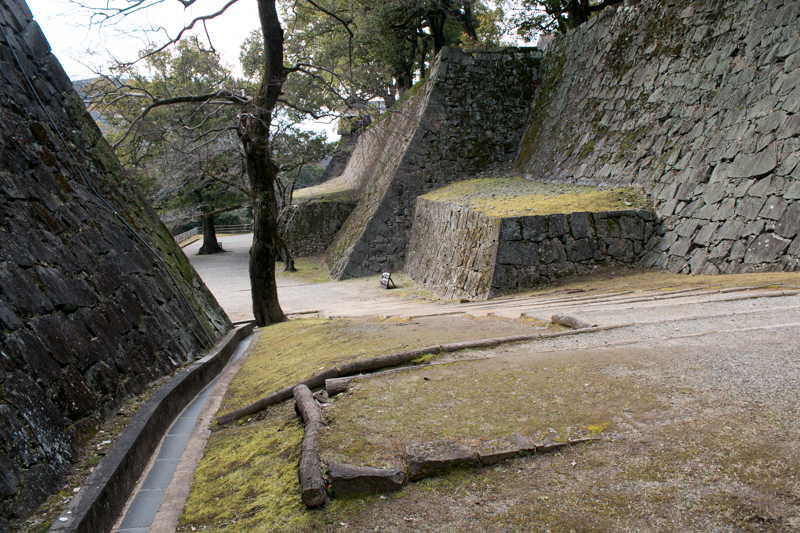 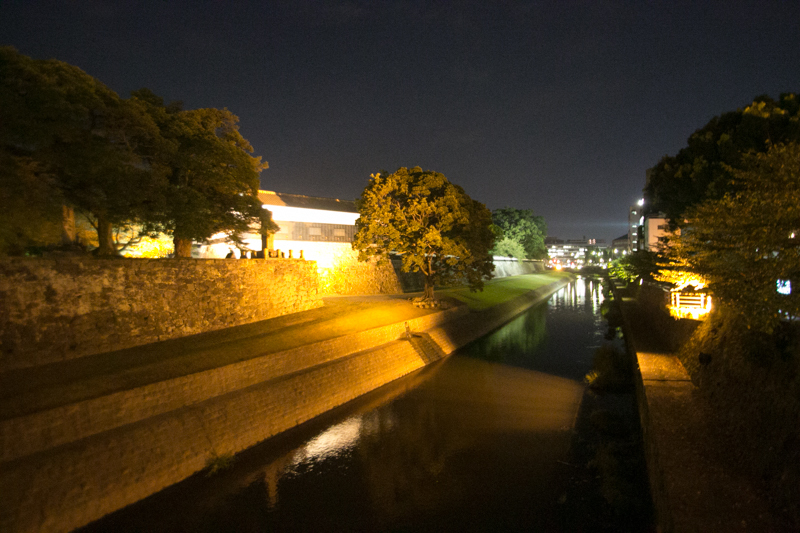 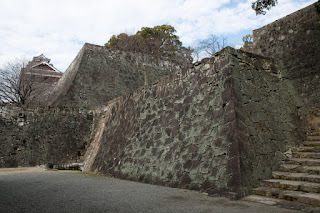 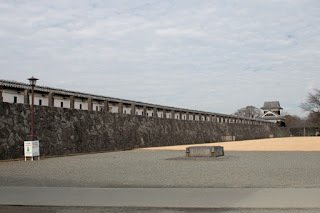 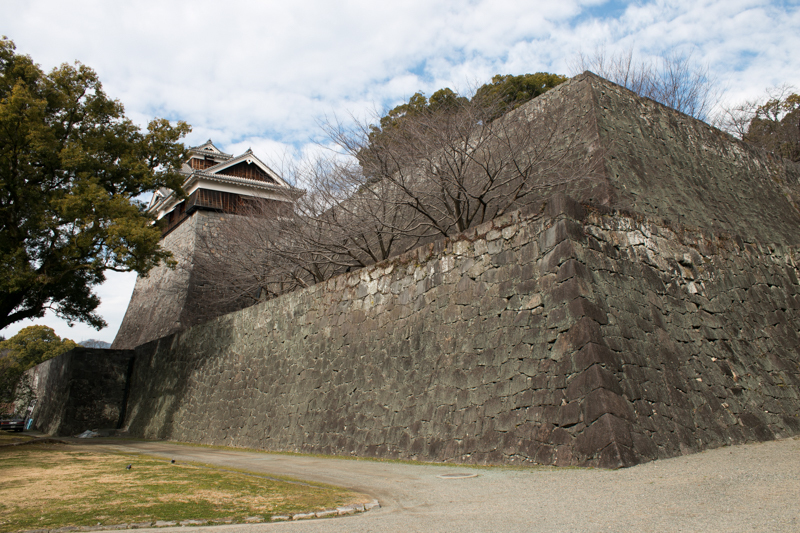 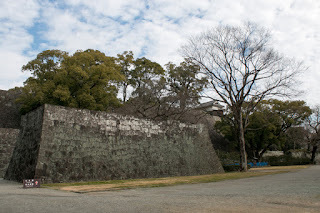 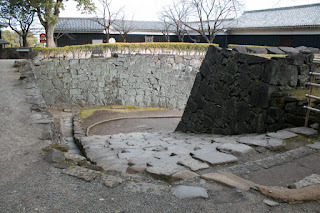 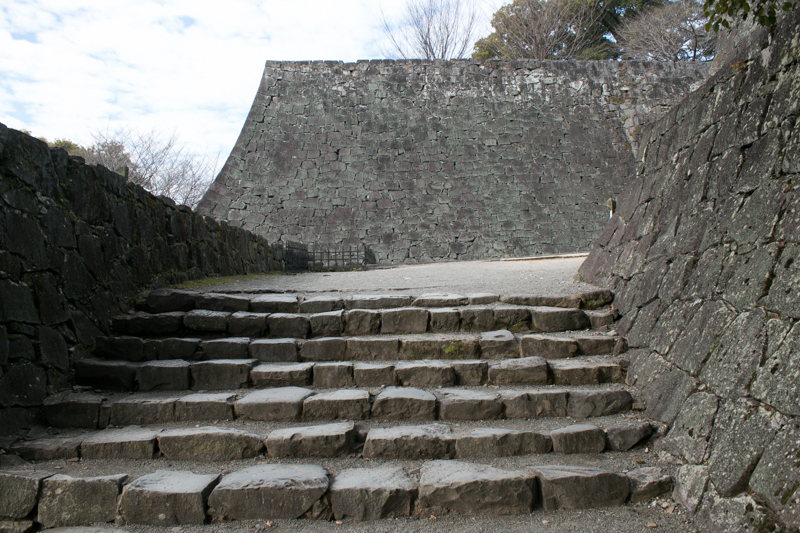 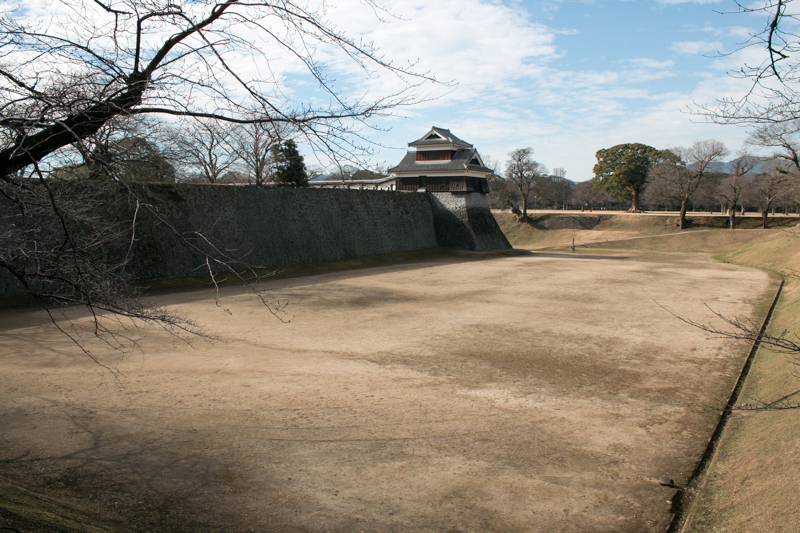 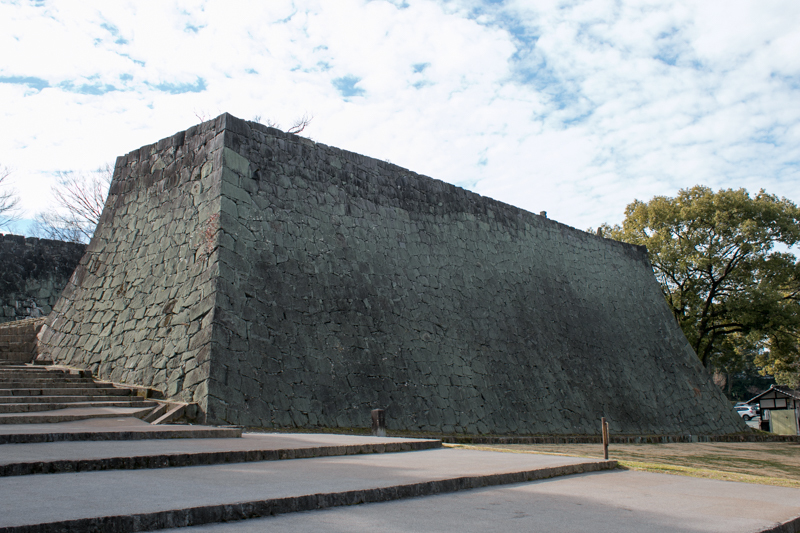 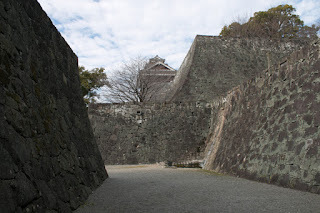 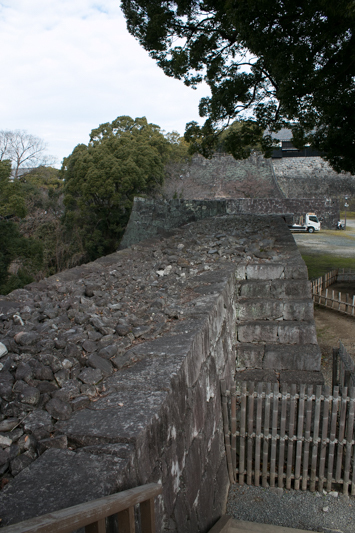 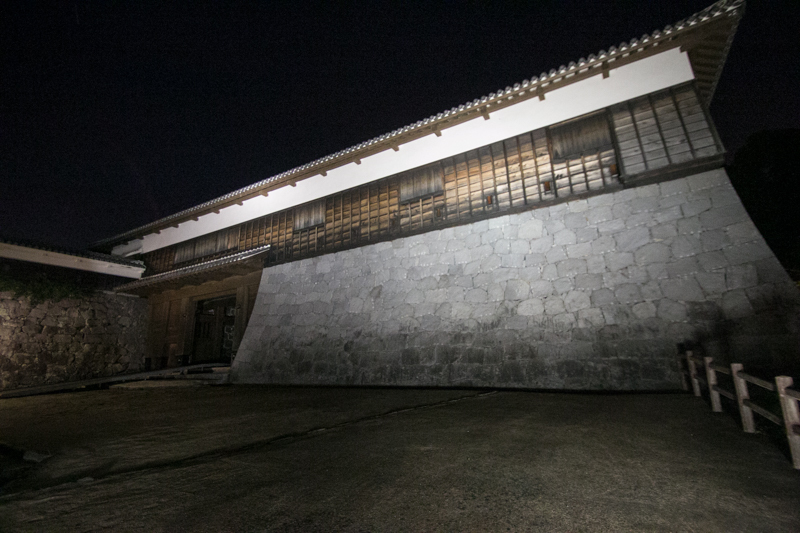 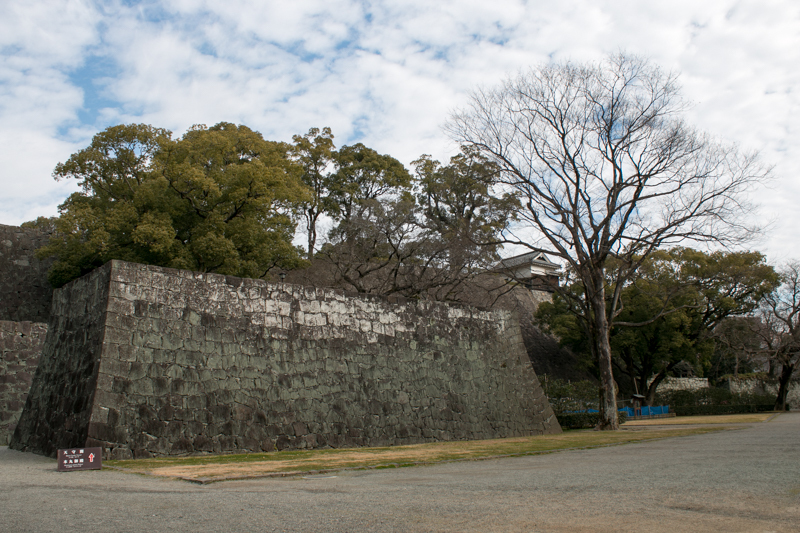 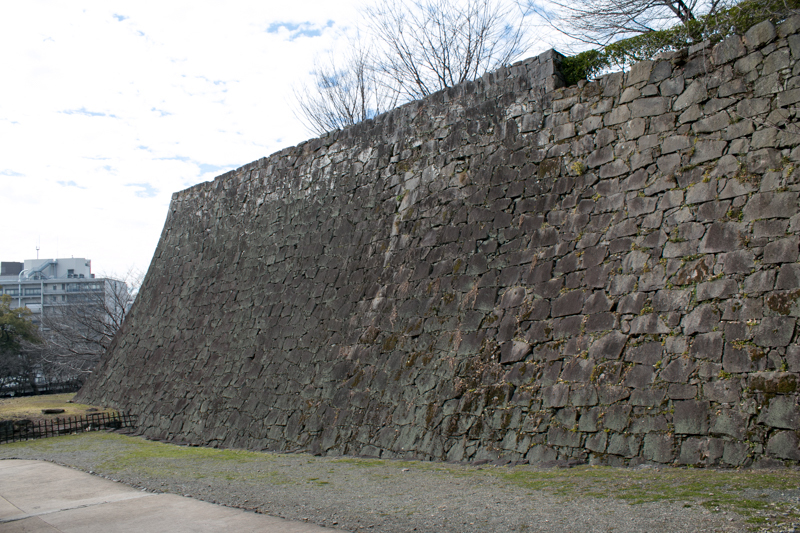 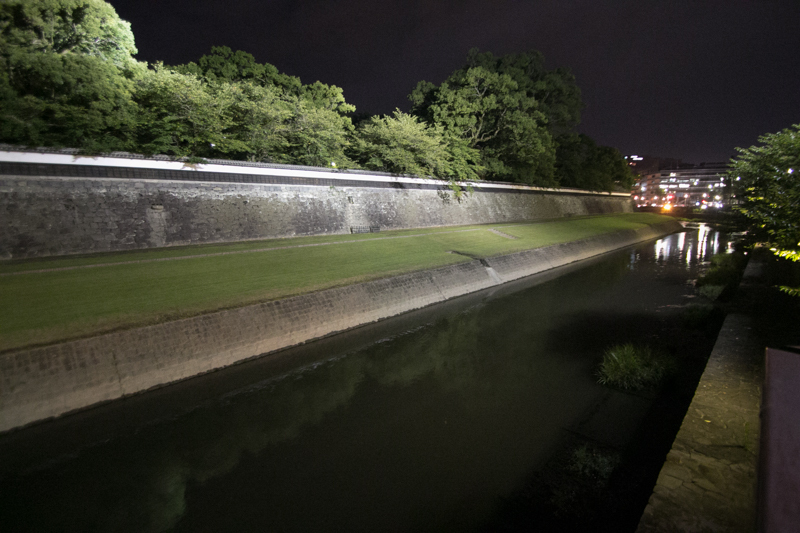 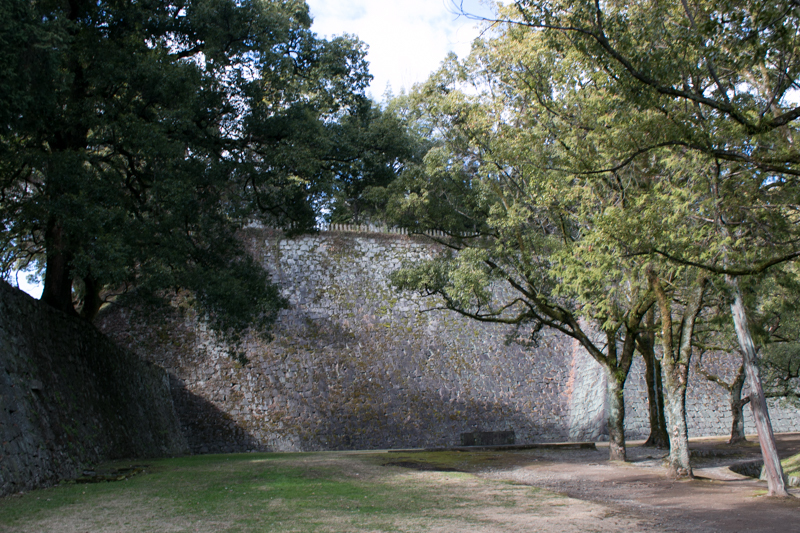 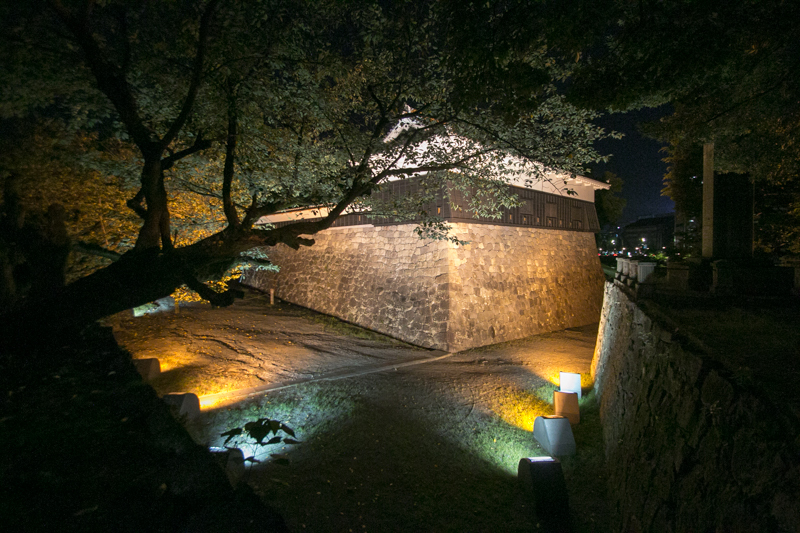 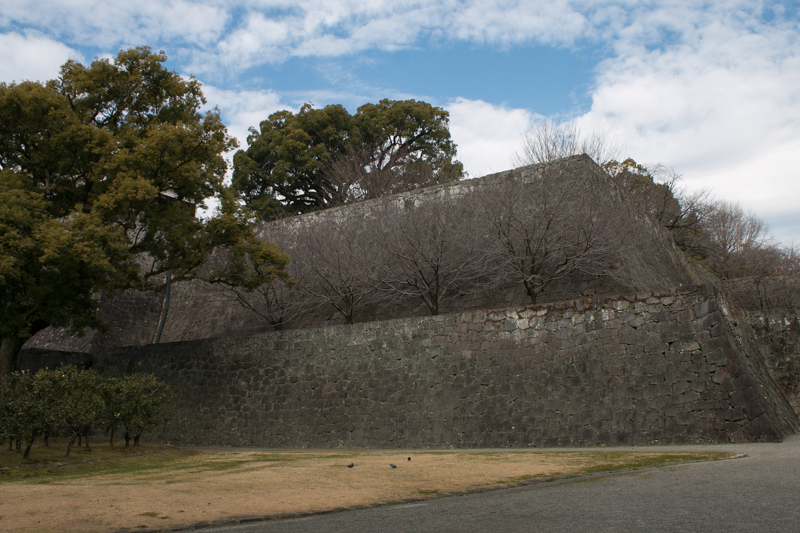 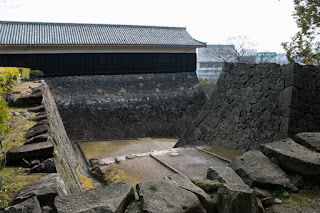 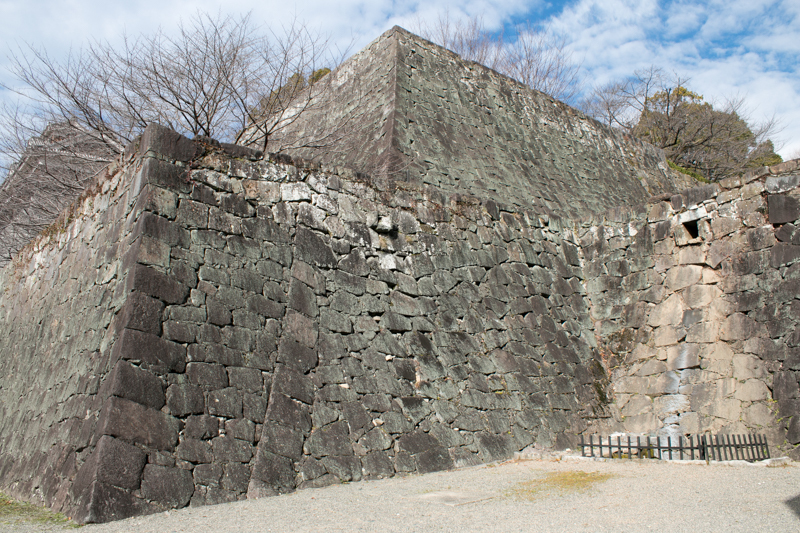 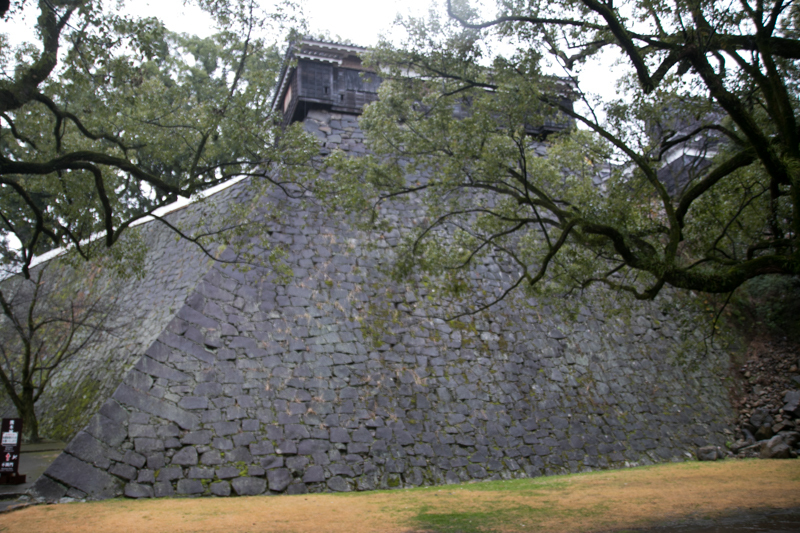 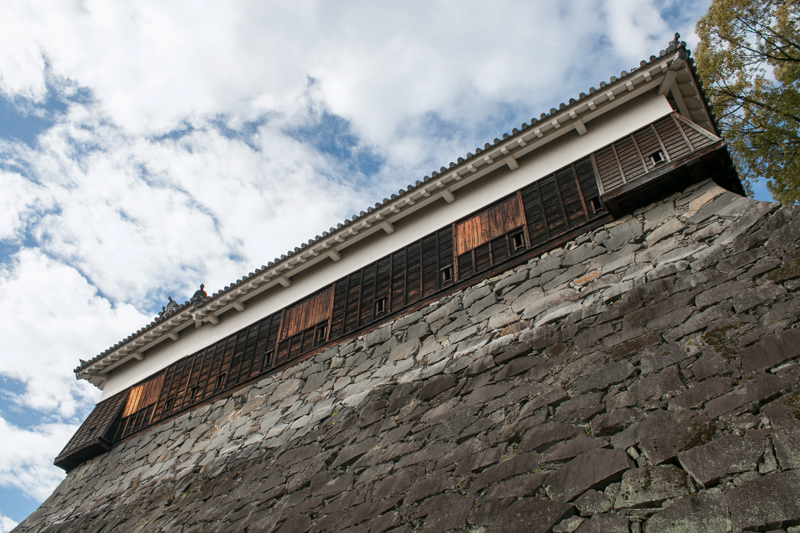 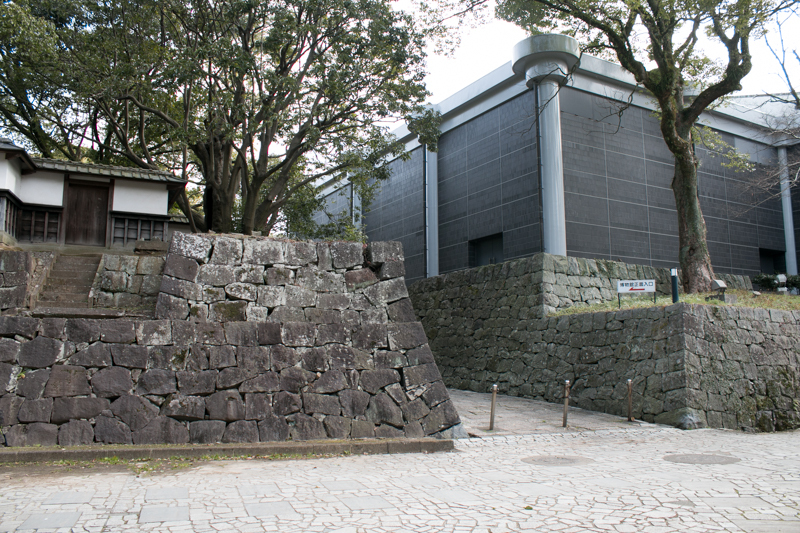 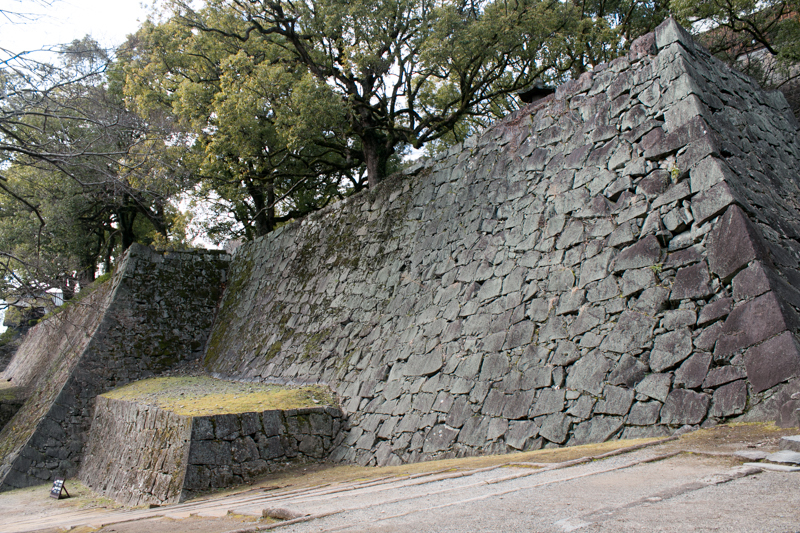 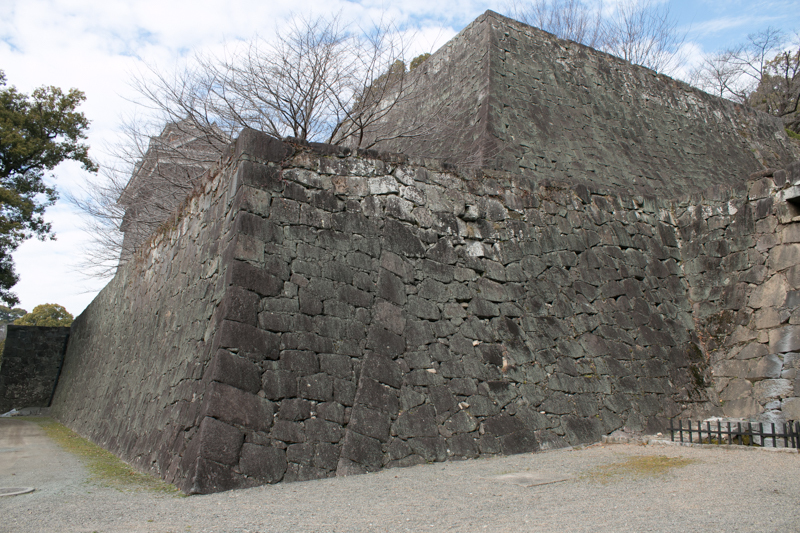 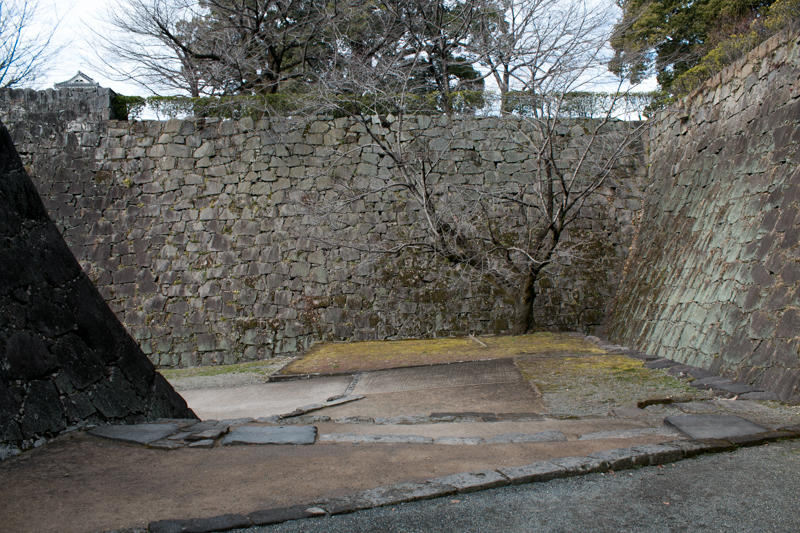 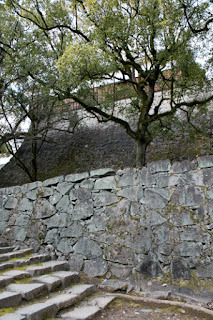 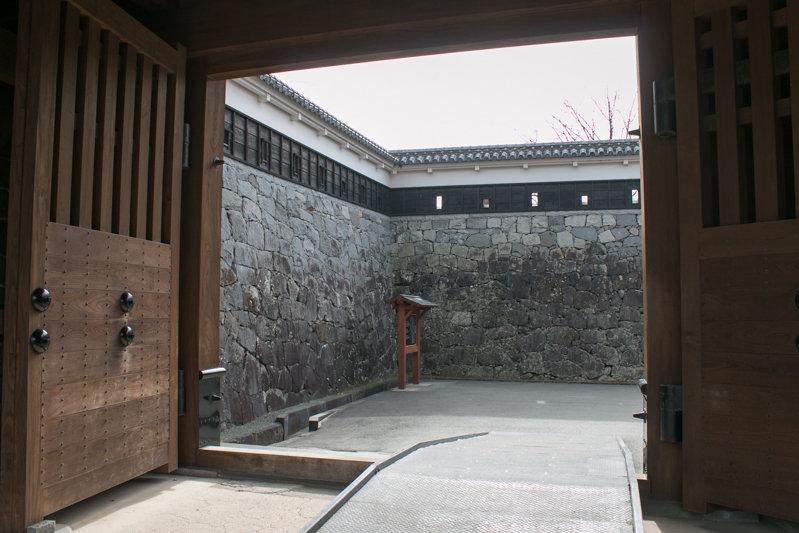 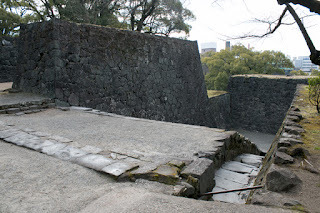 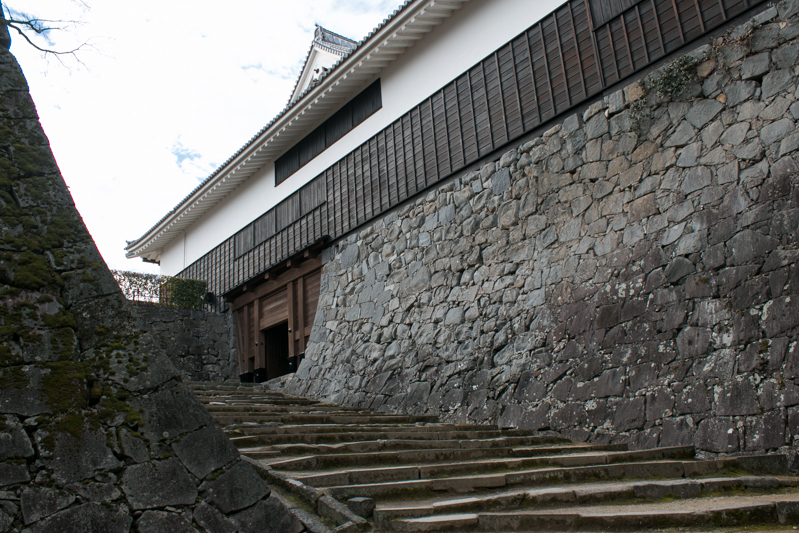 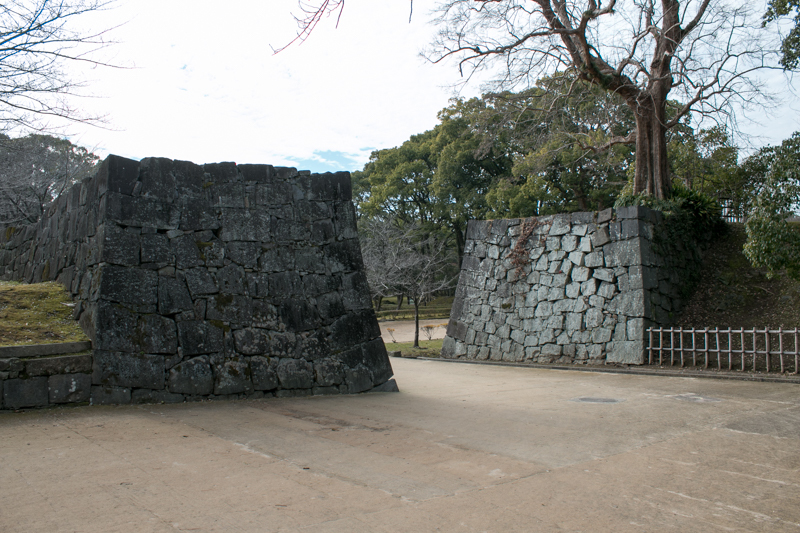 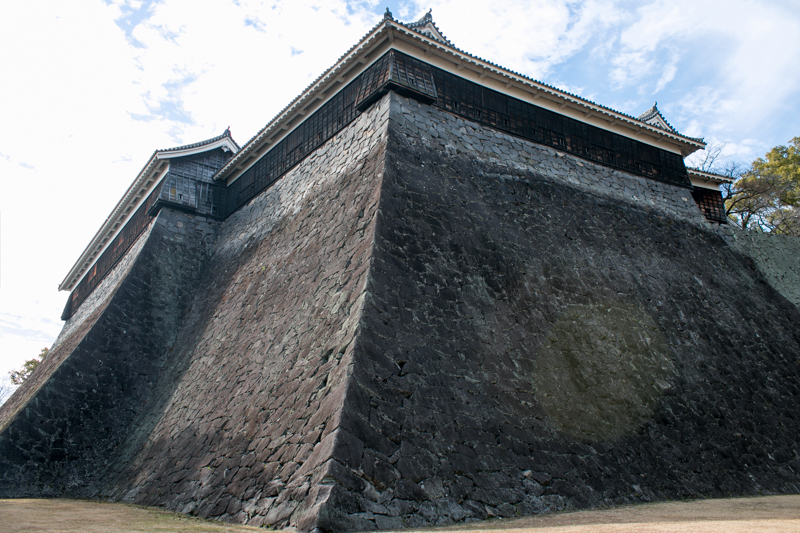 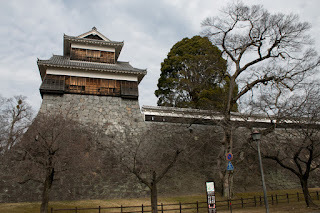 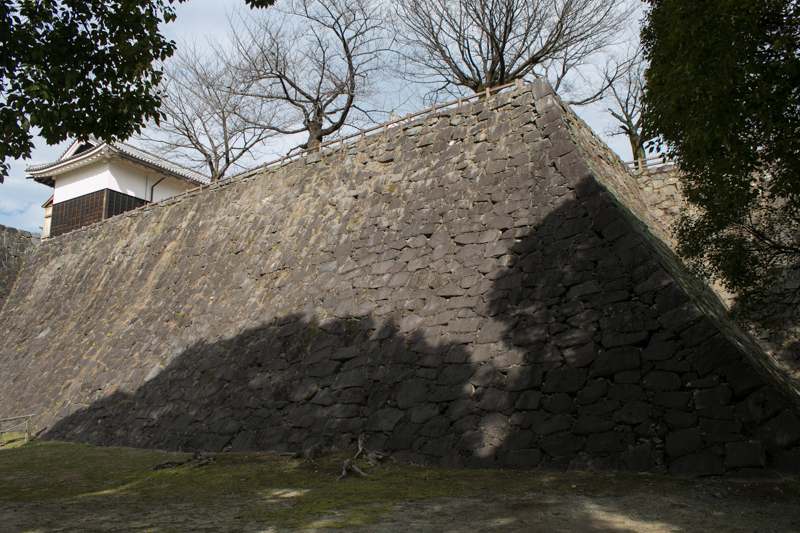 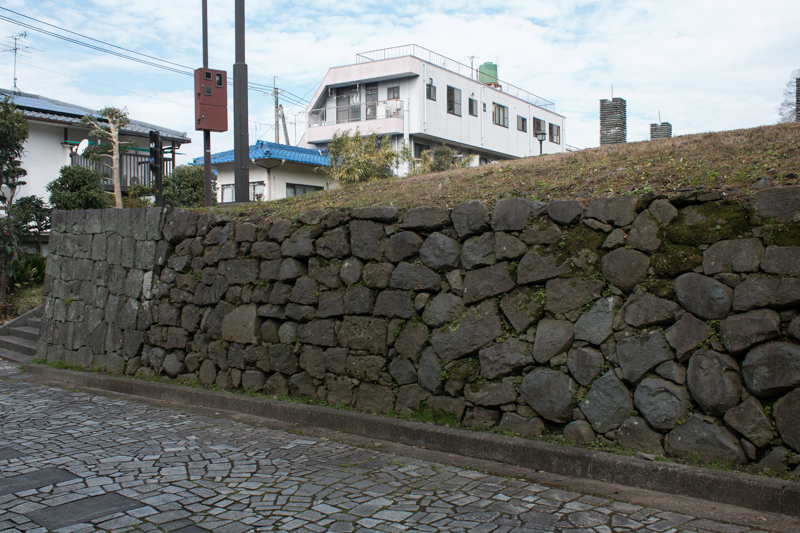 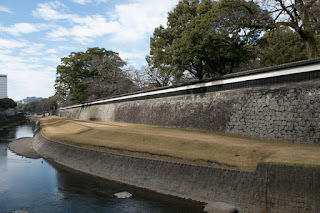 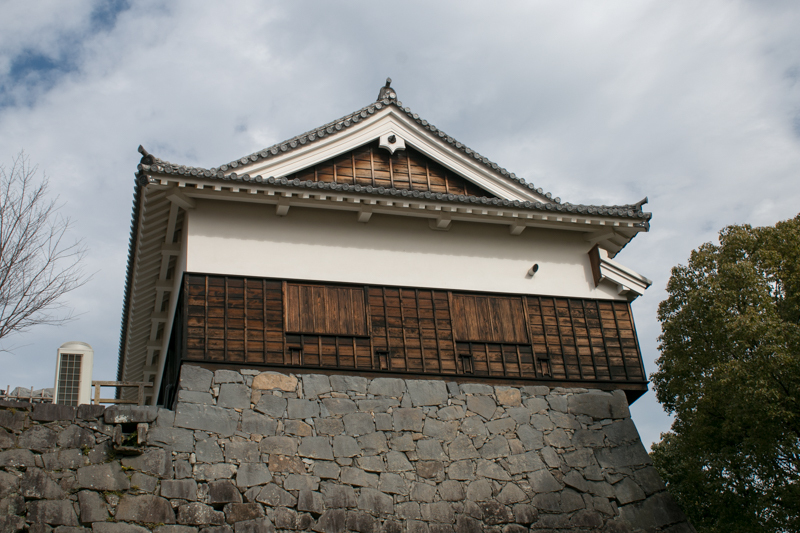 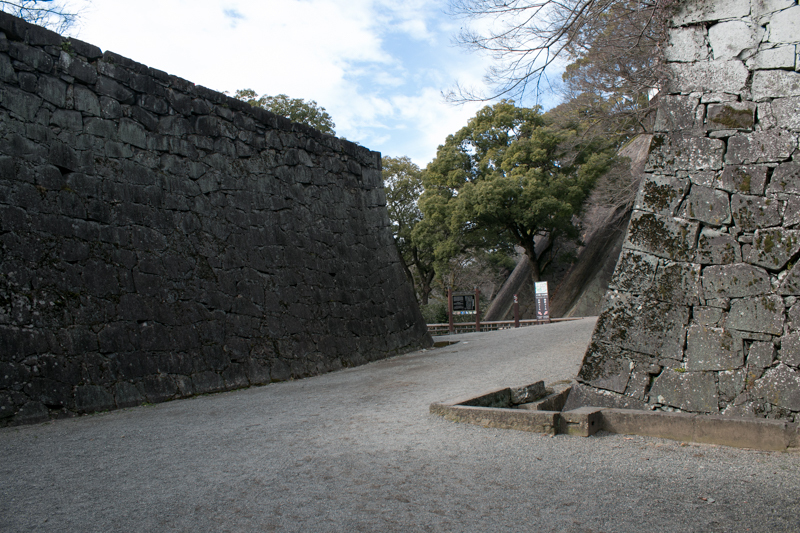 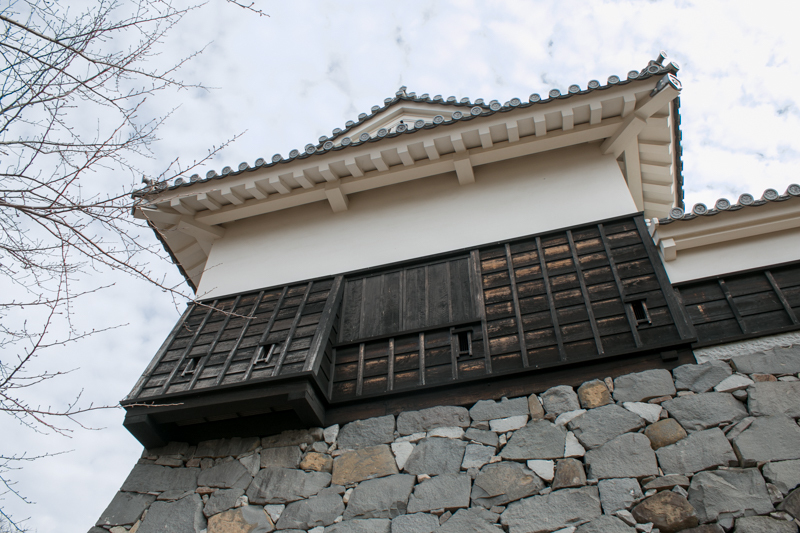 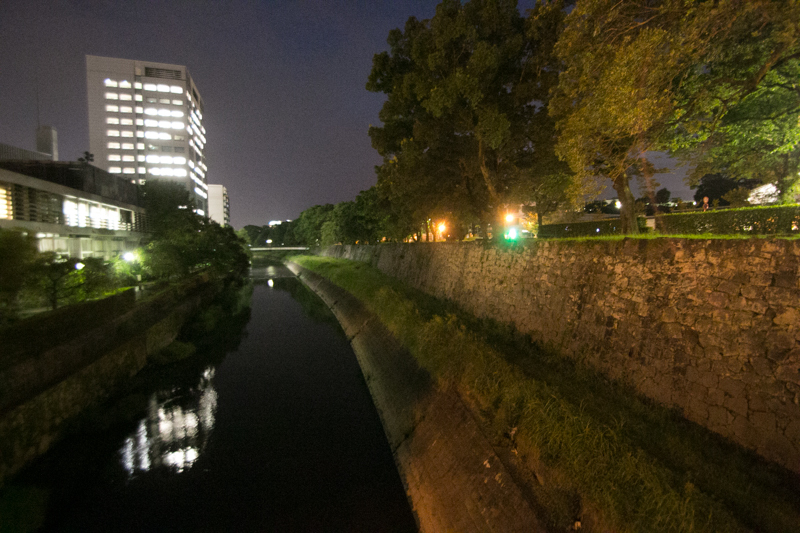 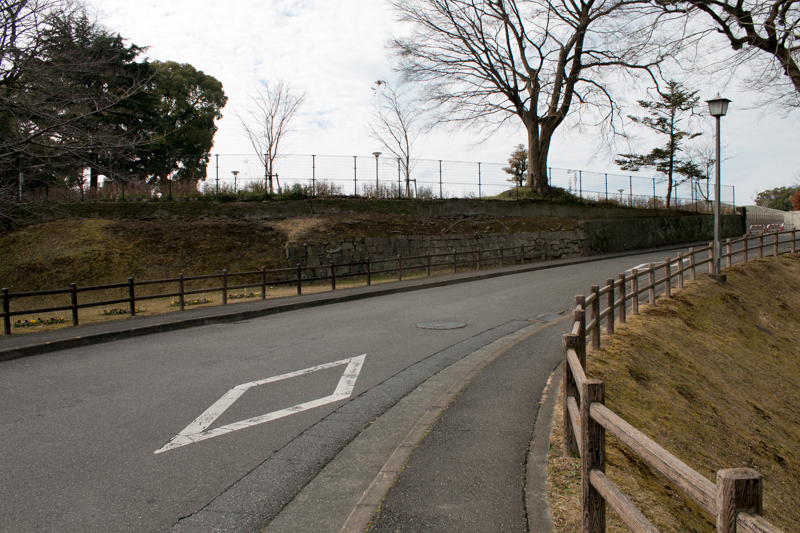 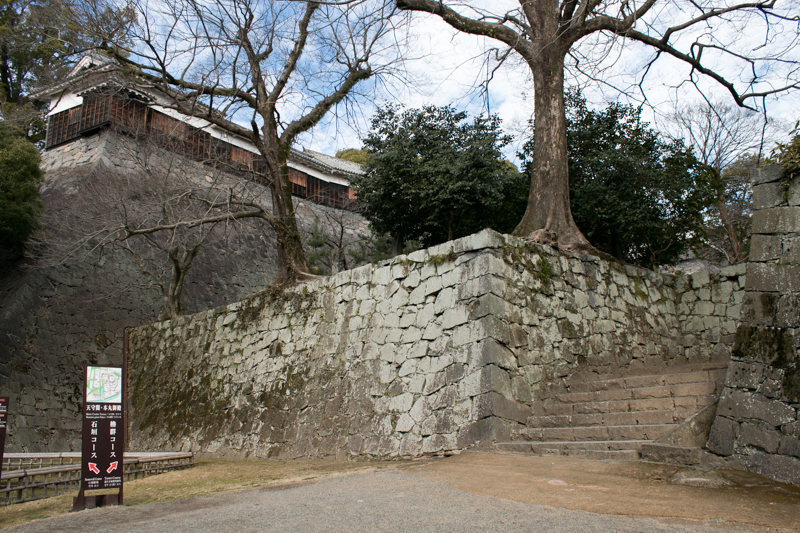 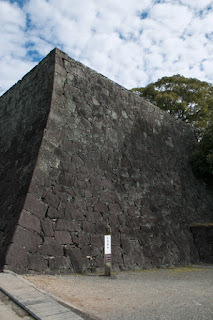 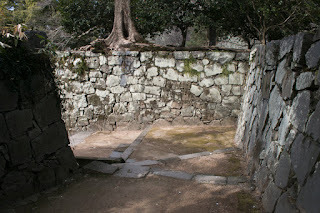 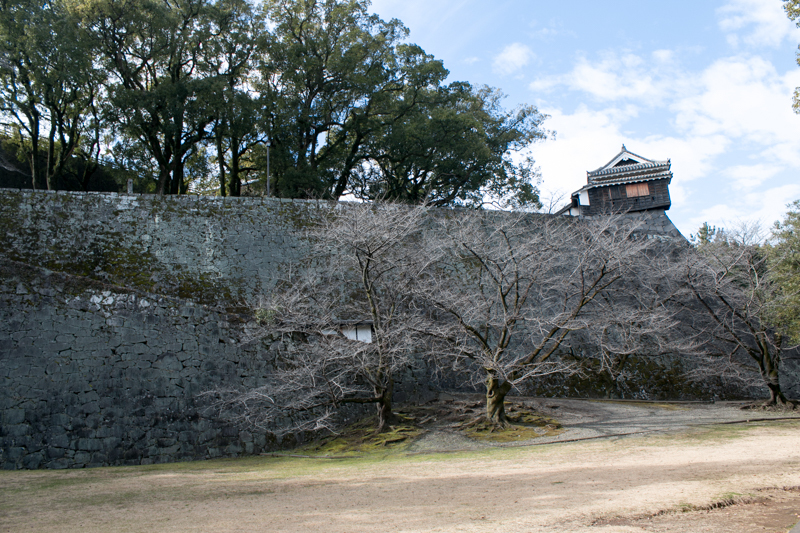 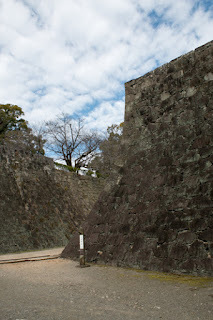 On the other hand, Kumamoto castle had tall and secure stone walls, and could defend only by the secureness of stone walls. 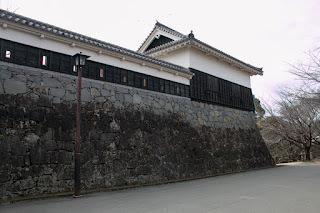 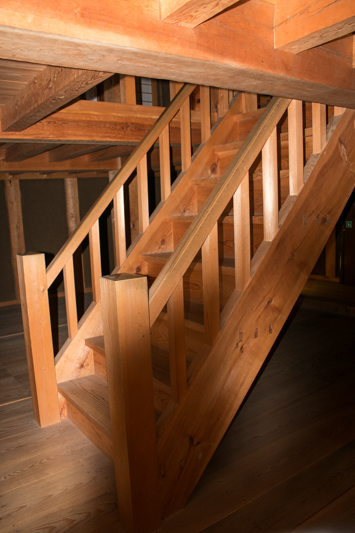 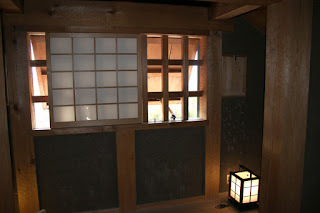 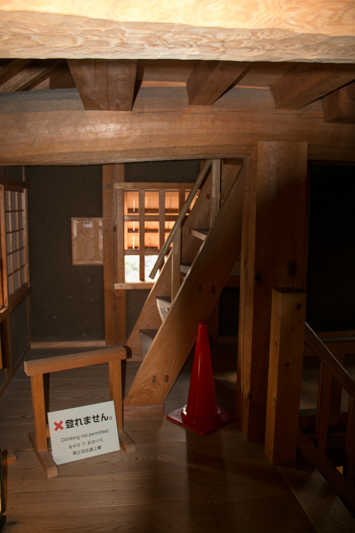 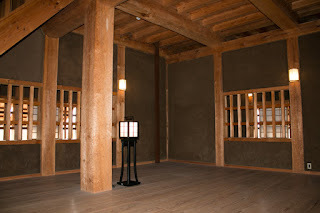 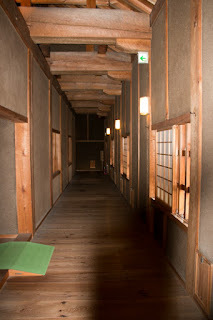 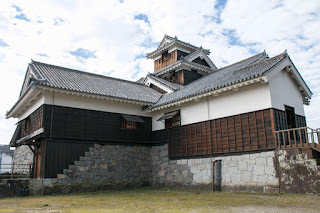 Furthermore, unlike the siege of Aizu Wakamtsu castle (Fukushima prefecture) during Meiji revolution war, there were only limited civilians and did not need large dwelling space. Nevertheless, defending soldiers had to bear severe coldness of winter, along with attack from Saigo army. 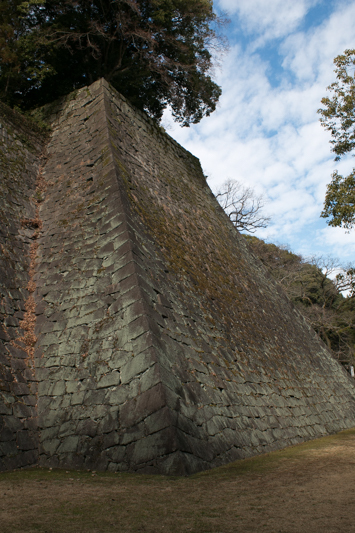 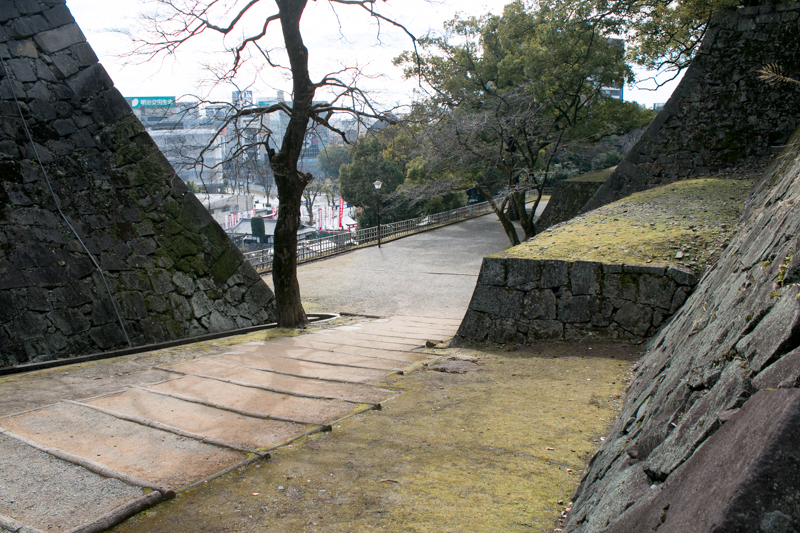 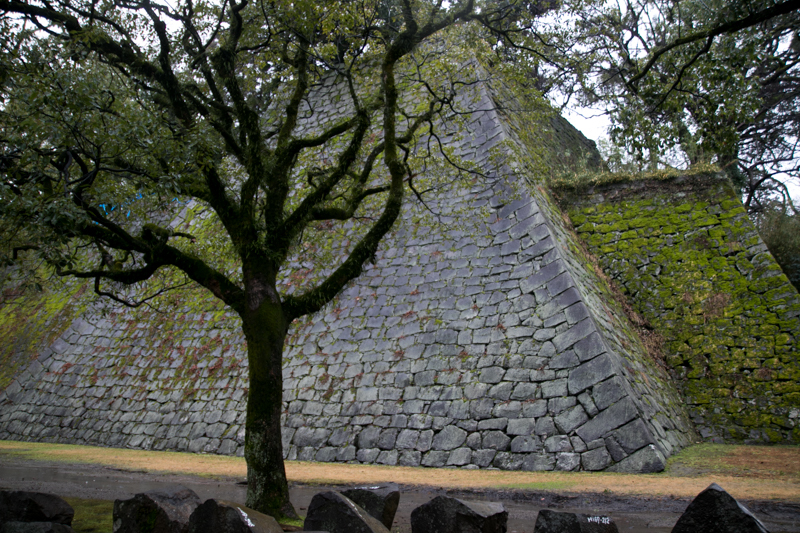 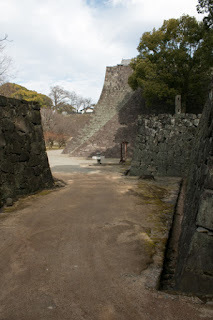 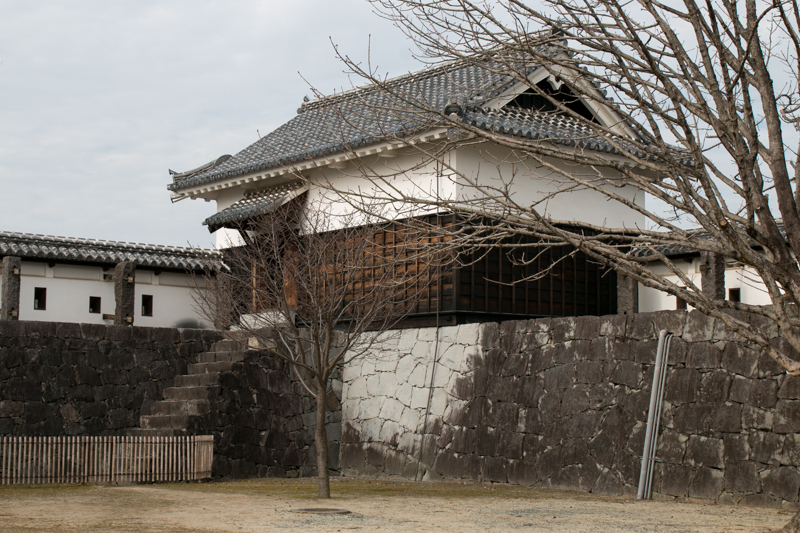 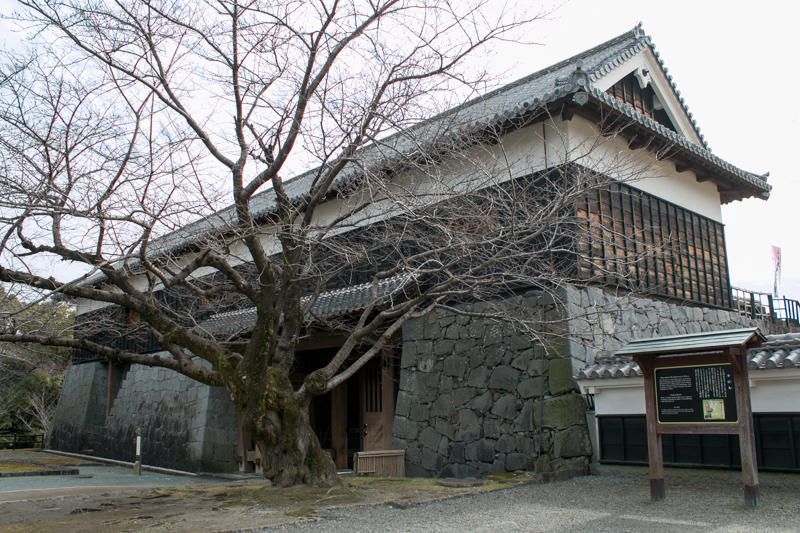 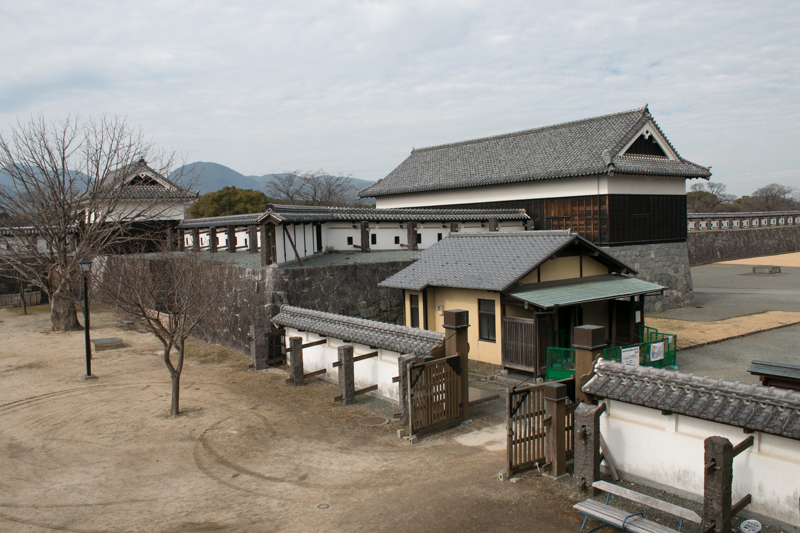 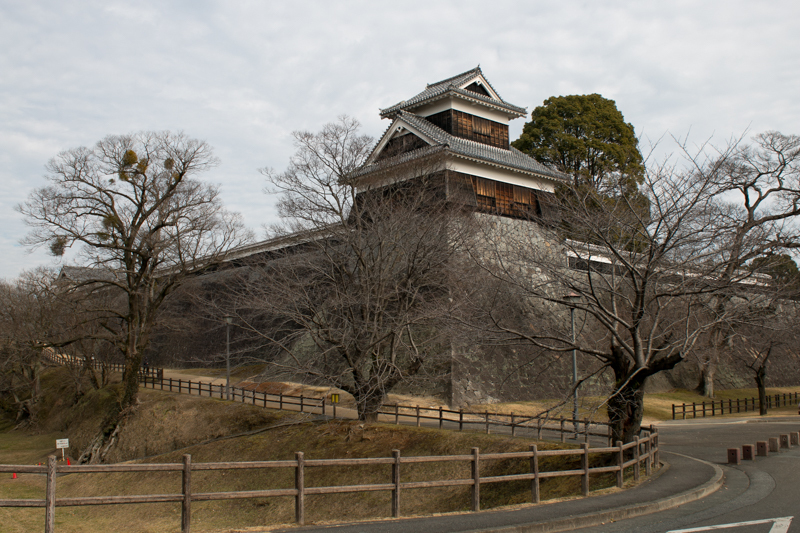 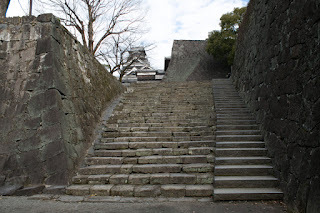 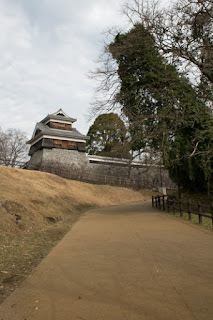 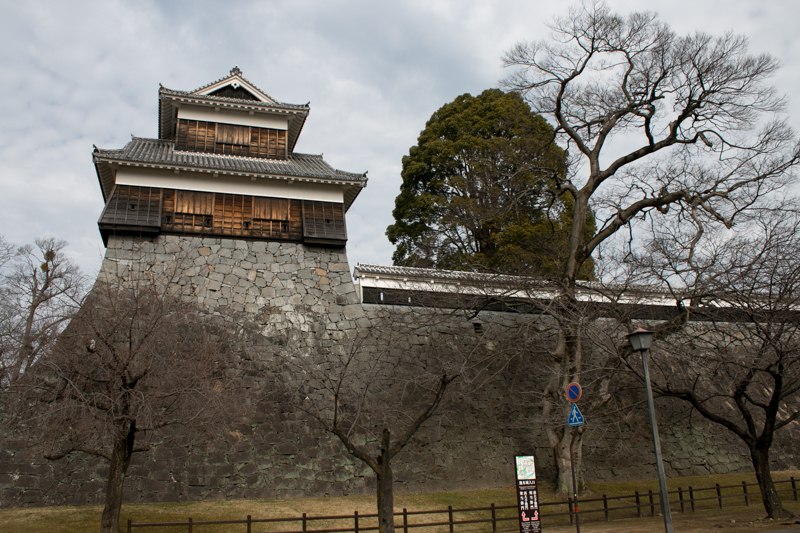 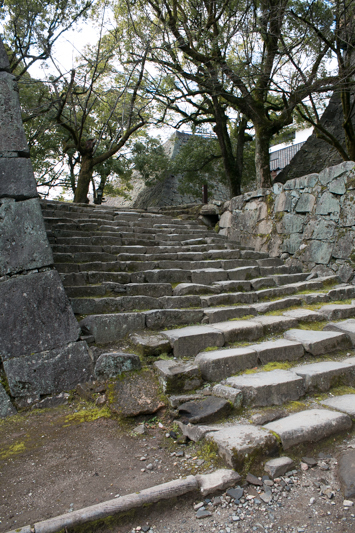 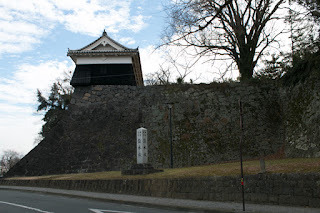 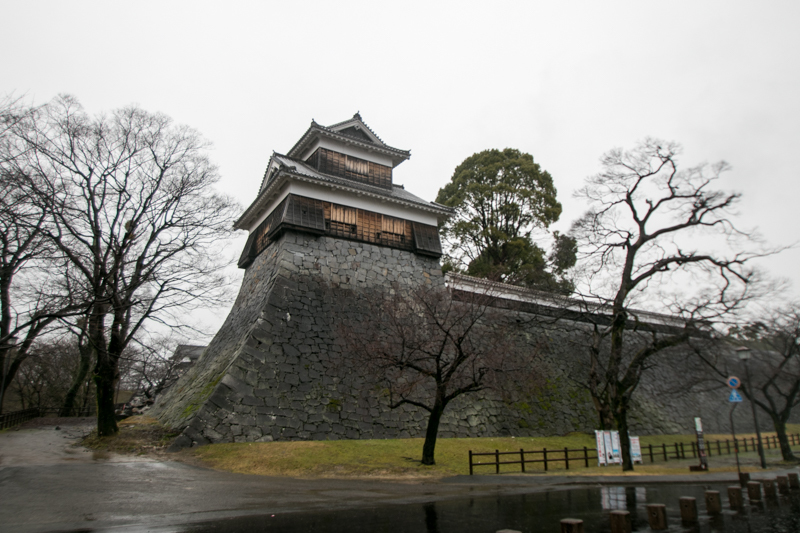 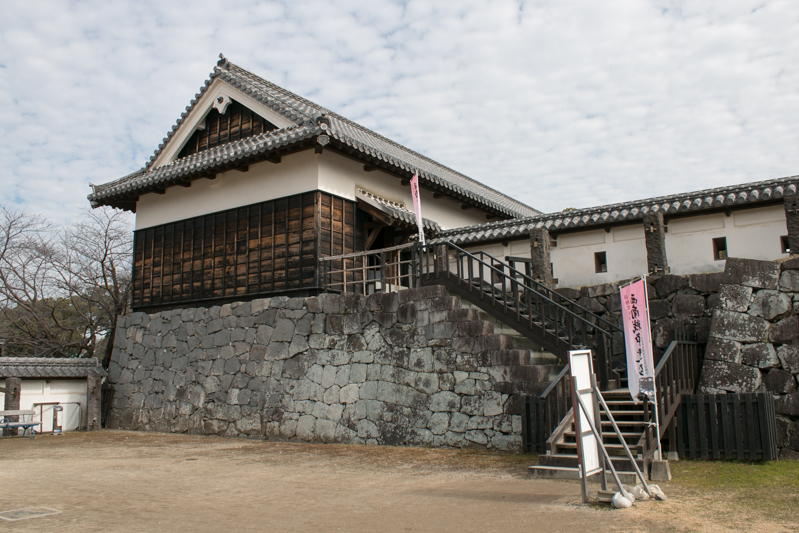 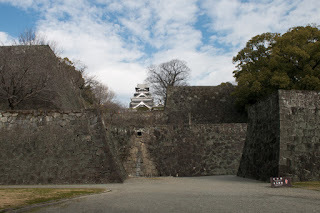 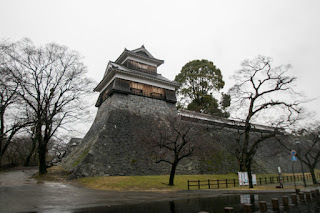 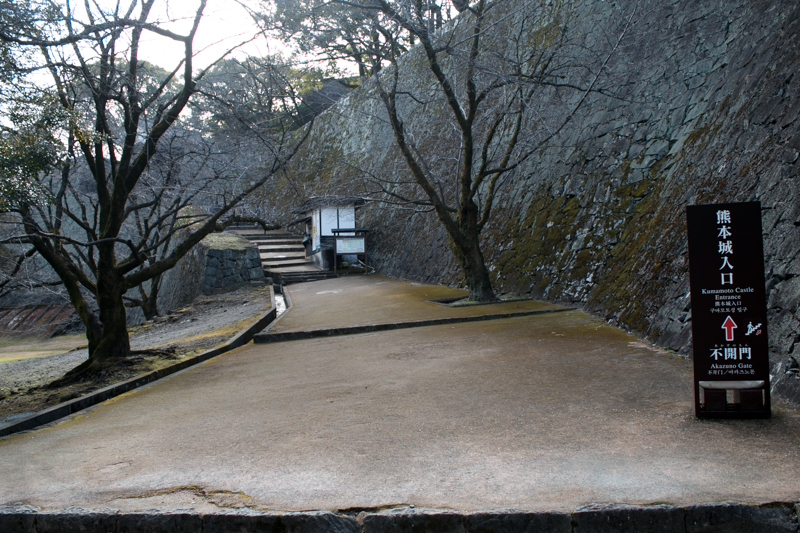 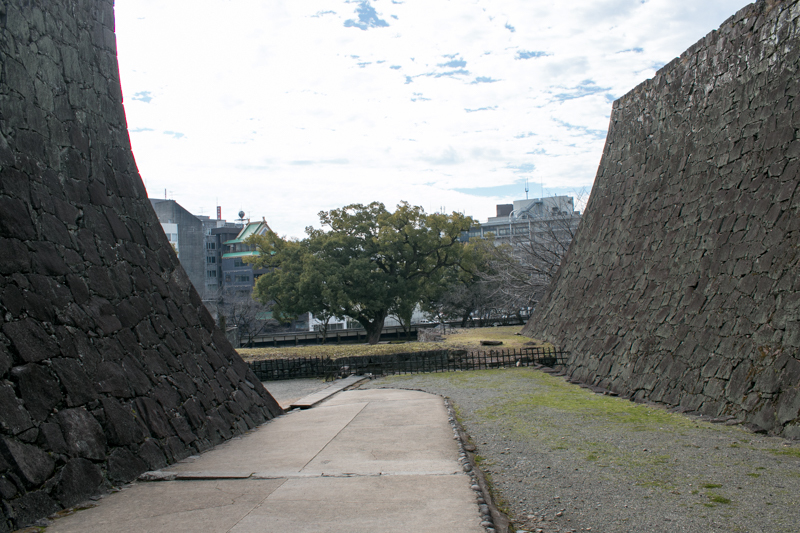 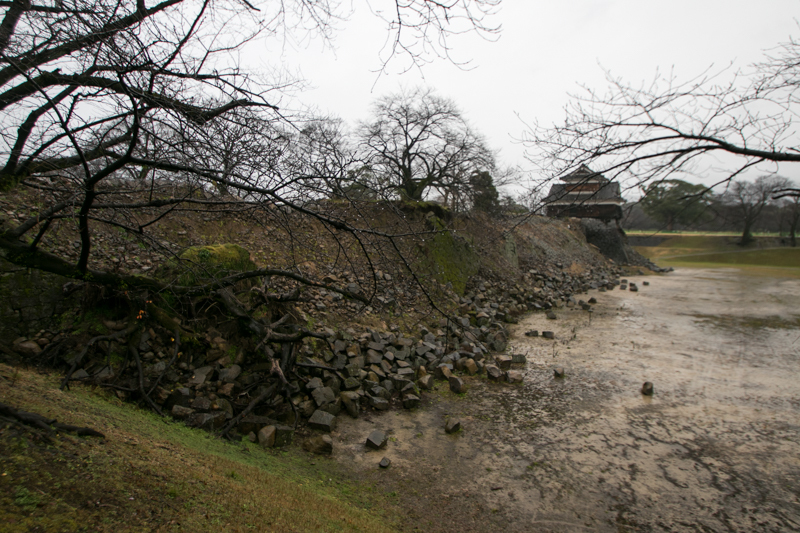 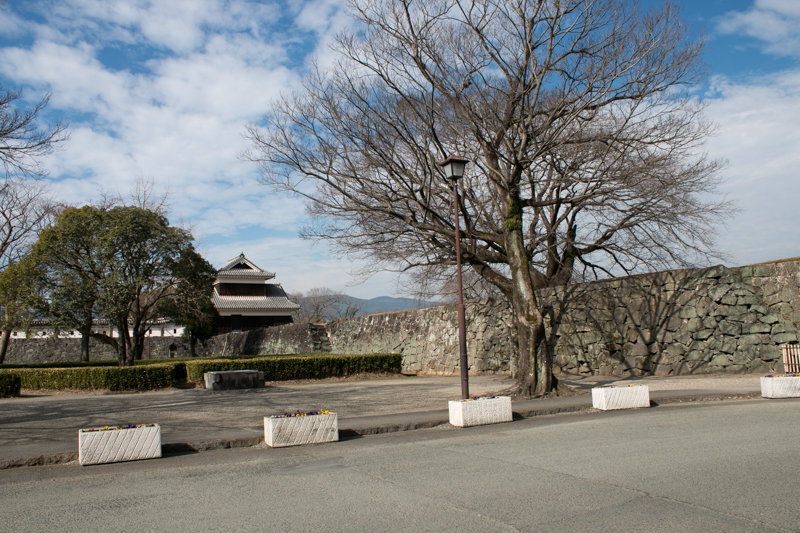 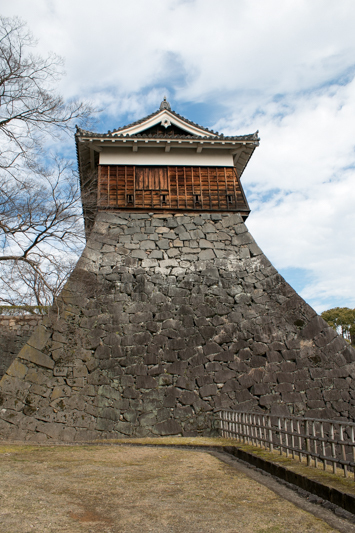 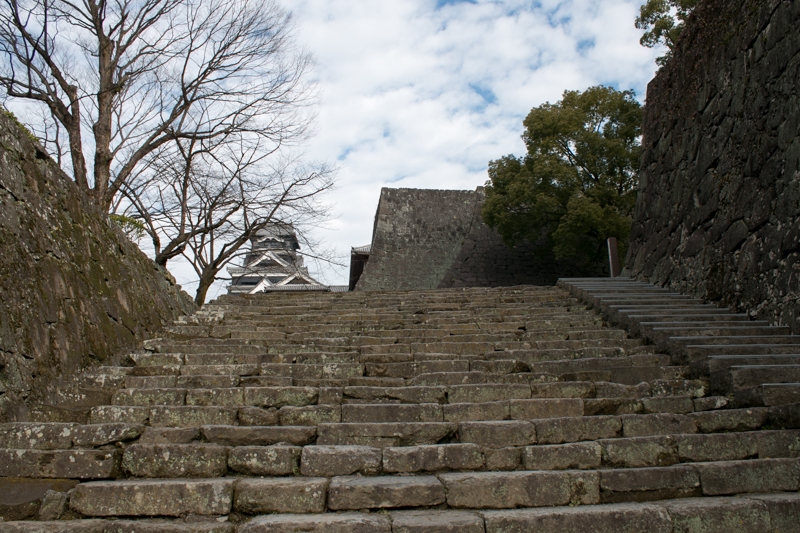 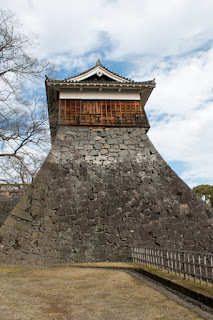 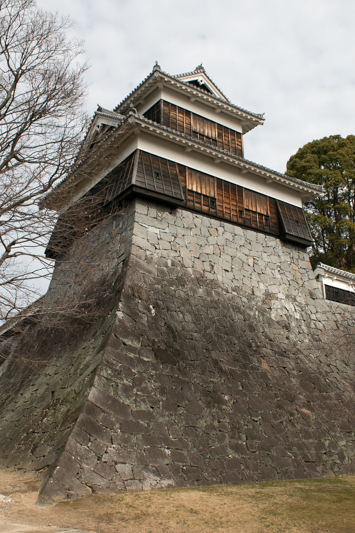 In the latter half of February, Saigo army arrived at Kumamoto area and siege the castle. 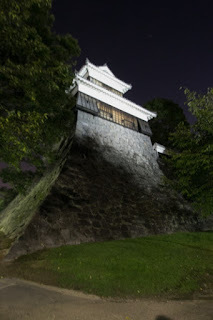 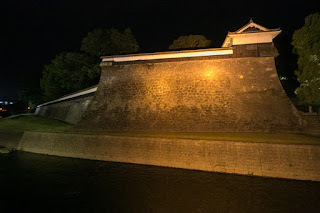 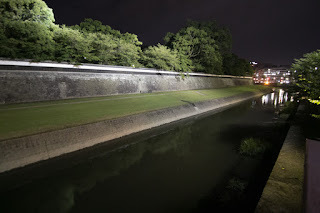 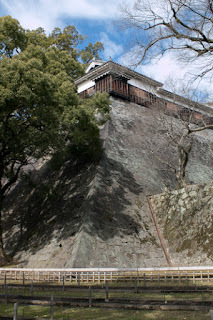 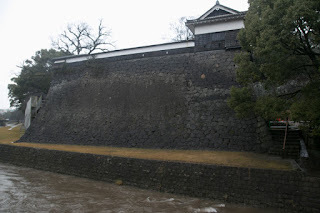 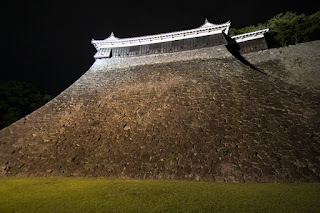 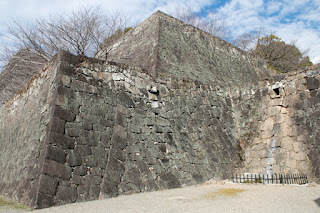 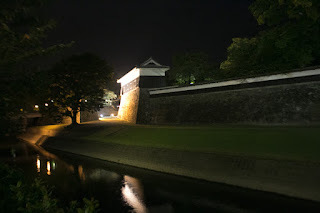 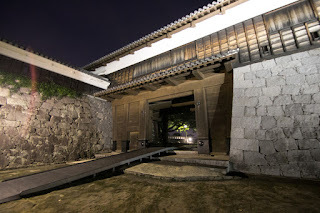 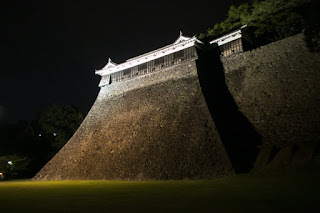 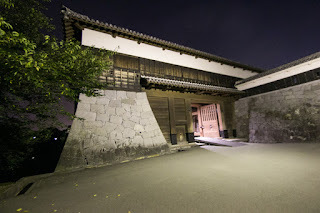 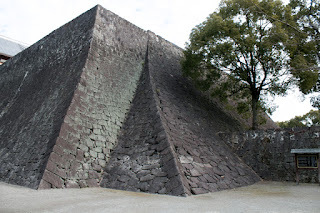 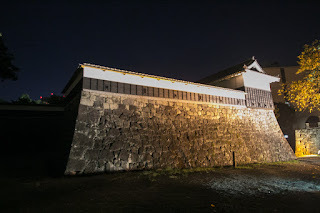 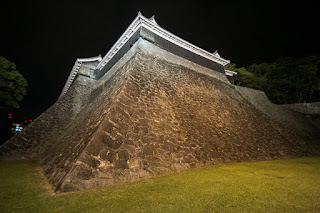 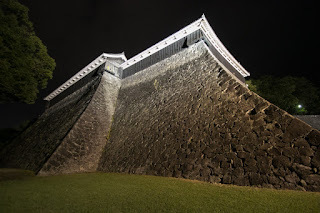 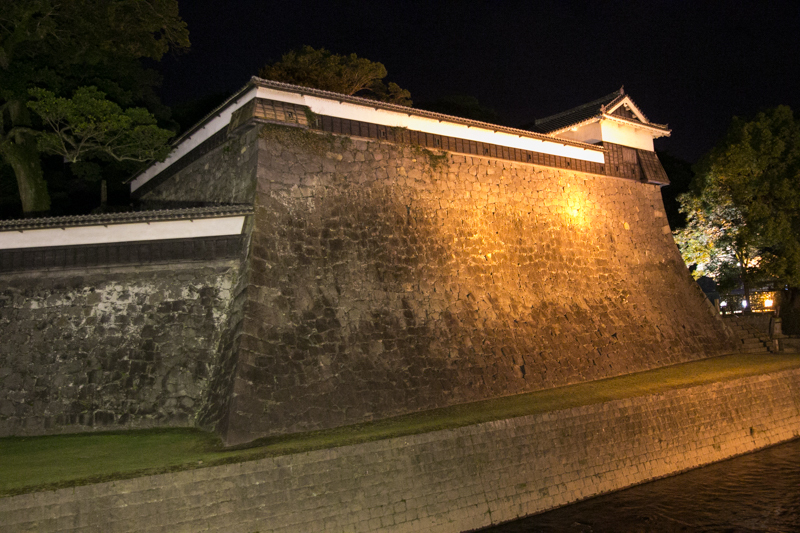 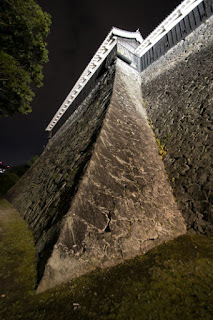 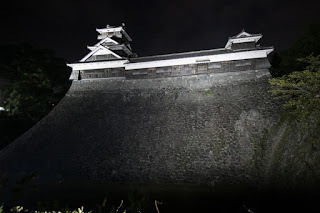 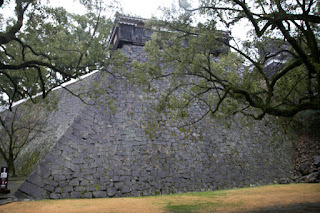 Saigo army made a full-scale attack to Kumamoto castle to capture before the arrival of reinforcement of Government army, but before the secure defense facility of the castle Saigo army suffered severe damage and could not fall it. 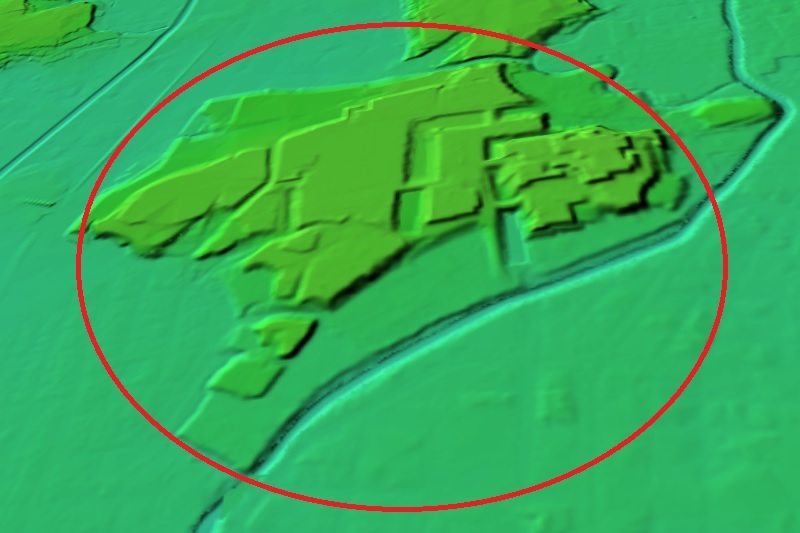 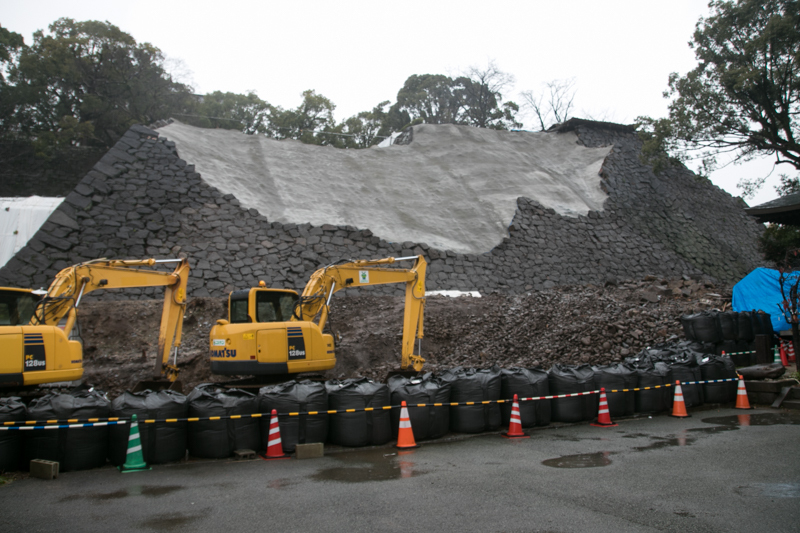 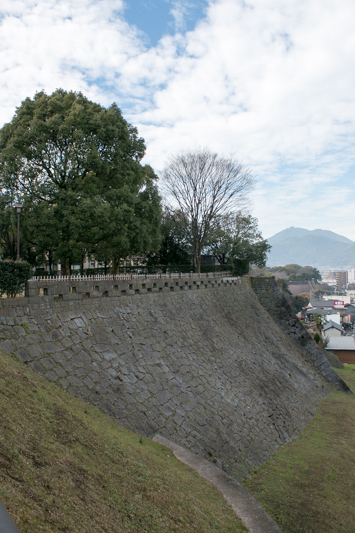 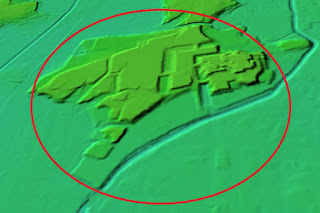 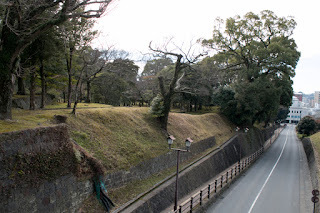 In the meantime, goverment army approached Kumamoto city from northward, thus Saigo army placed it half part at the sidge of the castle and moved remaining half to northward mountain area to obstruct the reinforcement. 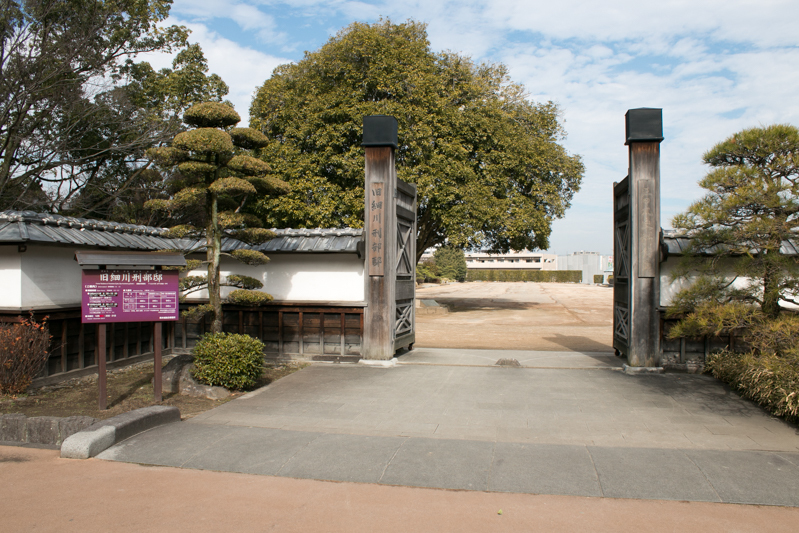 As a retrospective view, Saigo army had higher moral soldiers but weaker fire power compared with goverment army, thus it was suitable for close combat. Seeing the strength at upcoming battle of Tabaruzaka, instead of assaulting Kumamoto castle, Saigo army might have to fully attack the reinforcement army of the goverment at first and, then siege Kumamoto castle by cannons and new model guns robebd of government army. 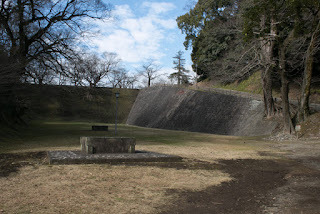 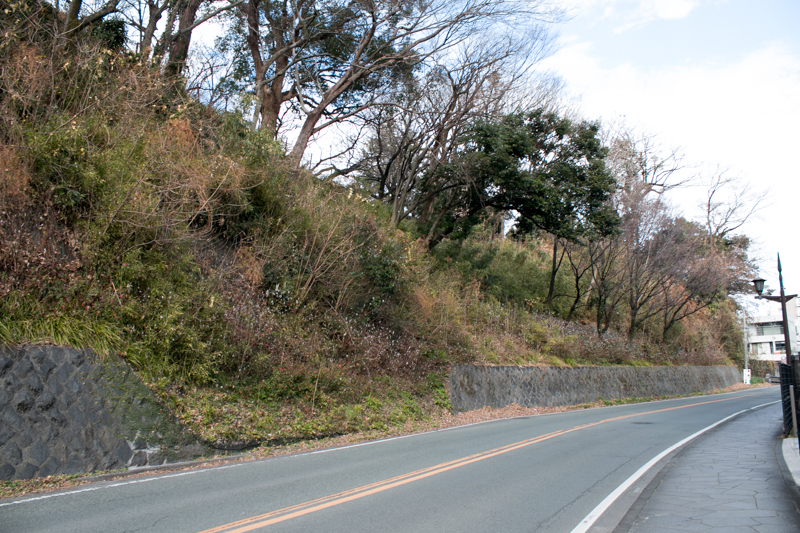 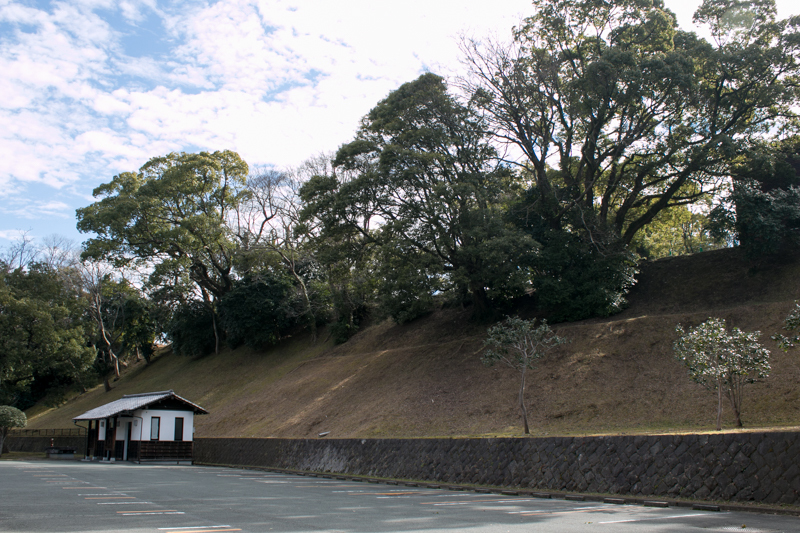 At the beginning of March, the fatal battle between government army and Saigo army occurred at Tabaruzaka area, a hilly area at 10 kilometer north of Kumamoto castle. 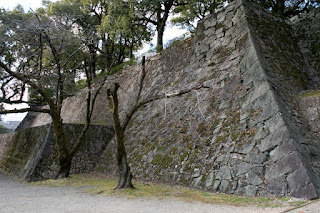 Government army tried to break the defense line of Saigo army, but because of the secure defense of Saigo army utilizing the terrain and close combat by skilled soldeirs, government army faced hard battle and could hardly break through this area. 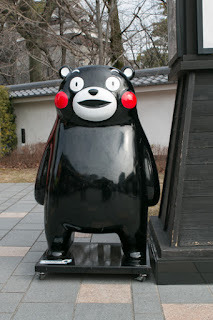 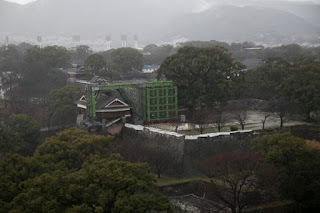 The front became deadlock for half month, then to change the situation and connect with Kumamoto castle as early as possible, government army sent a detached force to Yatsushiro area, the backward of Kumamoto area like the landing operation at Incheon in Korean war. 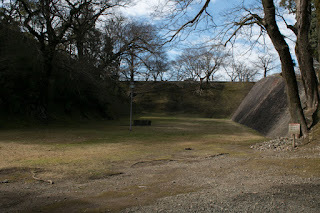 After such preparation, at the middle of March, government army made a total attack against Saigo army. To cope with close combat of Saigo army, government army organized swordsman troops selected from policemen, and they made an even fight with Saigo army. 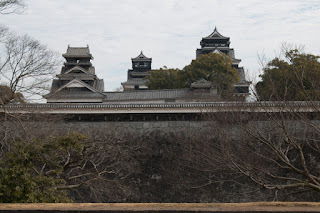 Finally, begin outnumbered, Saigo army let government army pass the defense line, and government army reached to Kumamoto castle and brought supplies to Kumamoto castle. 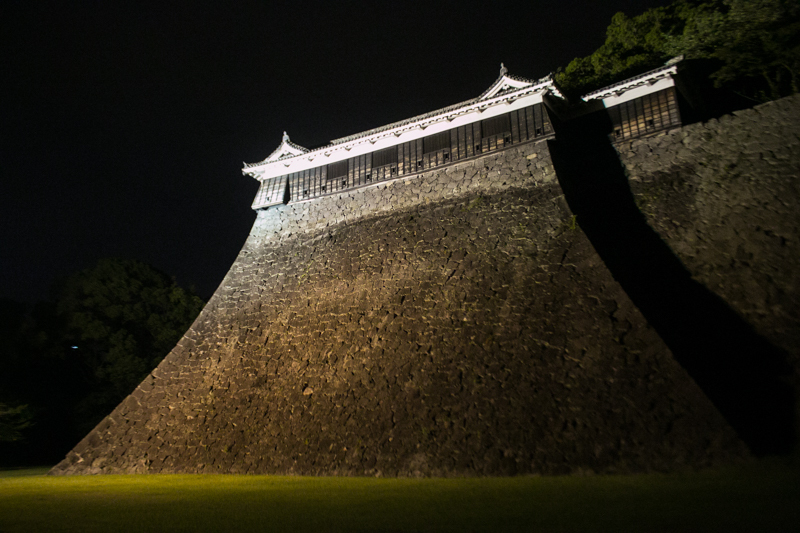 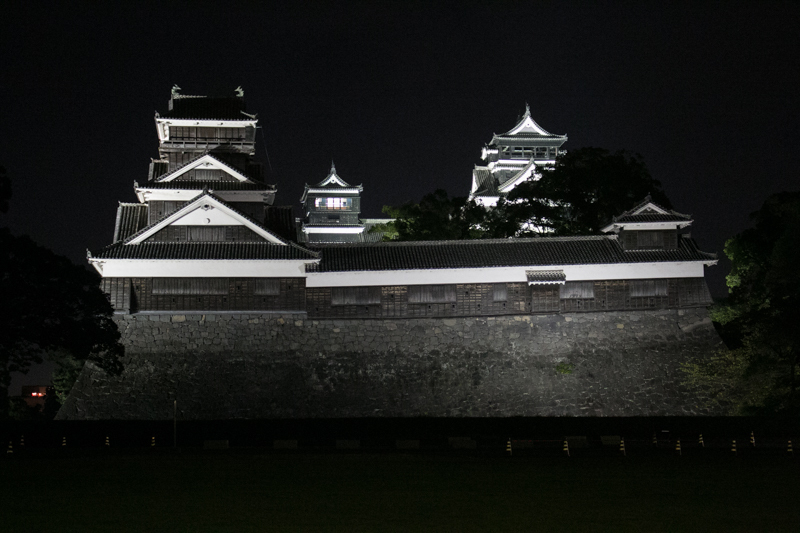 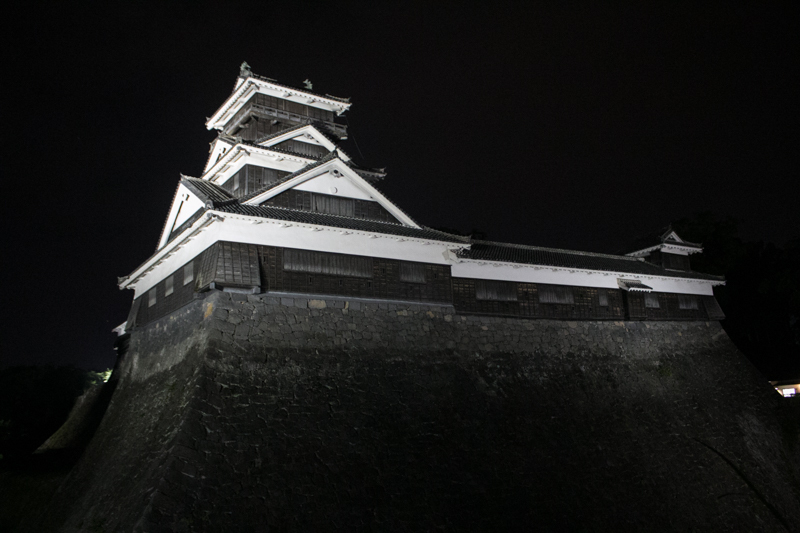 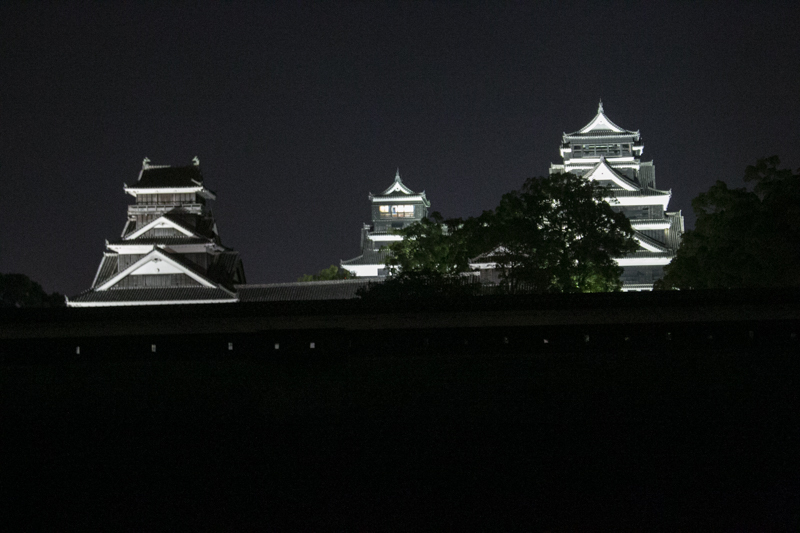 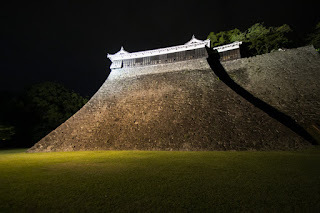 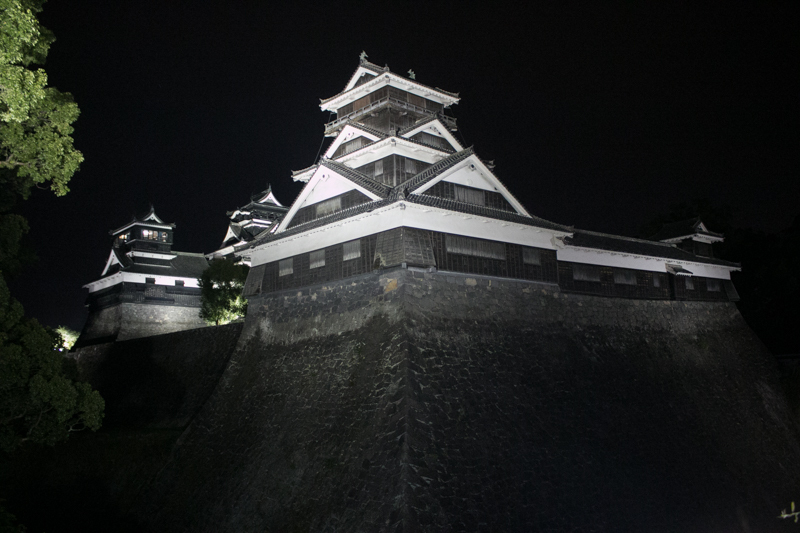 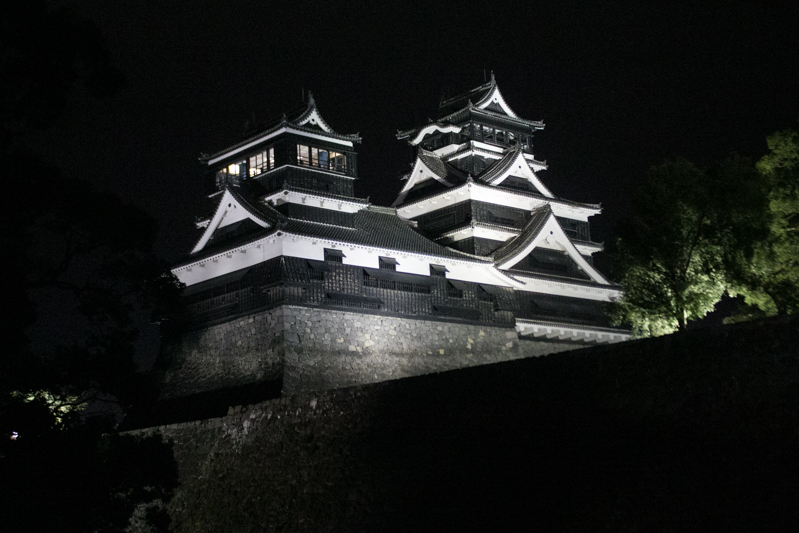 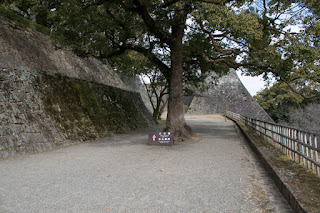 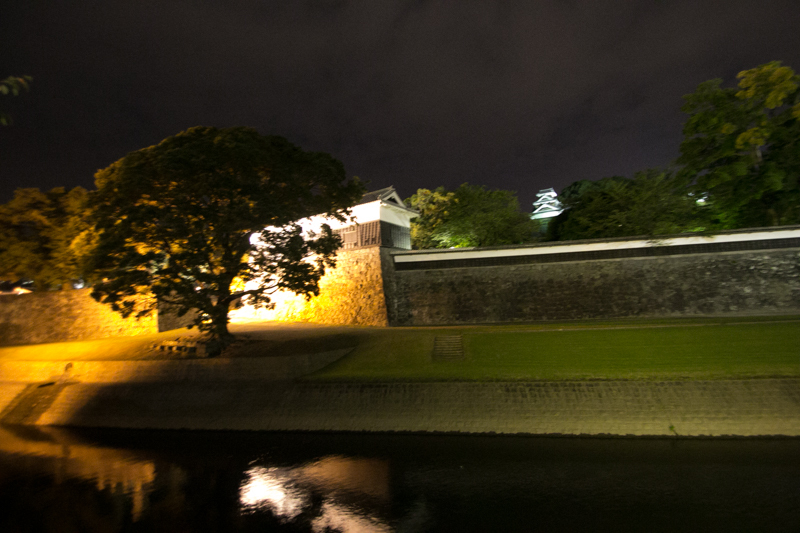 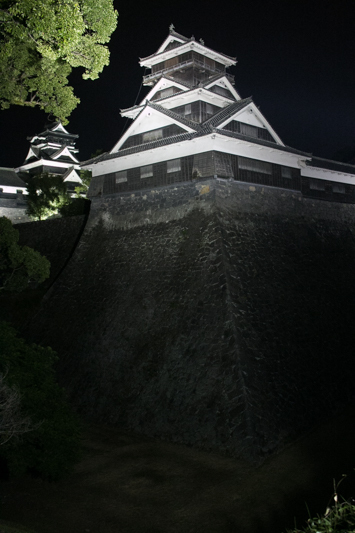 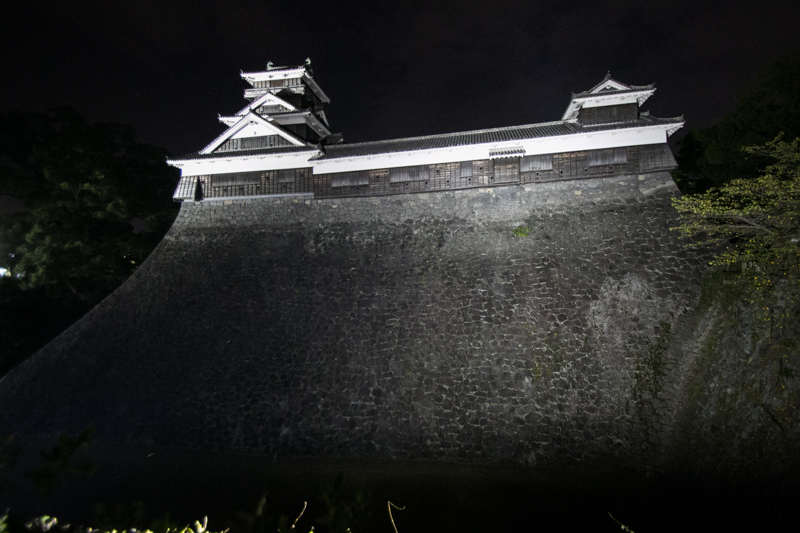 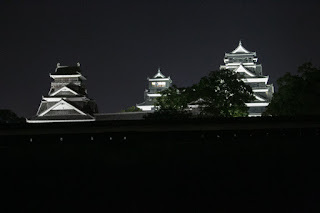 Kumamoto castle and soldiers stood one month encirclement and this lead the victory of the government. 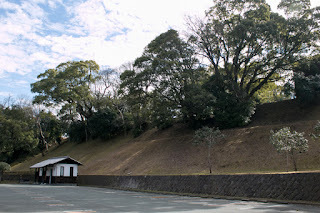 Saigo army of 8,000 soldiers retreated from Kumamoto castle reorganized the command line and deployed over hilly area spread eastward to southward of Kumamoto castle. 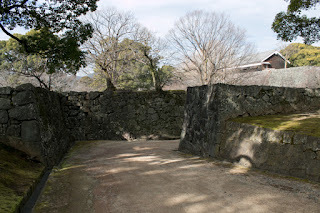 In response to this, goverment army of 30,000 soldiers faced to Saigo army and tried to settle the situation. In March 20, government army started total attack to Saigo army, and Saigo army well resisted against dominant government army but there was a danger to be surrounded, thus finally Saigo army gave up resistance and retreated from Kumamoro plain only in one day. 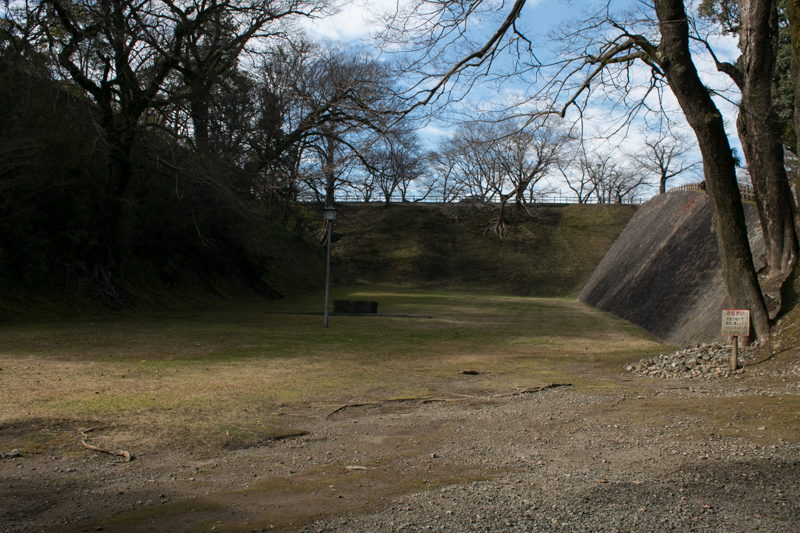 This battle occurred whole part of Kumamoto plain is named as “Jyoto Kaisen”, and final large field battle between Japanese in the history. 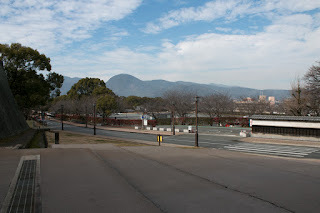 Saigo army left Kumamoto plain next moved to Hitoyoshi town at Kuma basin, a basin in mountainous area near the border to Kagoshima prefecture and at the middle of Kumamoto city and Kagoshima city. 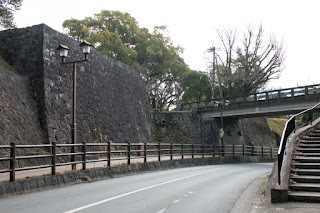 As Hitoyoshi area was close to Kagoshima area, this area was relatively compassionate to Saigo army. 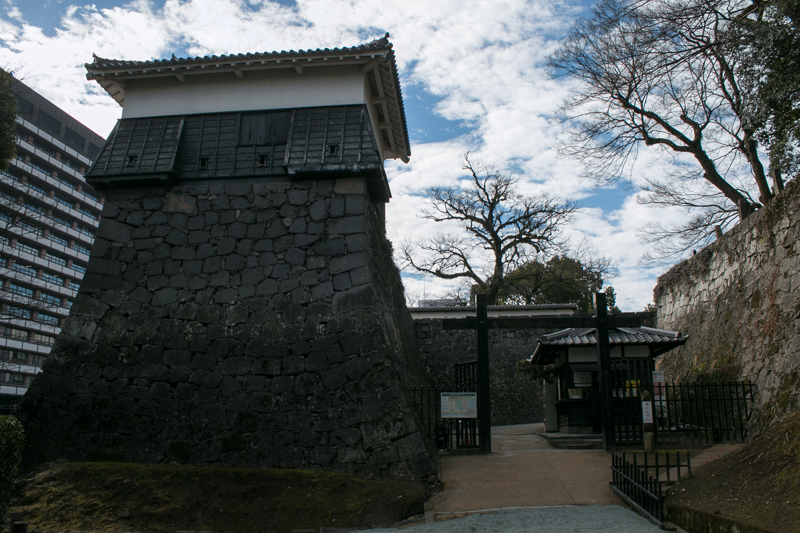 Saigo army recruited new soldiers at this area, and also issued their bill to finance their army (of course later these bills became junk). 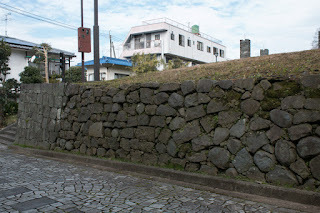 In response to this, Government army chased Saigo army to Hitoyoshi town, and suffered from rough terrain and desperate resistance from Saigo army, government army finally captured Hitoyoshi area by the end of May. 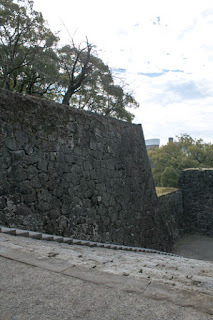 Furthermore, government army sent detached force directly to Kagoshima city, the base of Saigo army, by ship. 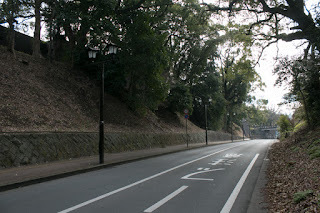 Government army precluded fierce resistance of remaining Saigo party and seized Kagoshima city by the end of June. Losing their base, Saigo army became totally isolated. Saigo army which lost the base escaped to eastward and entered Miyazaki prefecture. 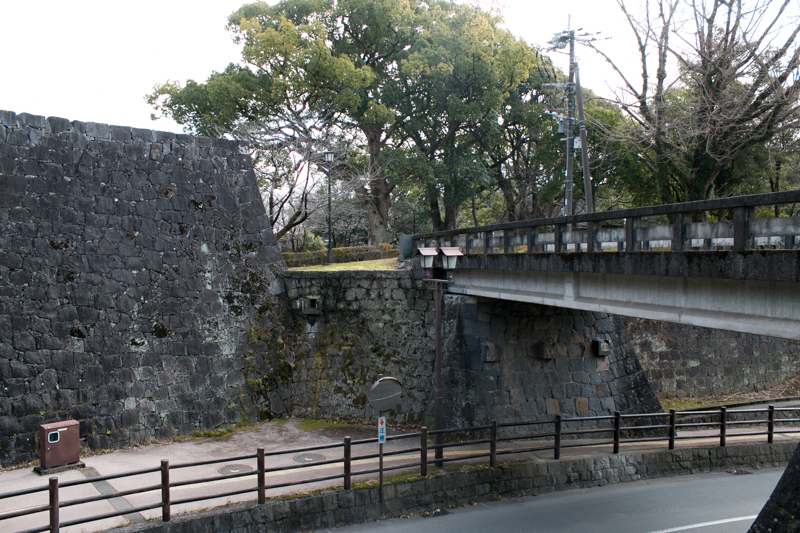 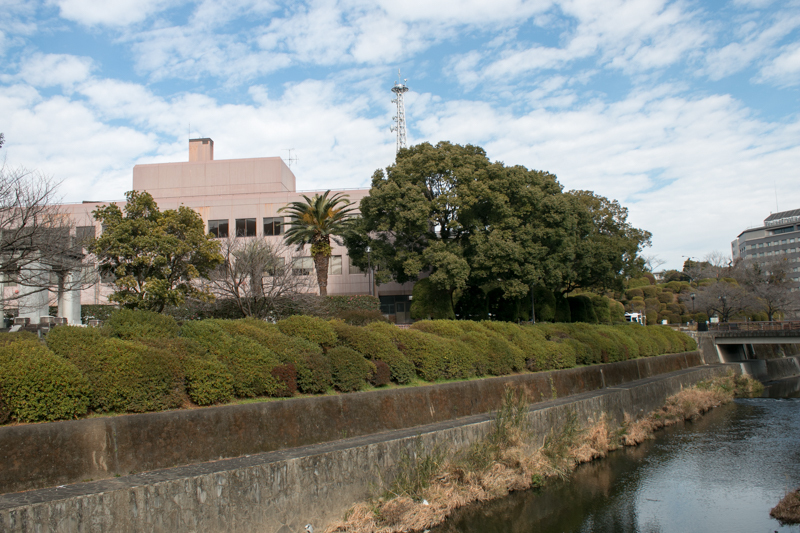 Saigo army placed their last base at Nobeoka city, a large city at the south part of the prefecture. At the middle of August, Saigo army decreased to 3,000 soldeirs made final organized against goverment army had 10 time soldiers at the place of Wadagoe. Takamori Saigo directly commanded this battle, but Saigo army was outnumbered and finally collapsed and organized resistane of Saigo army ceased. 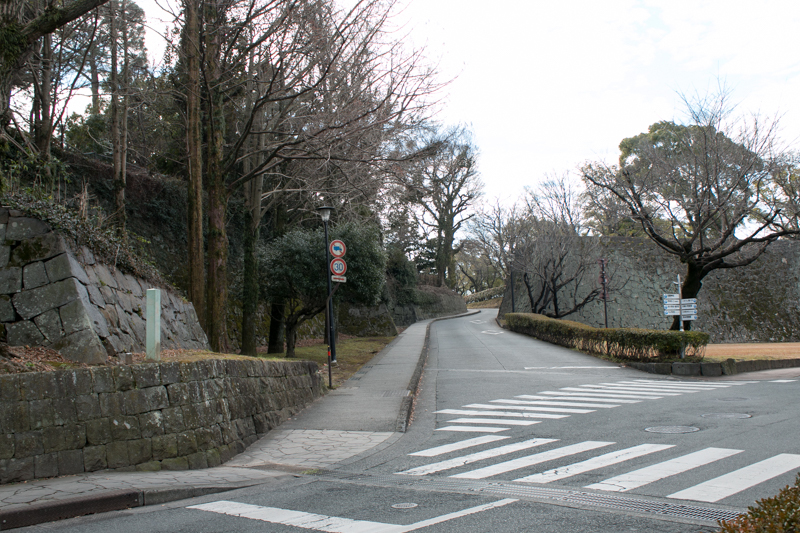 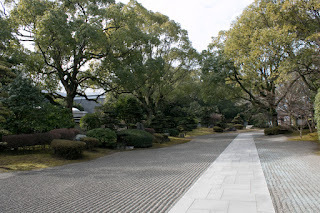 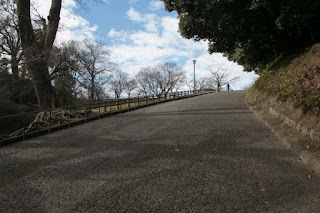 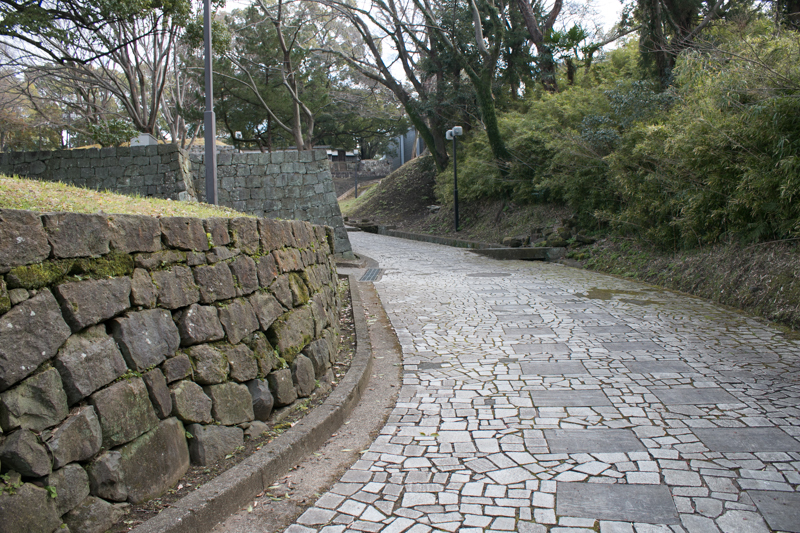 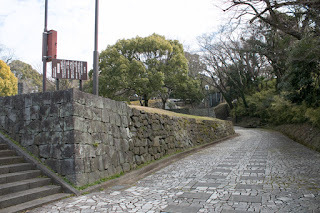 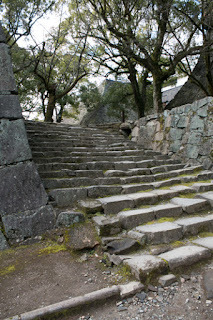 Takamori Saigo seek his ending ending place and entered mountainous area. 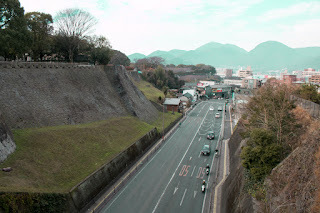 Saigo army now became 300 soldiers forwarded steep mountainous path and crossed patrol line of government army, and finally reached to Kagoshima city which was occupied by government army at the beginning of Semptember. 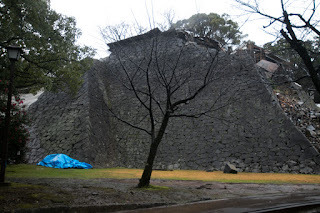 Saigo army seized Shiroyama mountain, a mountain at the backside of Kagoshima castle, and attacked patrol troop of government. 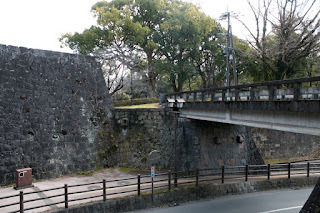 But government army quickly arrived at Kagoshima city, and Saigo army was surrounded by numerous soldiers of government army at Shiroyama mountain. On Semtember 24, government army made final attack to Saigo army. 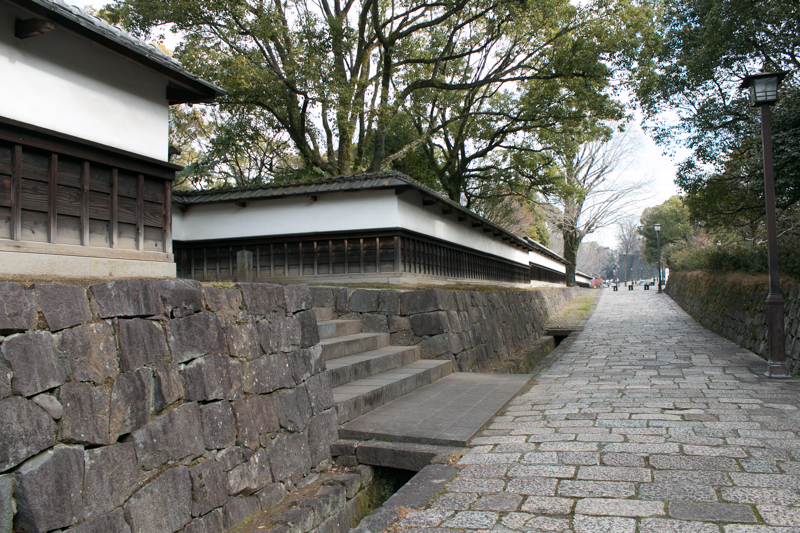 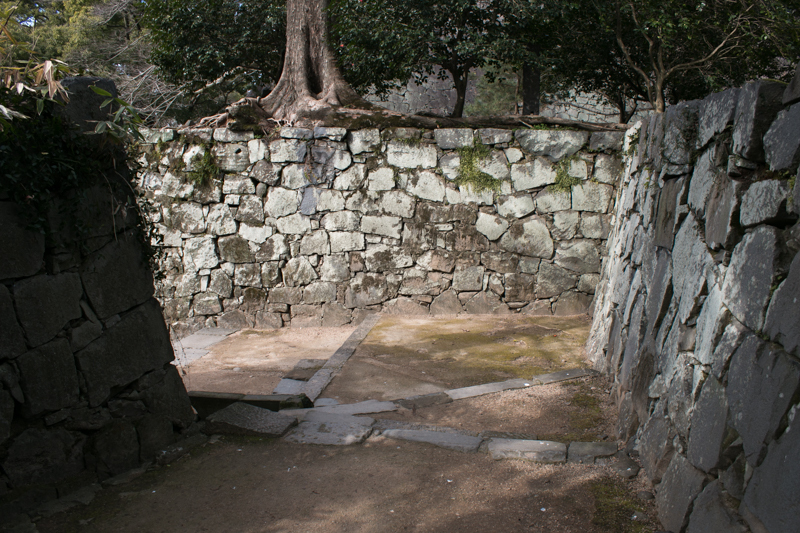 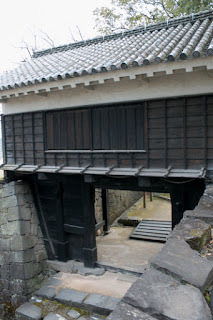 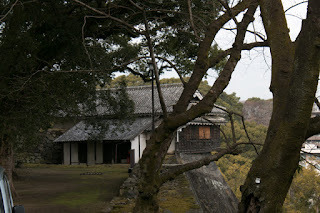 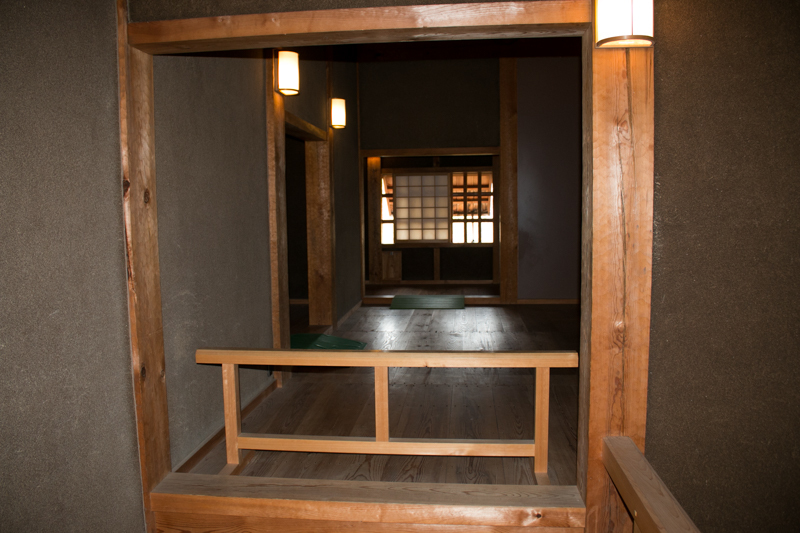 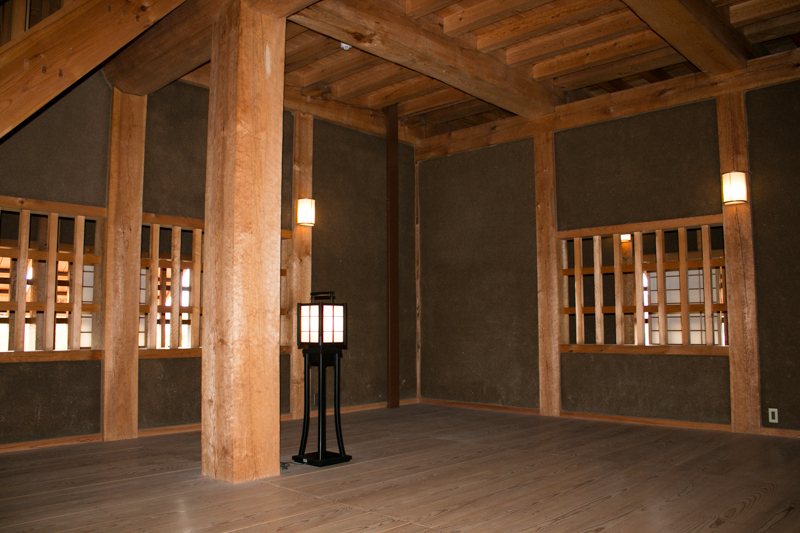 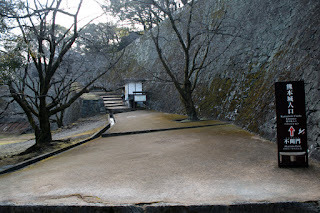 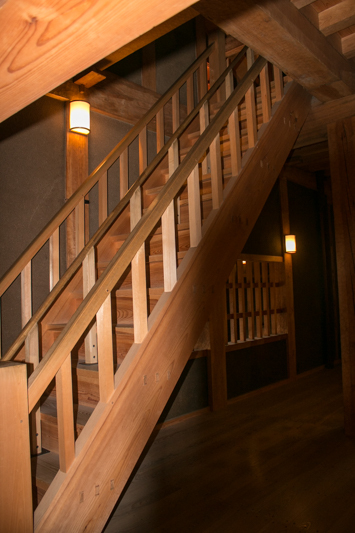 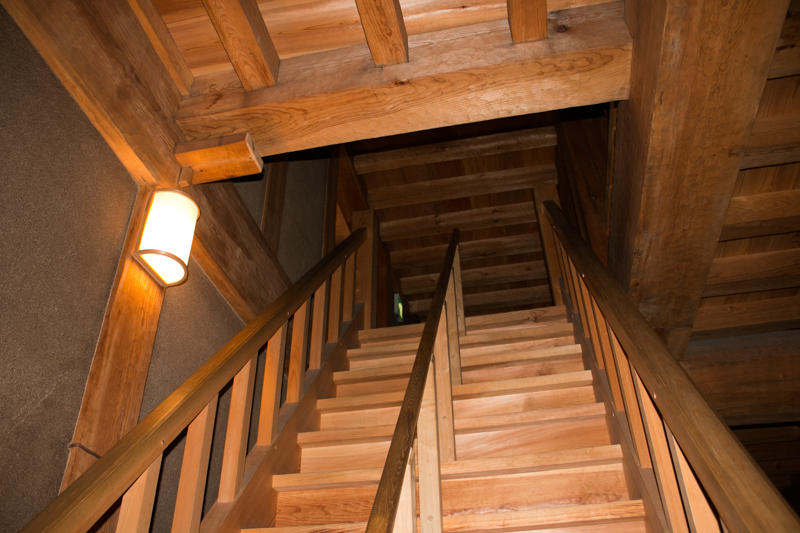 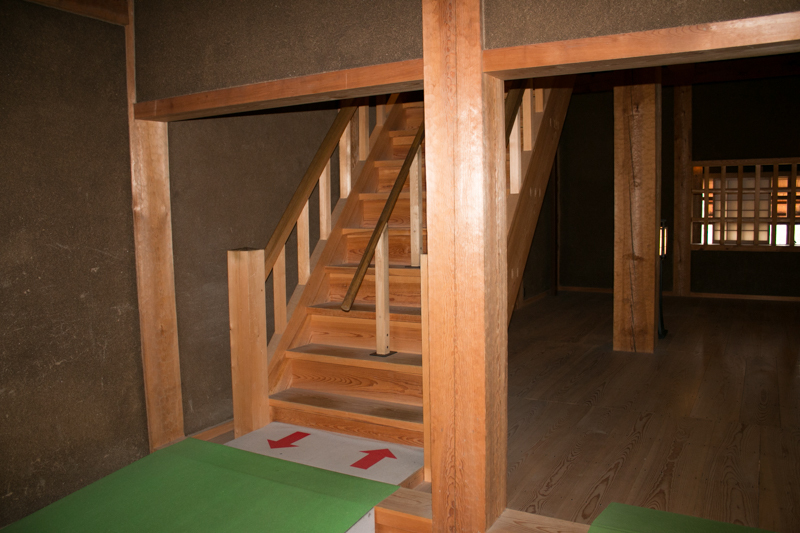 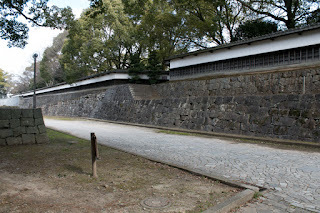 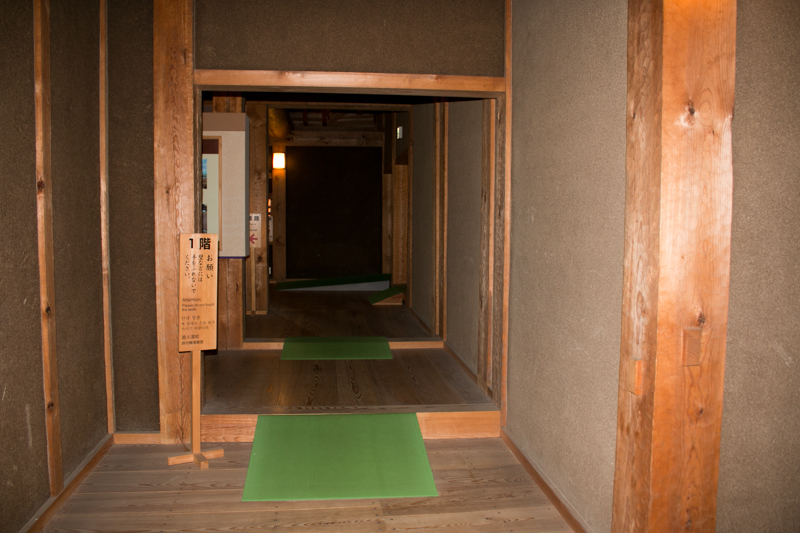 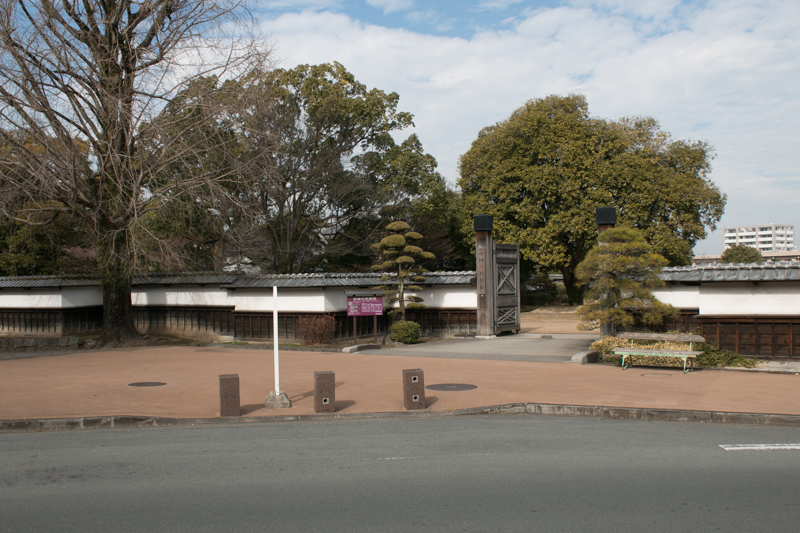 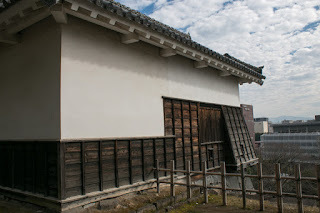 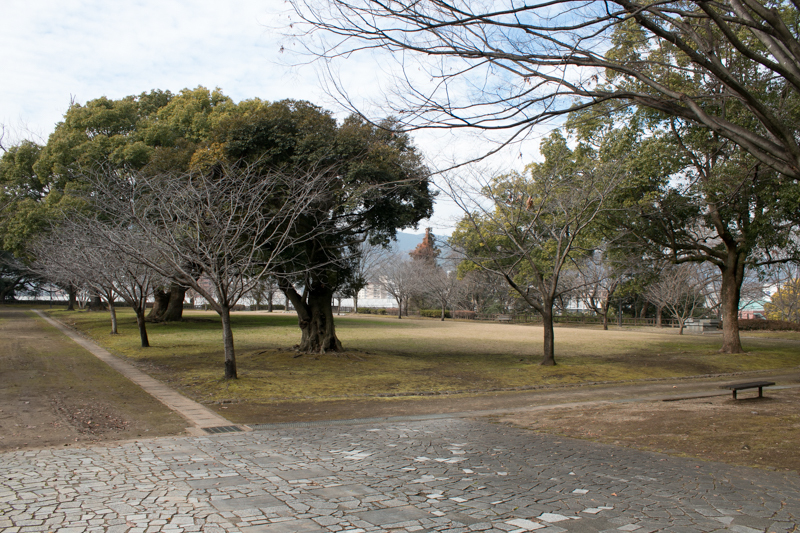 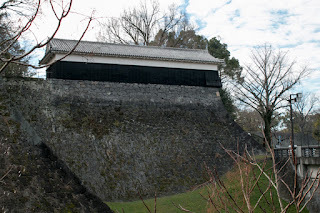 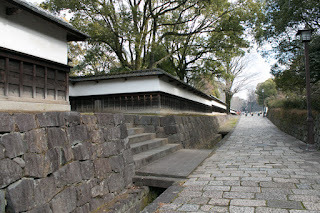 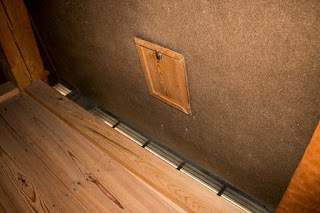 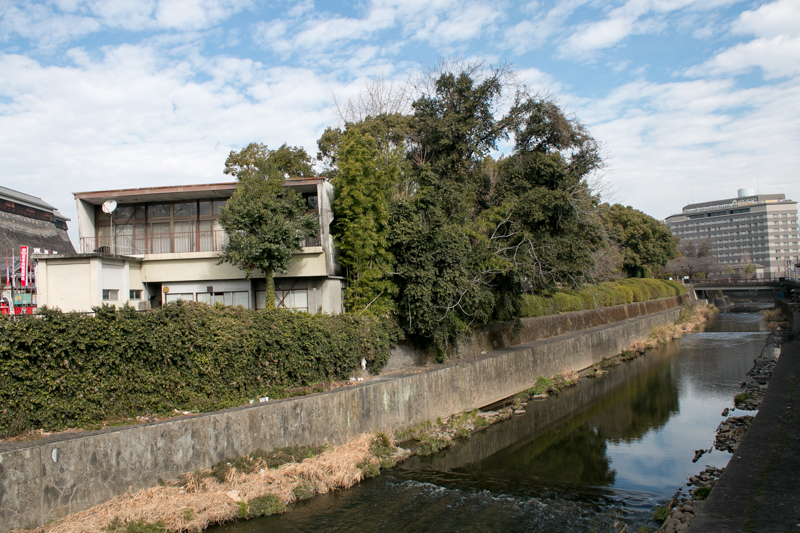 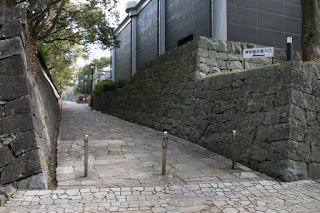 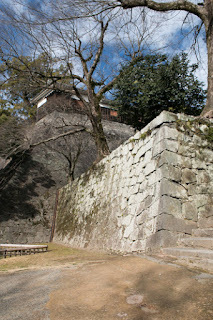 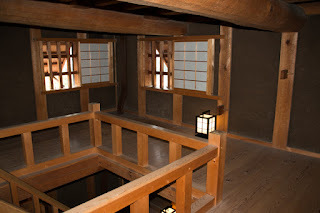 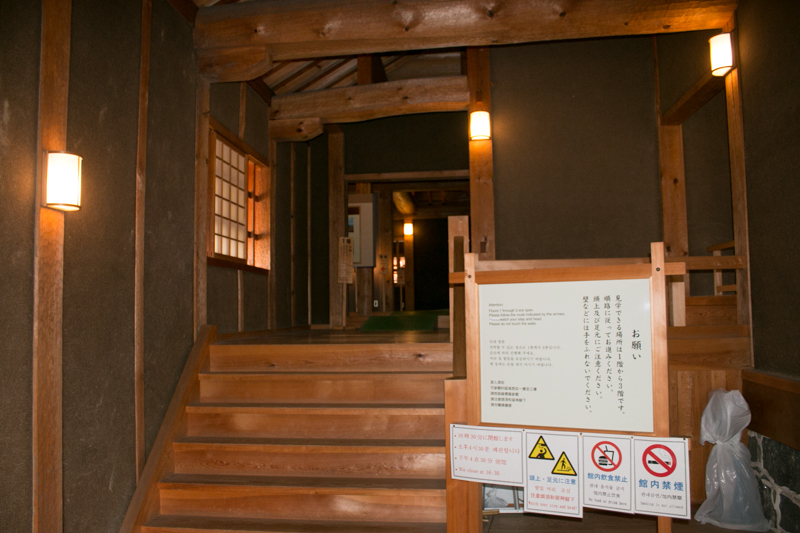 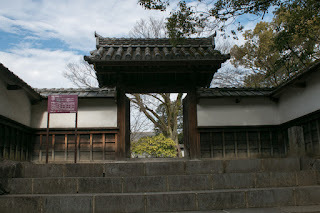 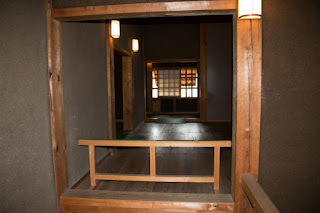 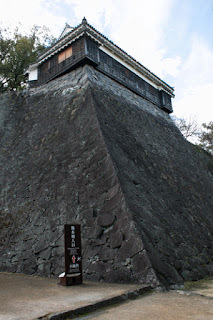 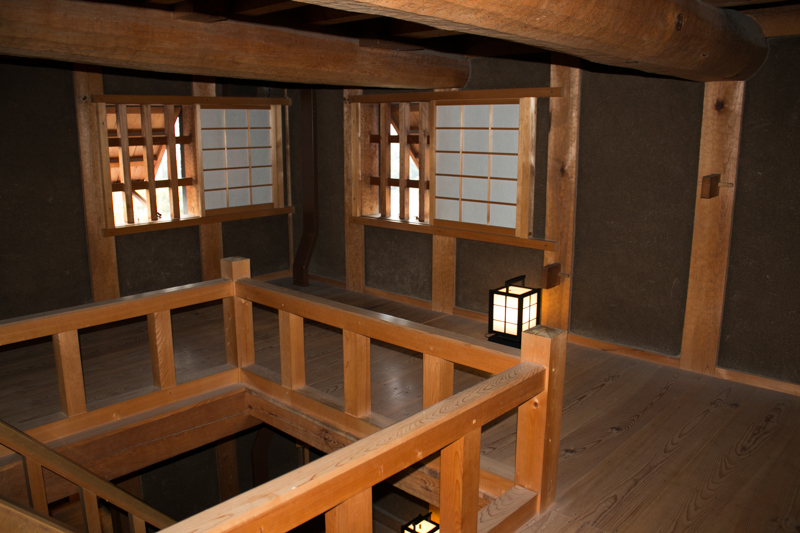 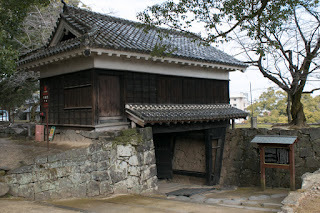 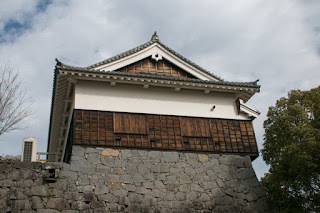 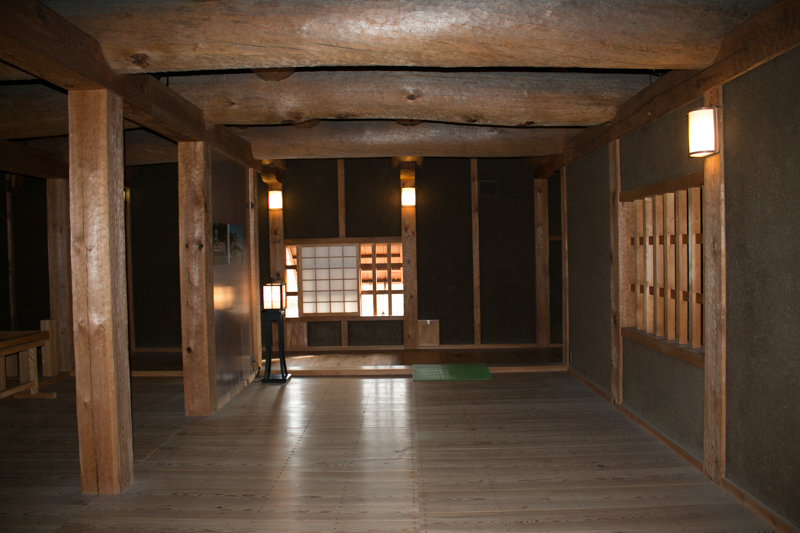 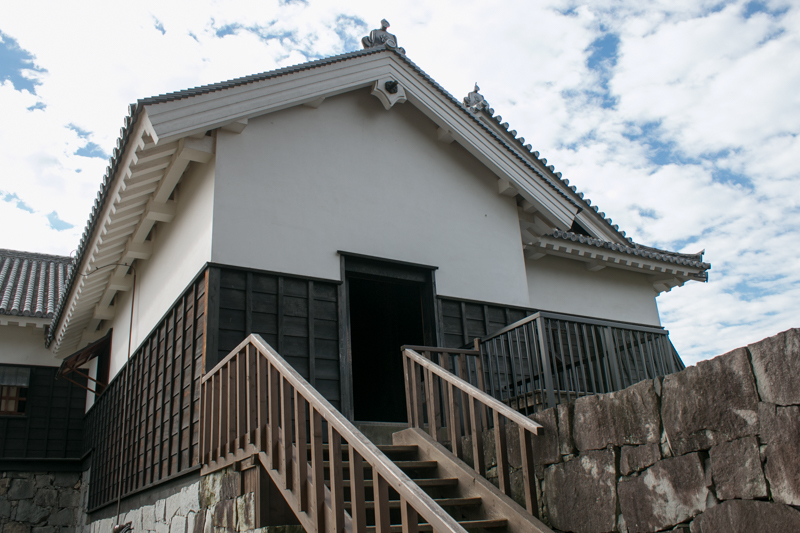 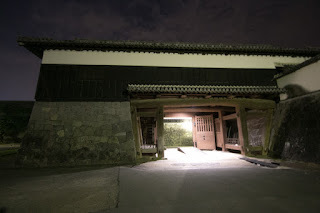 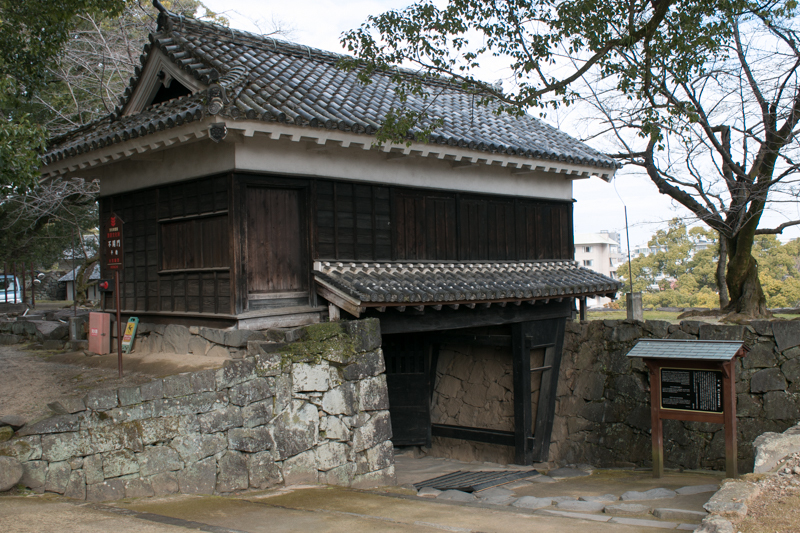 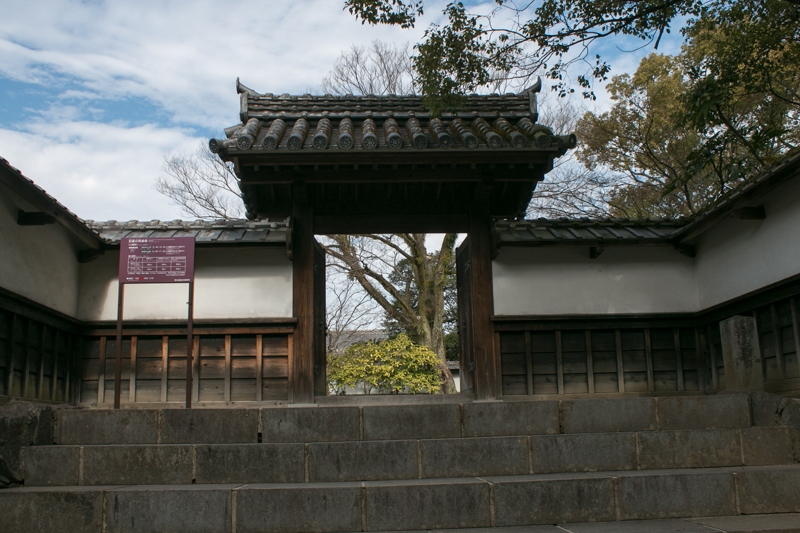 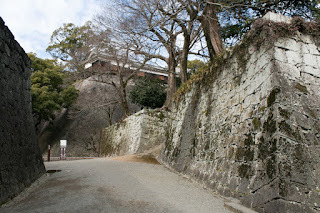 Takamori rejected recommendation of surrender by the government, and left the cave he hided and marched to the former residence of Shimazu clan. 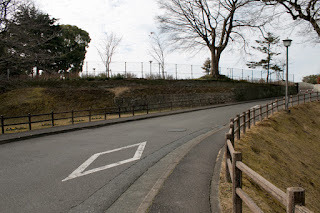 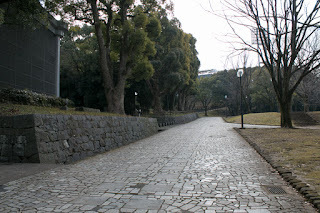 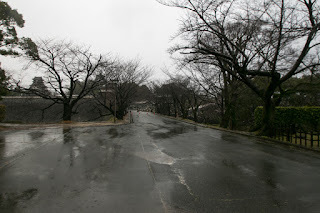 On the way Takamori was shut and wounded, then Takamori said “it is good time to end”, and suicided. 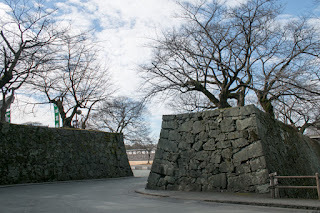 This series of battle continued over half year is called as “Seinan Senso” (Battle at southwest Japan), and the last and largest rebellion in the history. 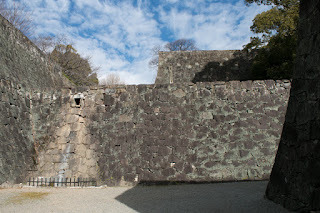 In this campaign, the siege of the Kumamoto castle was the most important factor to the result, and Saigo army which could not fall Kumamoto castle lost the campaign. 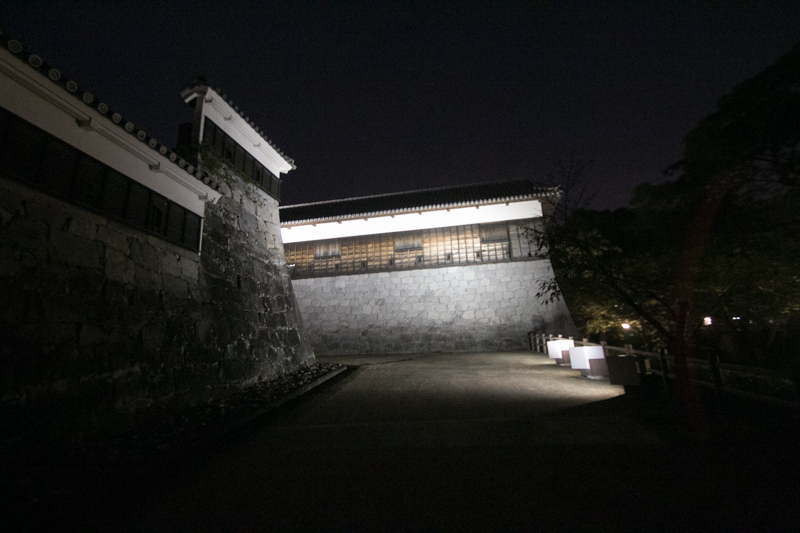 It is said that Takamori Saigo said that “we did not lose to Meiji government, but to Kiyomasa Kato, the builder of Kumamoto castle”. 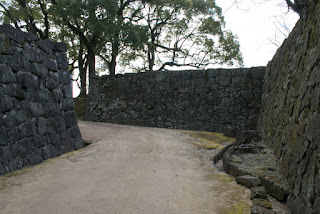 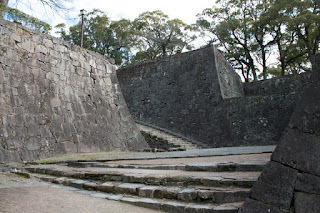 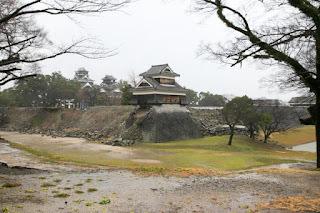 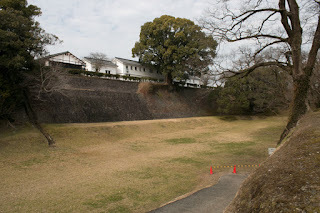 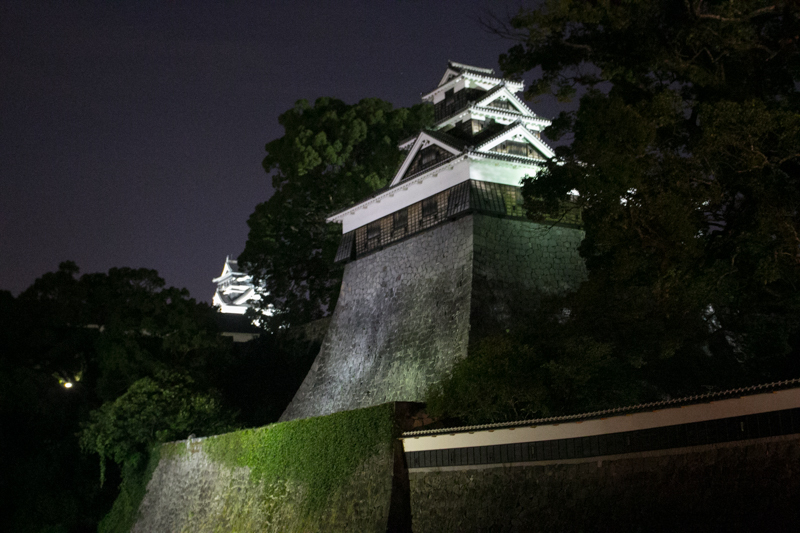 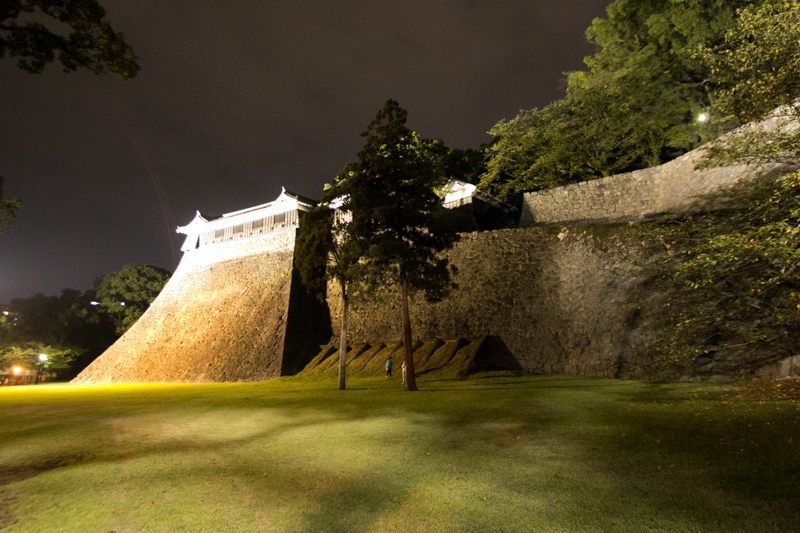 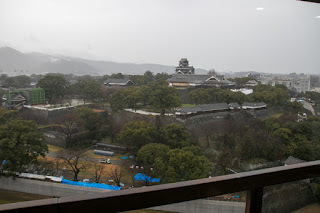 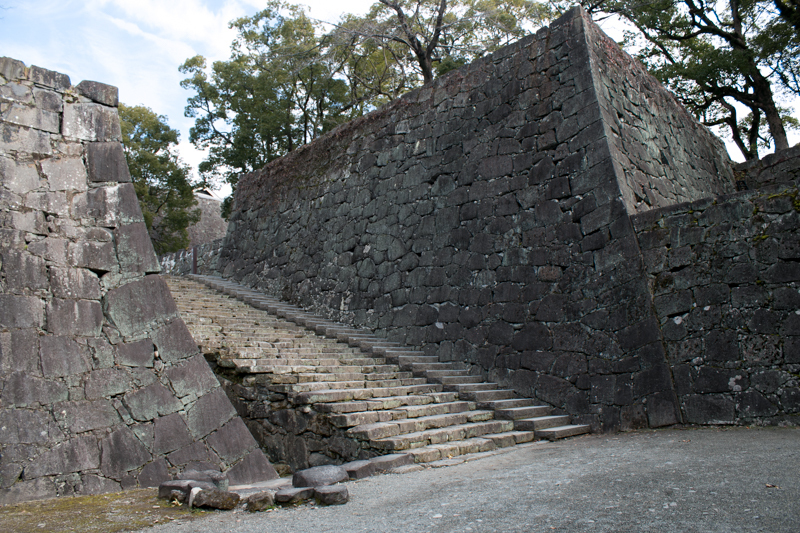 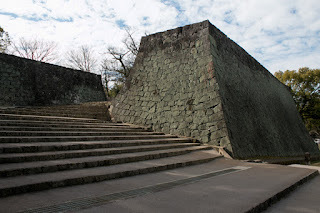 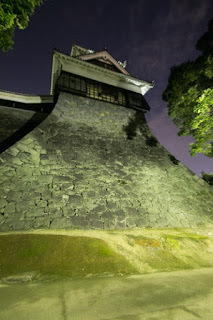 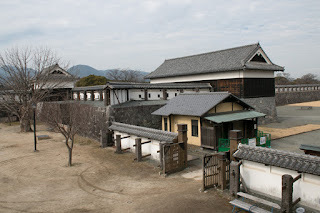 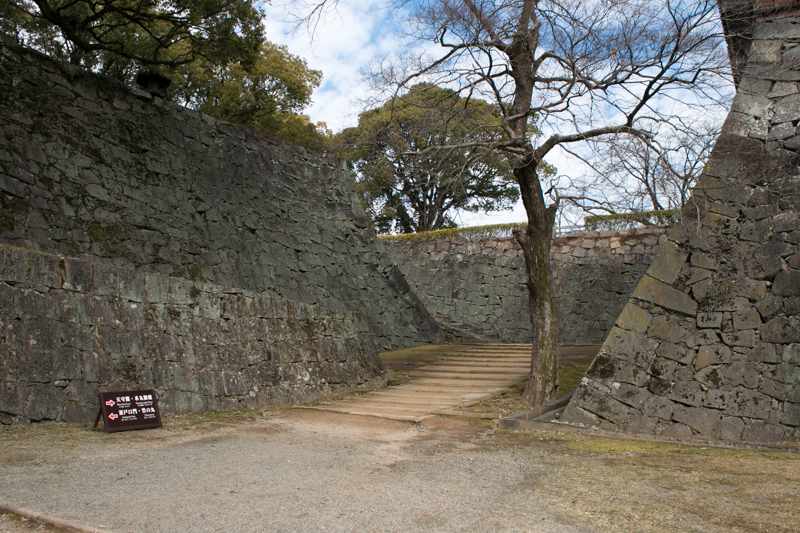 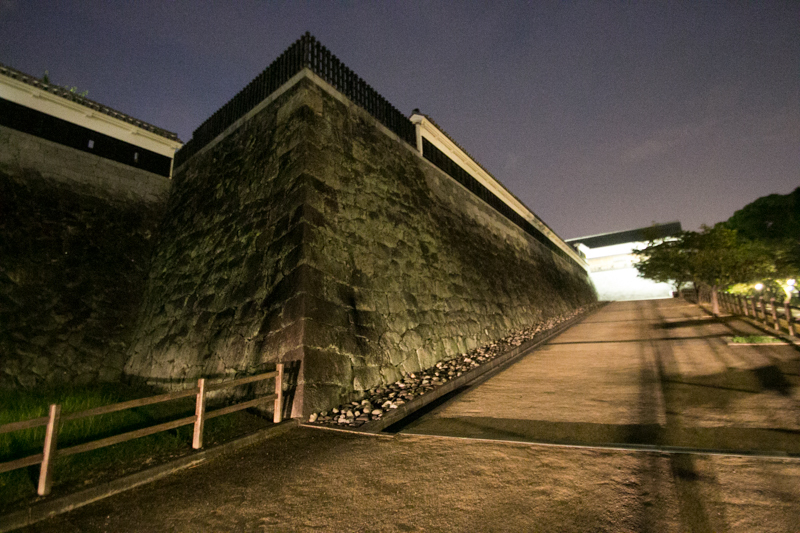 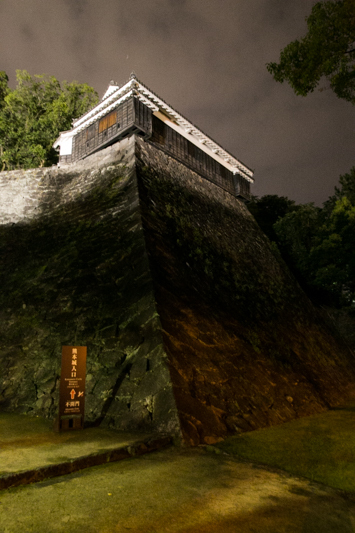 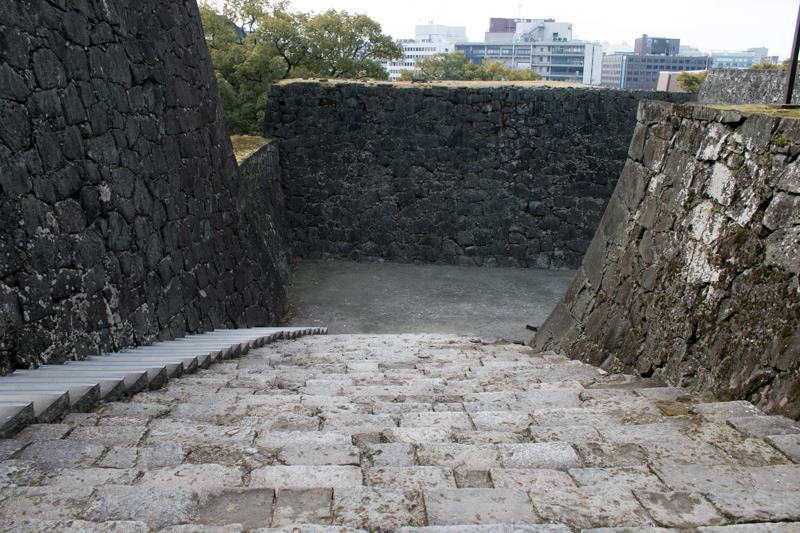 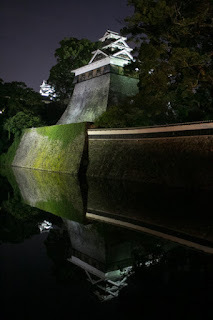 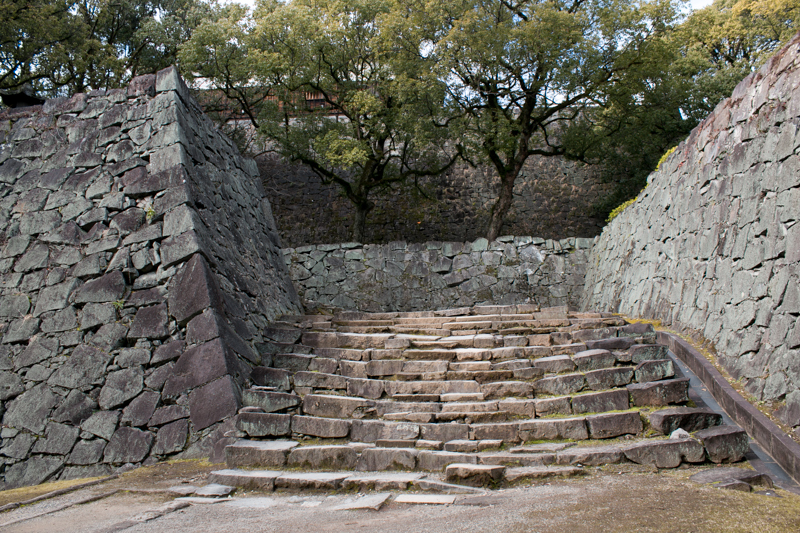 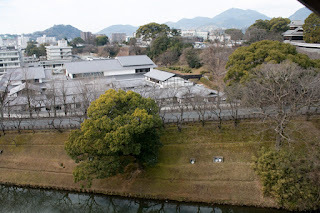 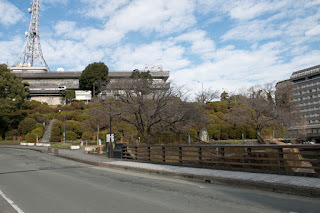 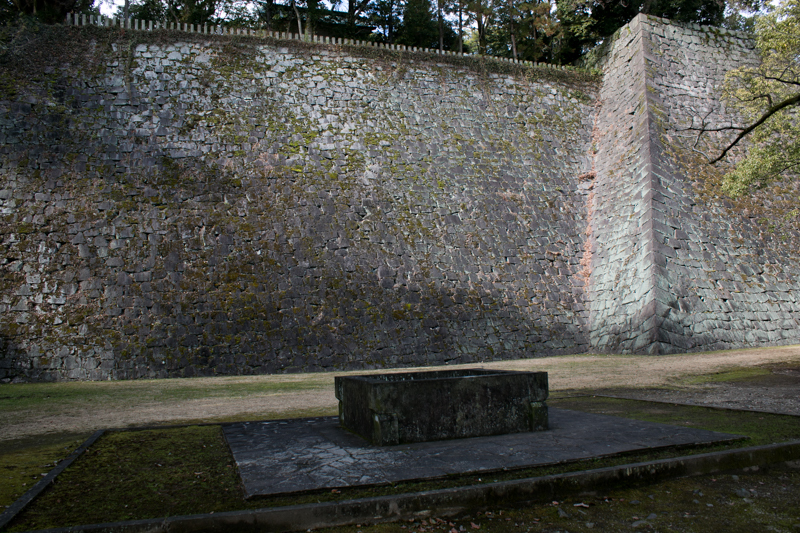 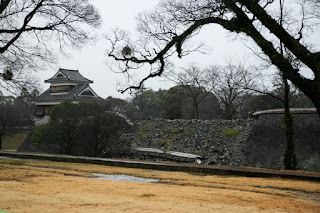 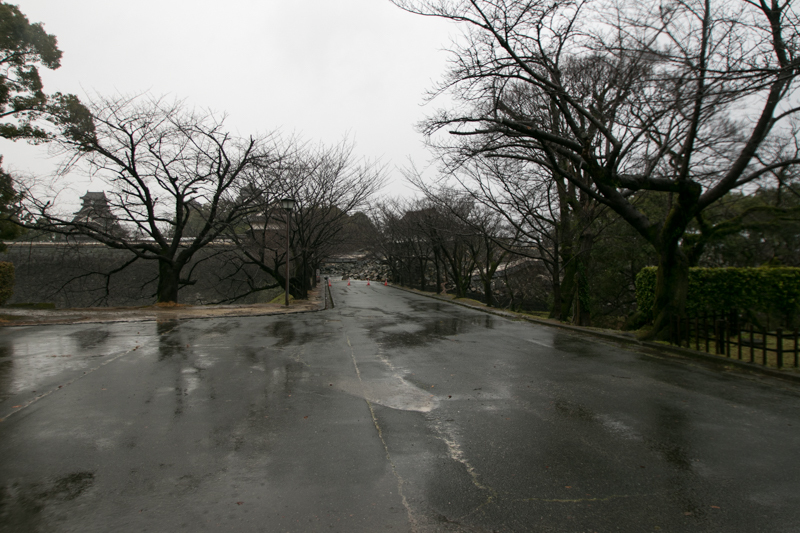 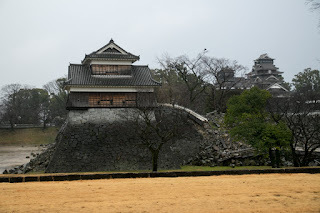 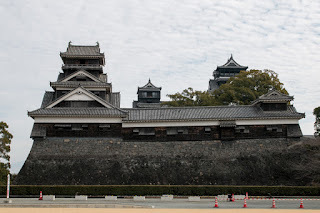 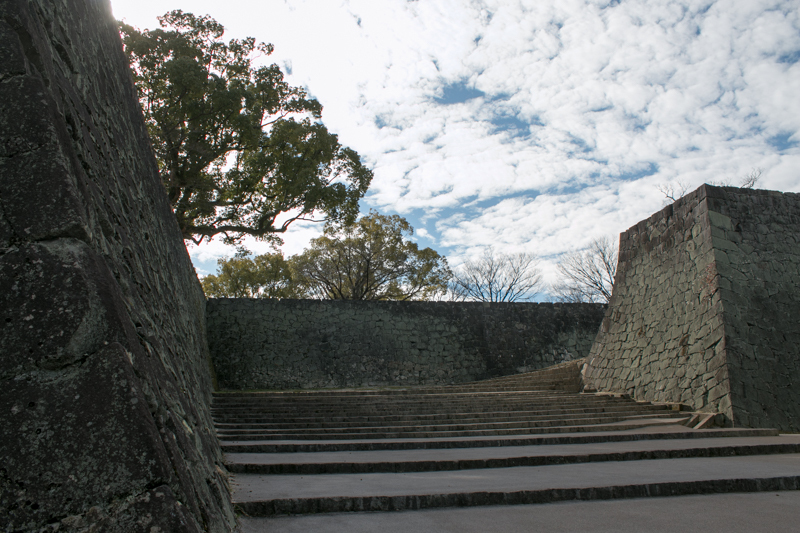 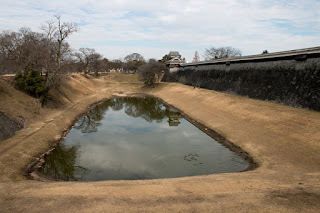 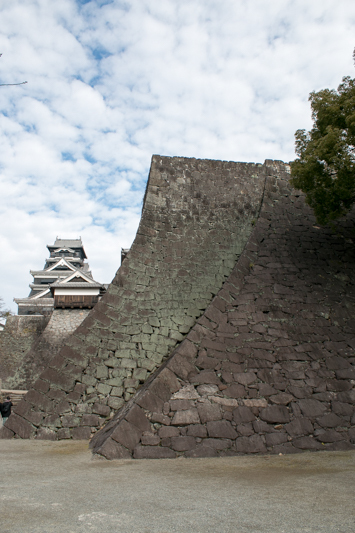 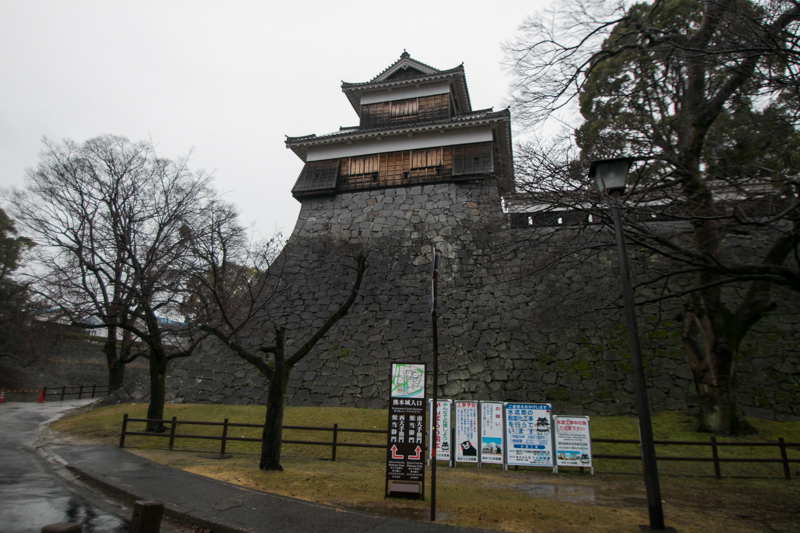 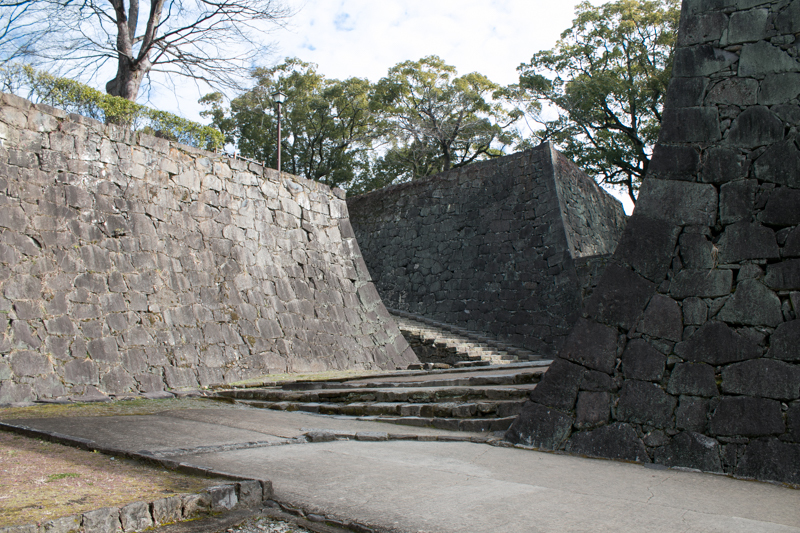 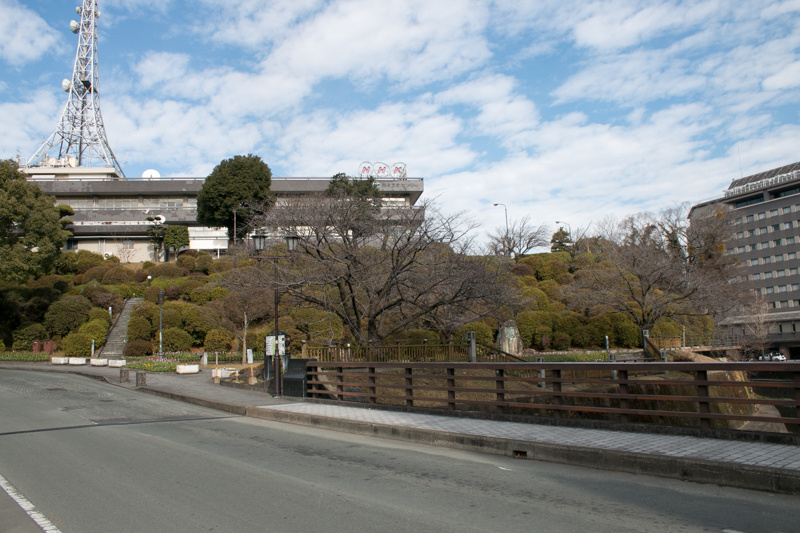 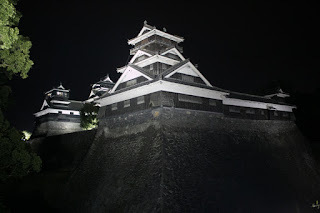 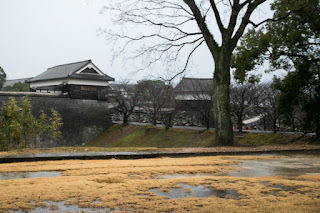 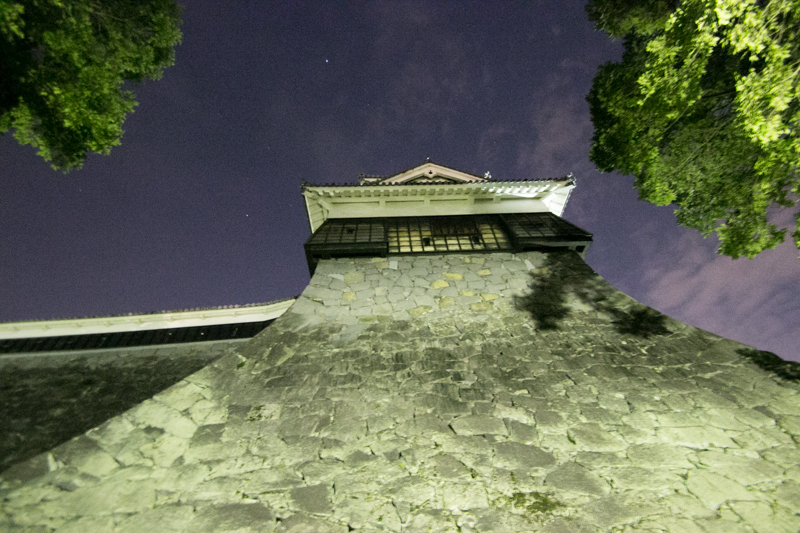 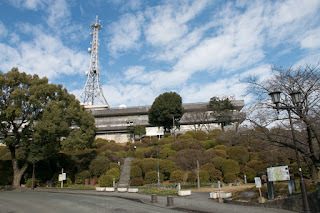 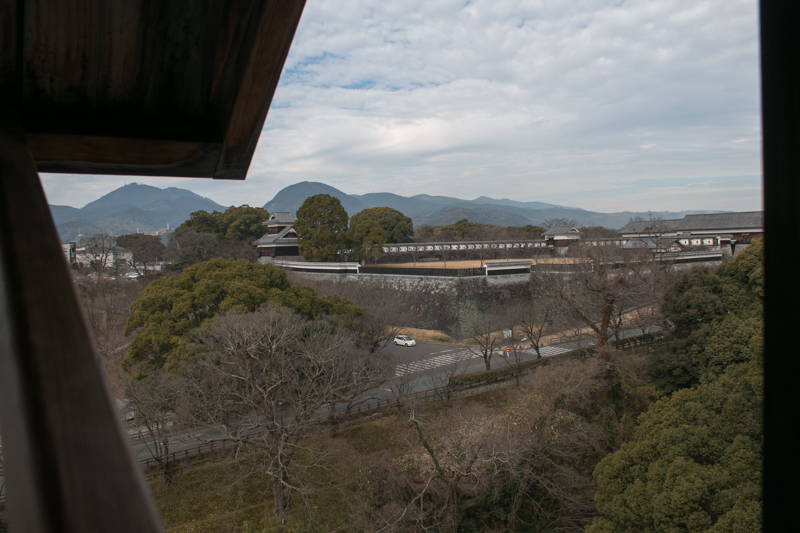 Subsequent to the battle, Kumamoto castle continuously used as a military base of Japanese army. 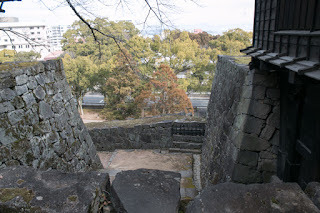 Outer areas became used as ground for schools or hospitals, but because of narrow terraces on the steep hill and will of local people, shape of core areas of the castle were kept as original. 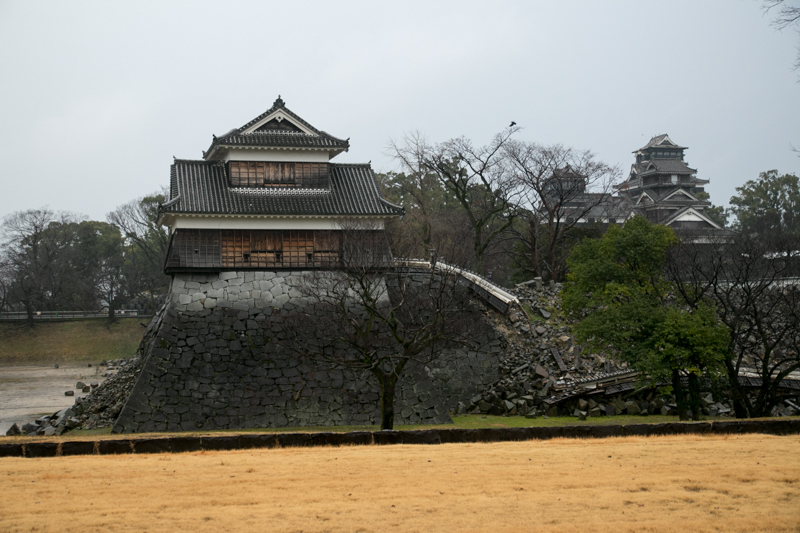 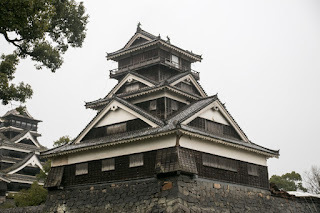 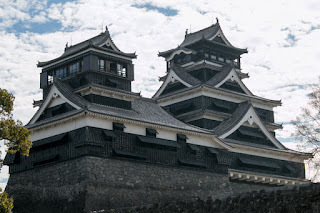 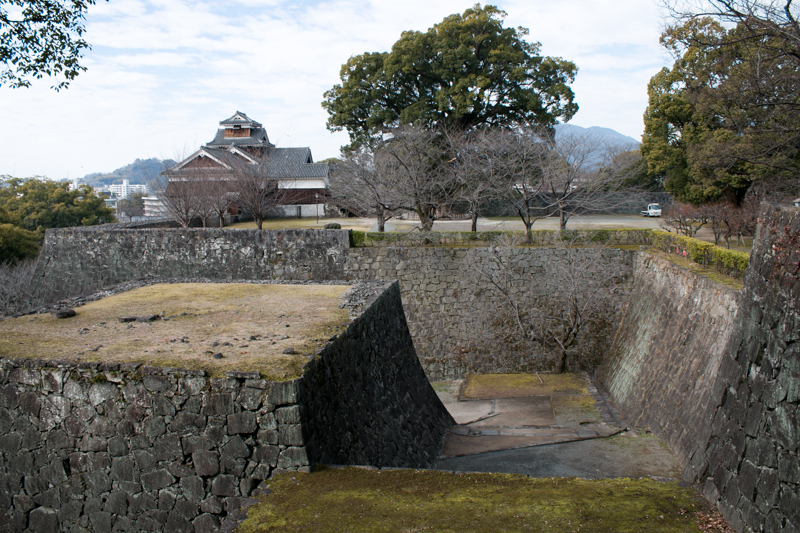 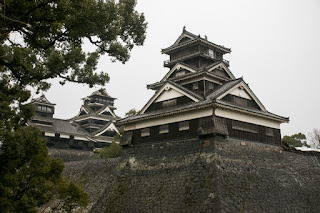 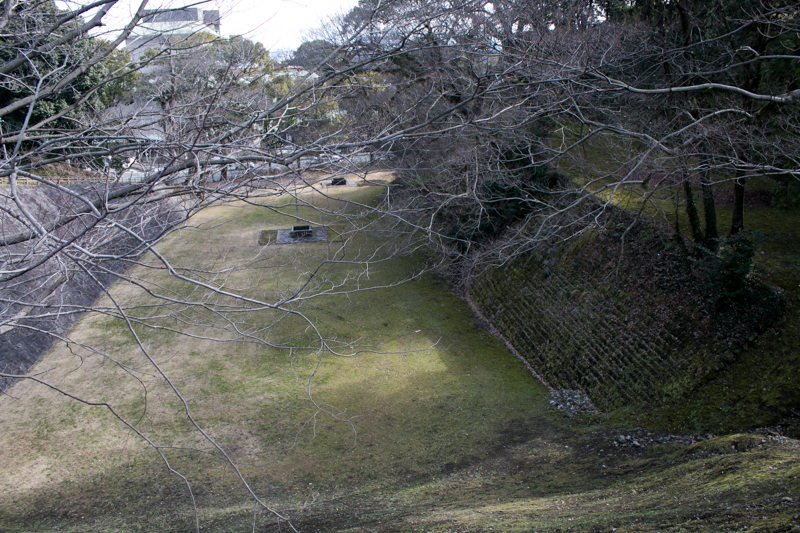 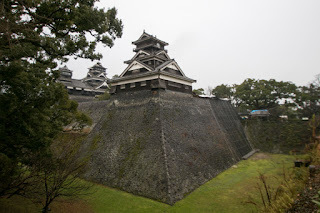 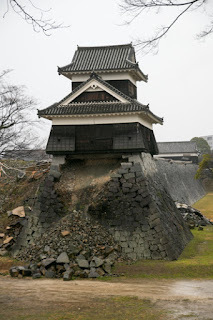 Kumamoto castle lost many buildings at the battle with Saigo army, but several buildings including Uto Turret, one of five five-story turrets still remain as original. 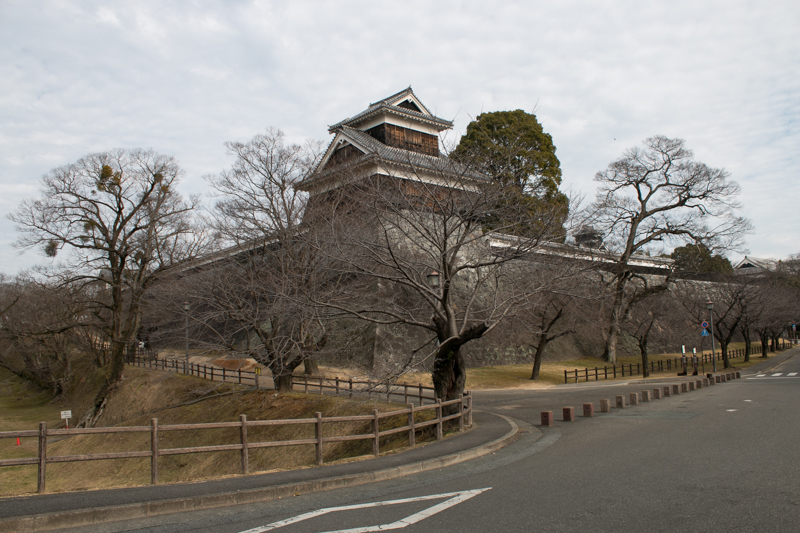 Exterior of Main tower and attached tower were restored after WW2, and buildings of core area including one five-story turret, main gate and central area palace were recently reconstructed as original. 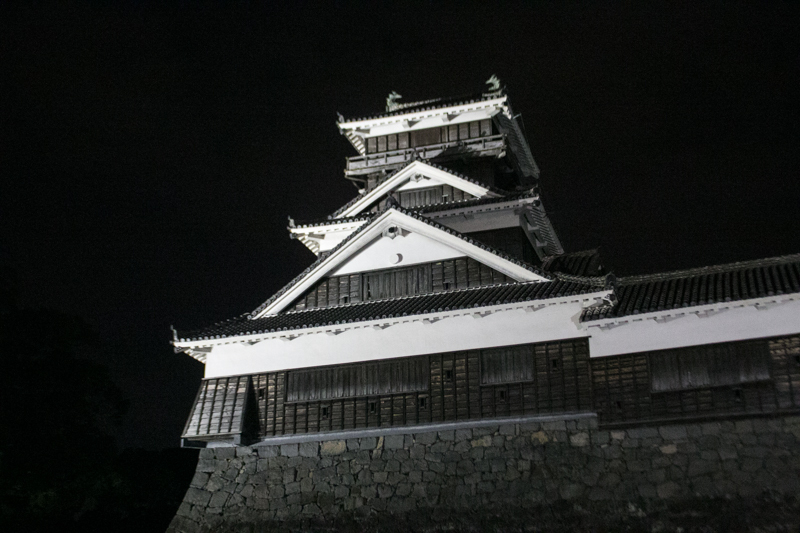 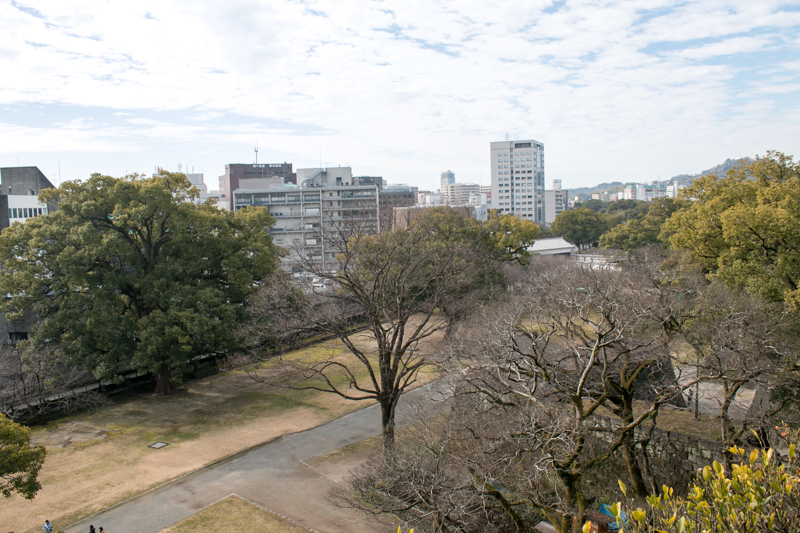 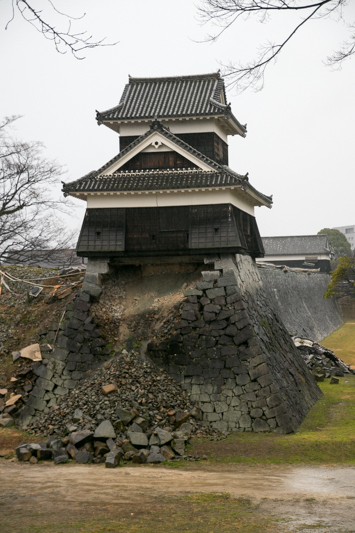 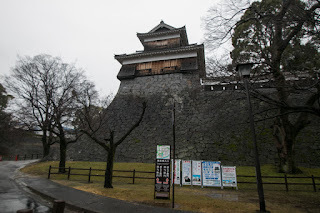 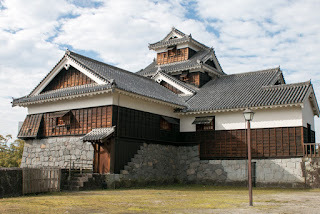 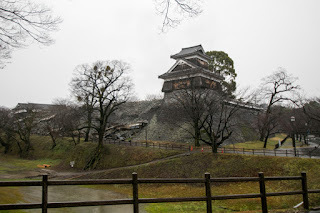 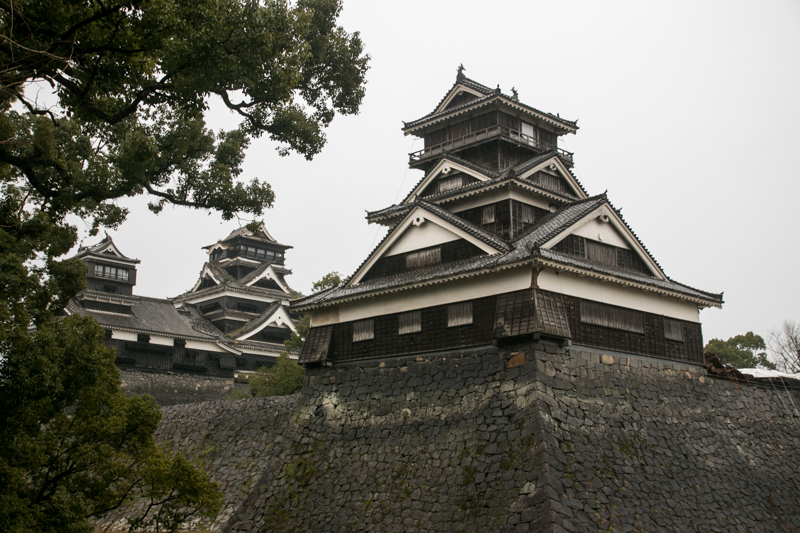 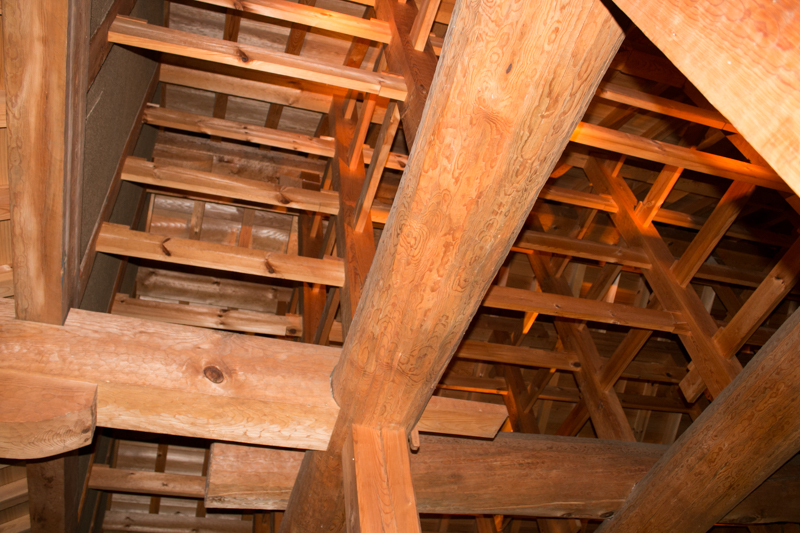 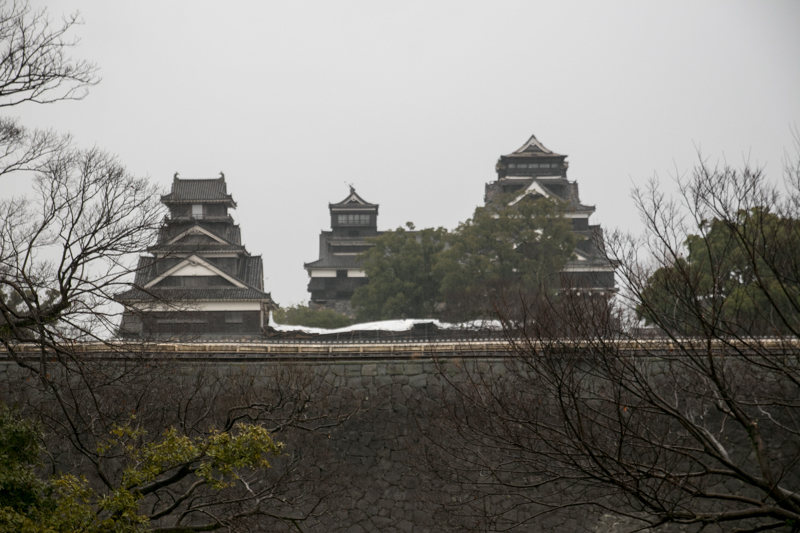 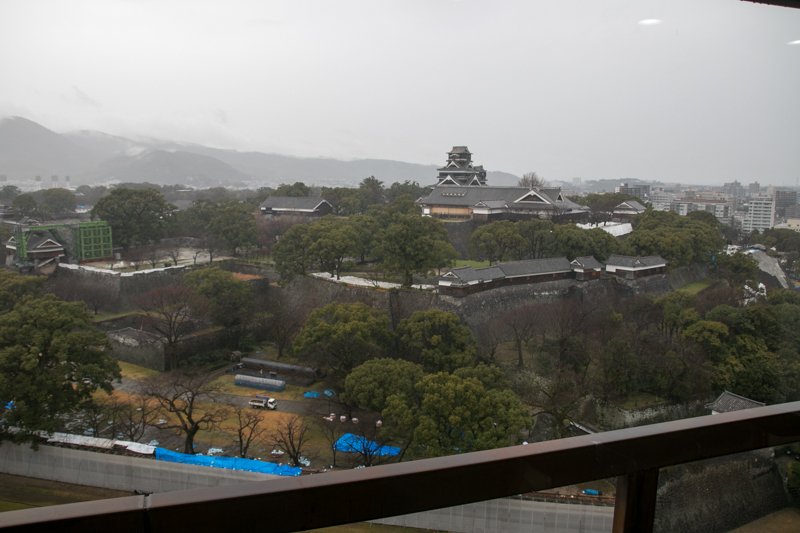 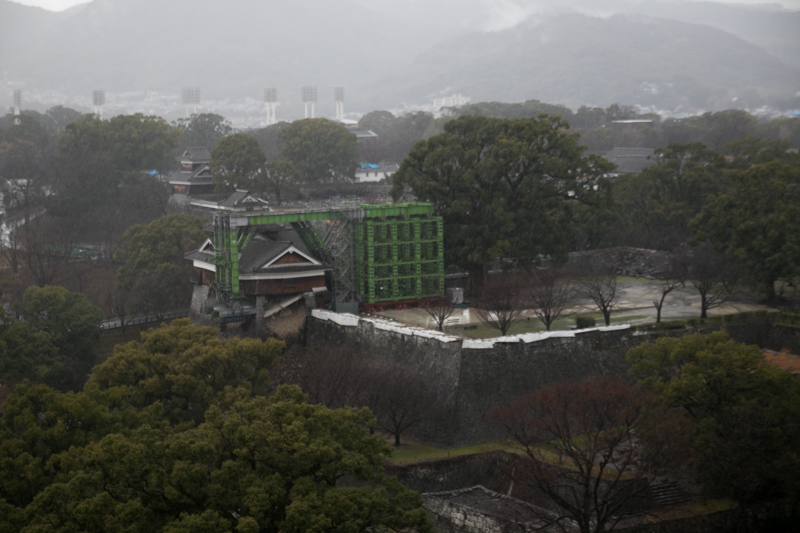 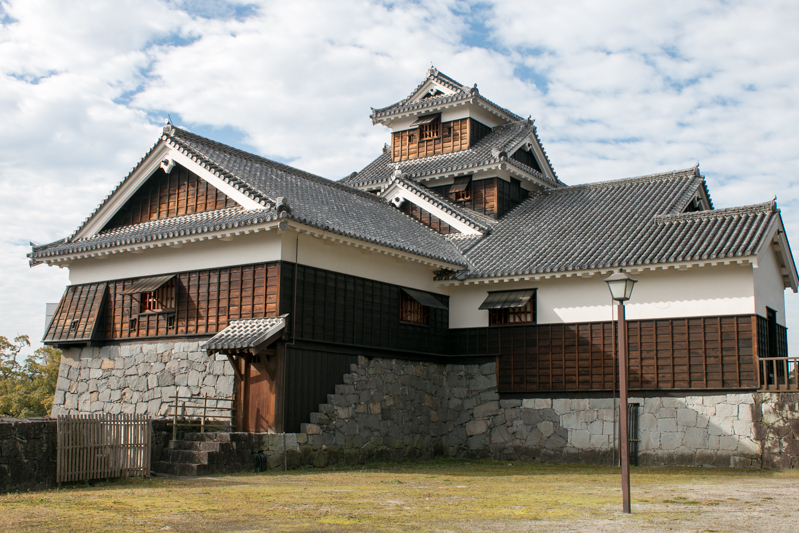 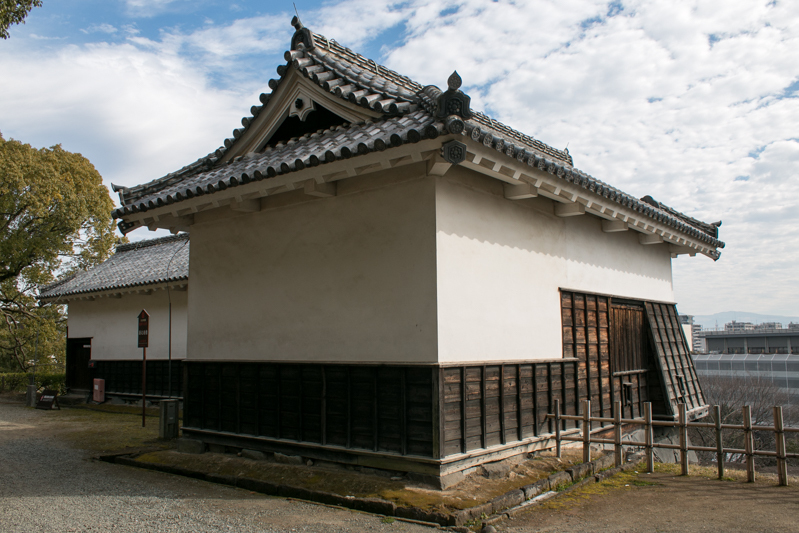 Restoration plan of the castle still progresses, and Kumamoto castle gradually recovering its old shape as a perfect style of Japanese castle. 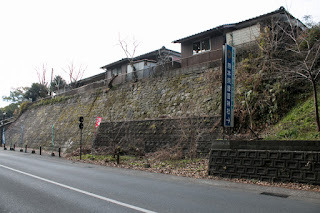 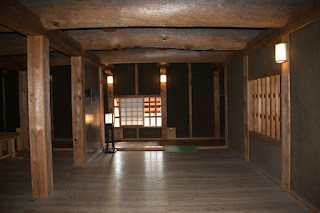 10 minutes walk from Kumamotojo/Shiyakushomae station of Kumamoto City Rail (Tram), 30 minutes drive from Kyushu Highway Kumamoto interchange.